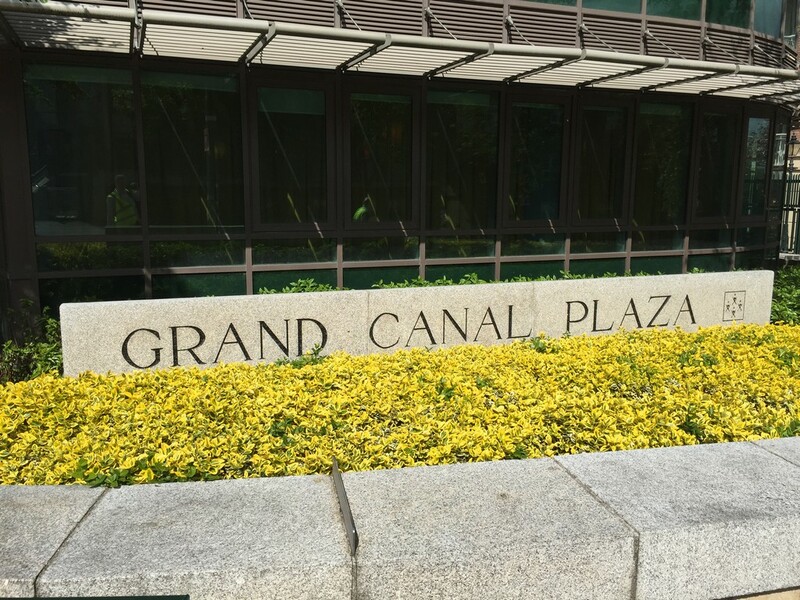 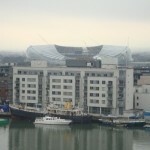 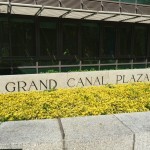 Head offices and corporate buildings are a bustling place. 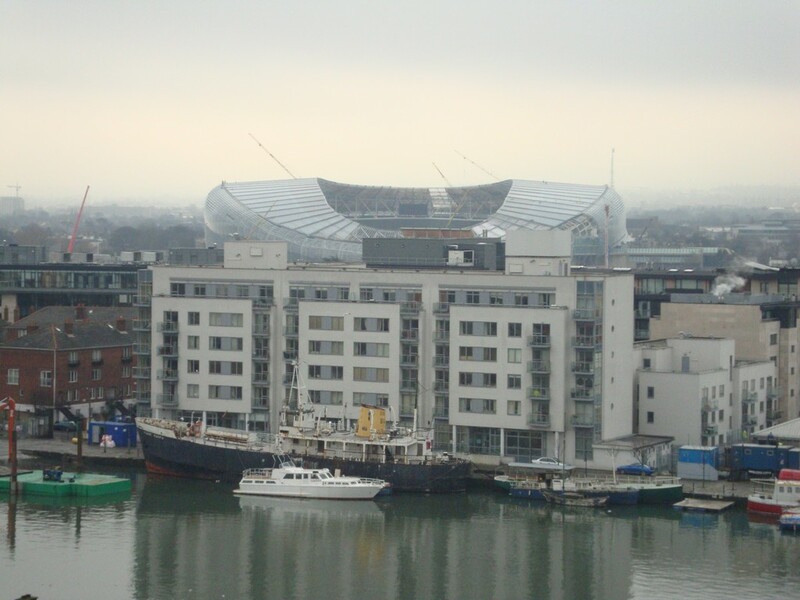 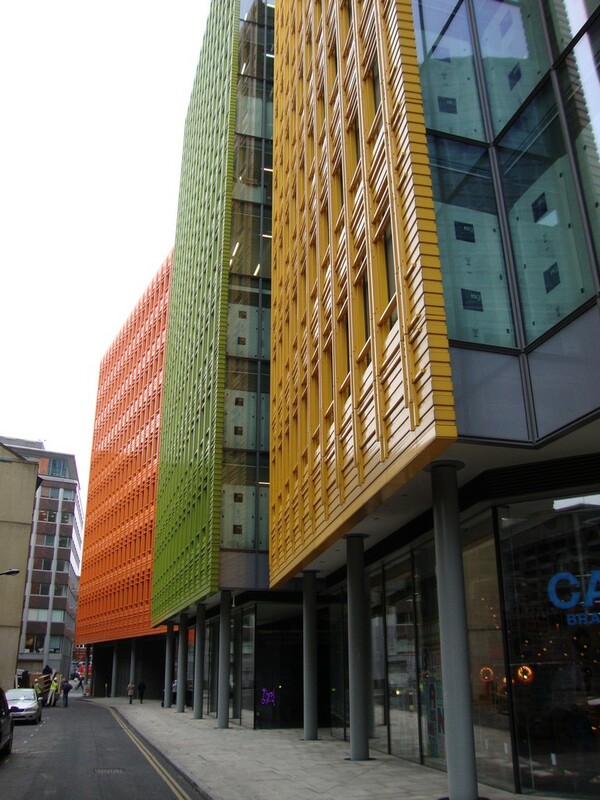 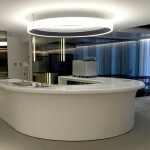 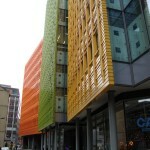 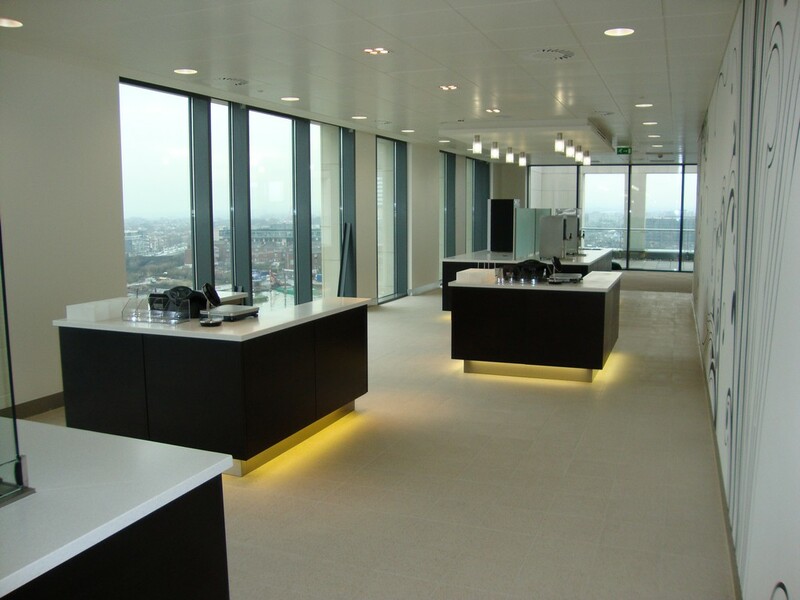 People come and go throughout the day, clients visit, projects are managed and meetings held. 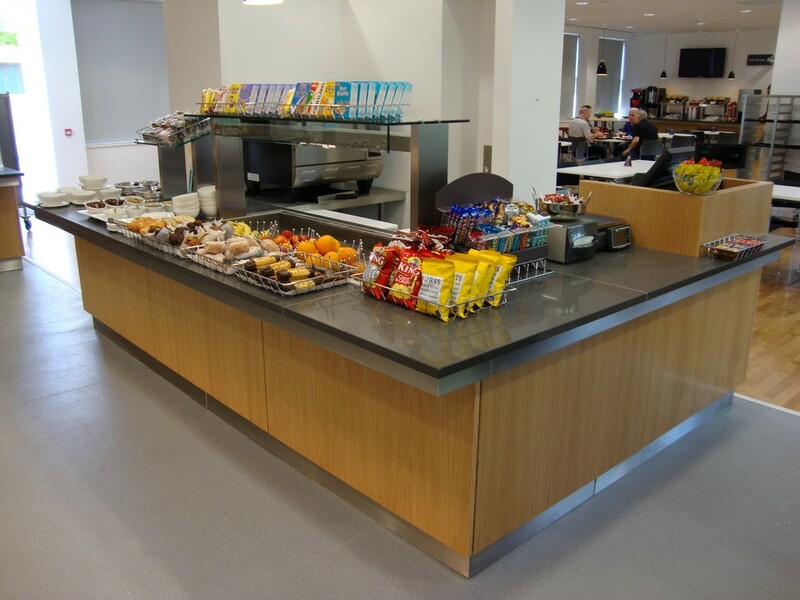 This type of work-driven environment requires a robust cafeteria where busy employees can take a break and get a healthy meal or snack. 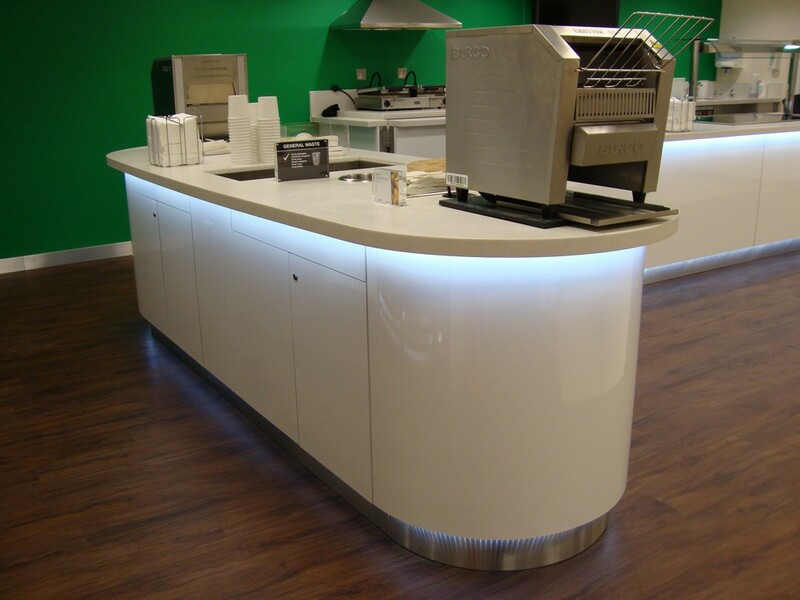 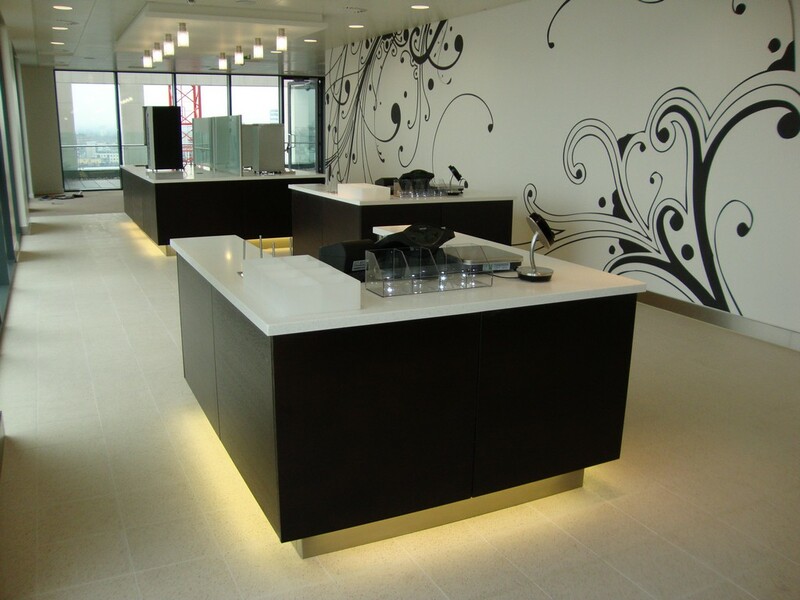 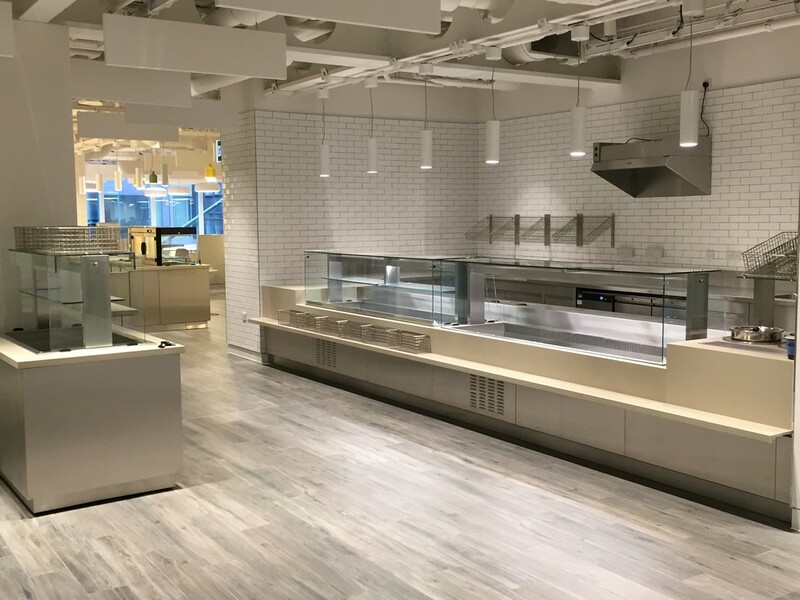 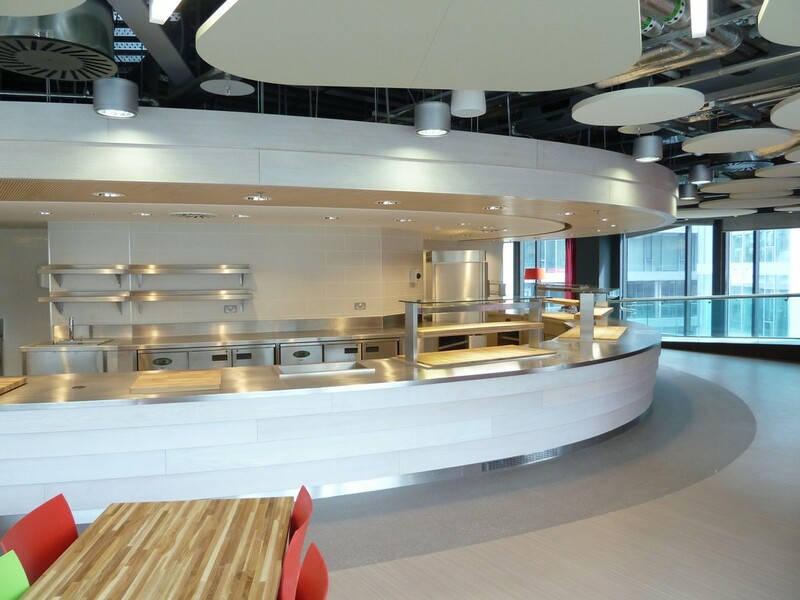 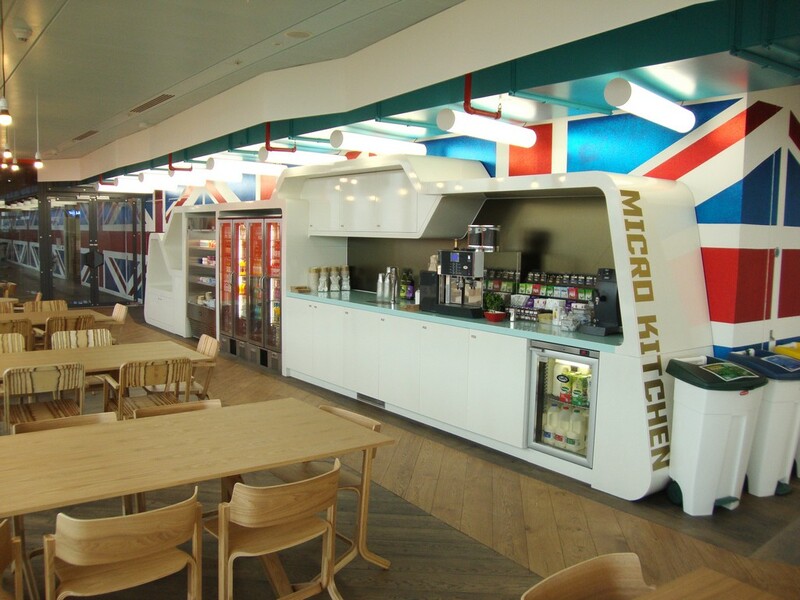 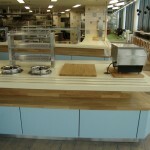 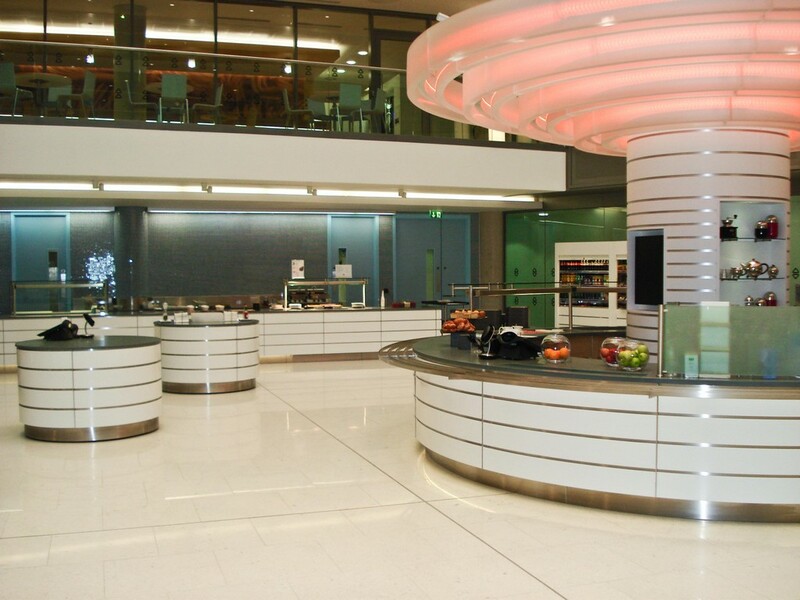 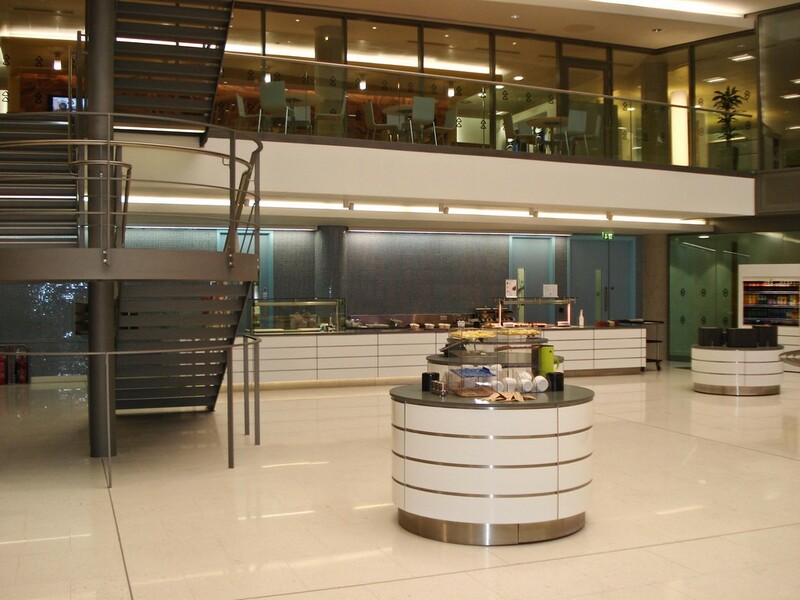 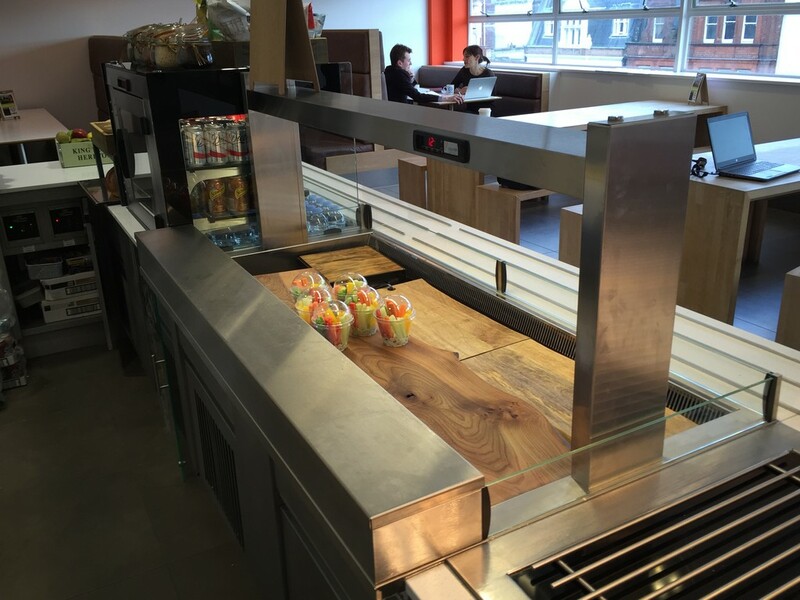 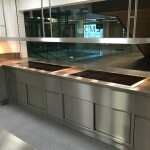 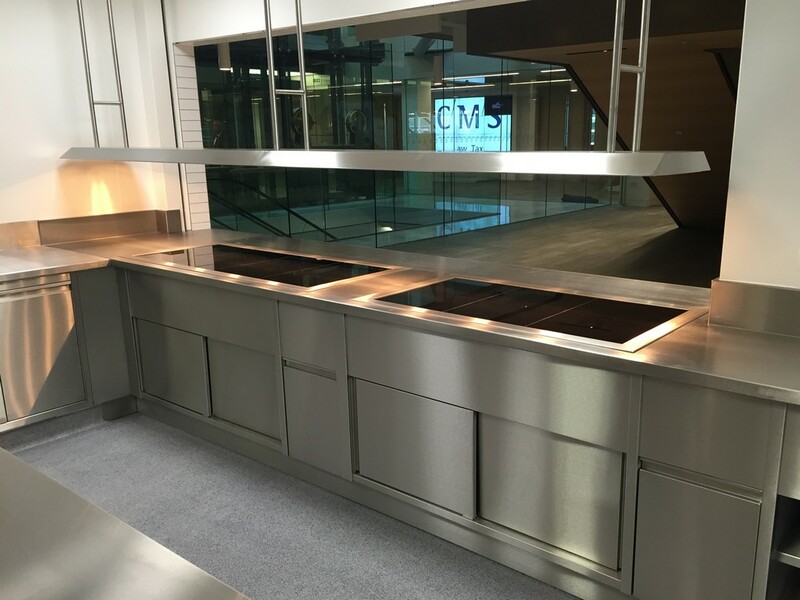 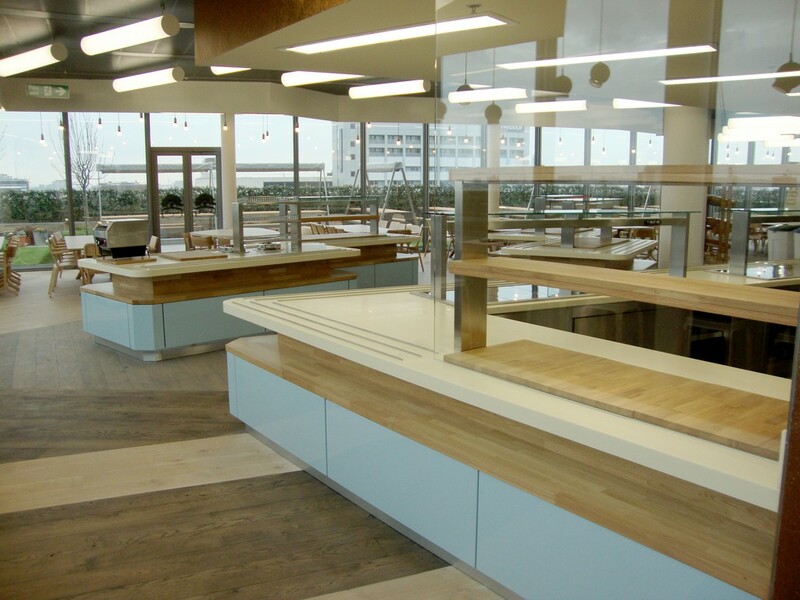 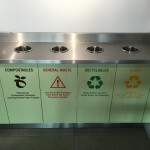 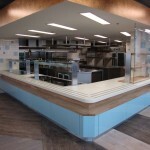 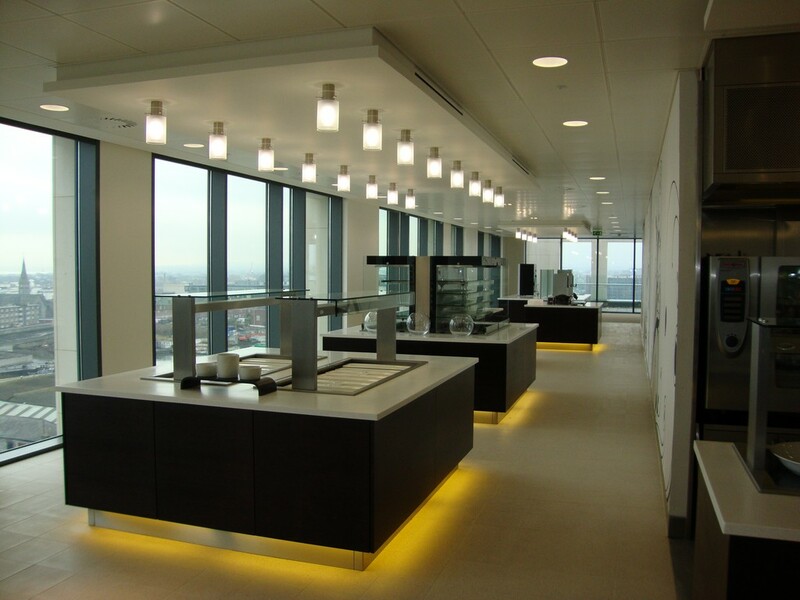 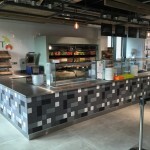 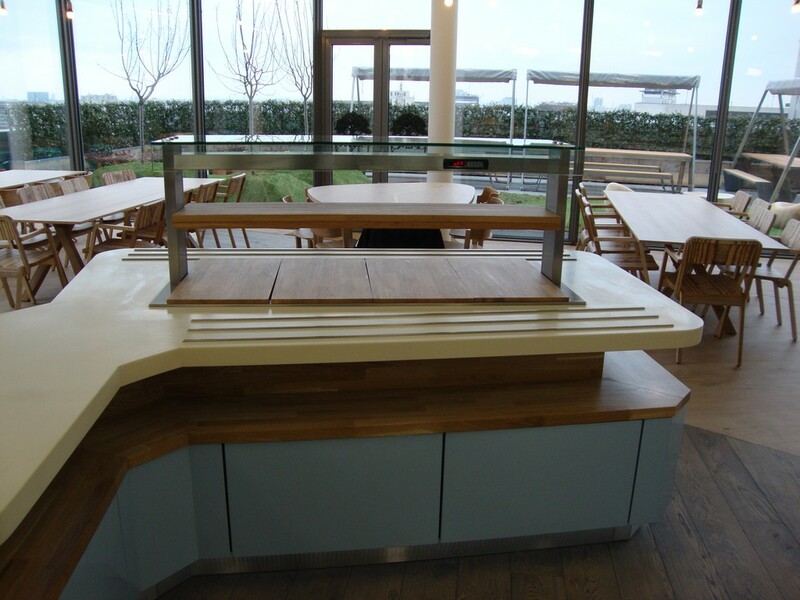 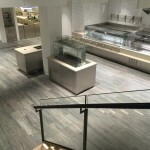 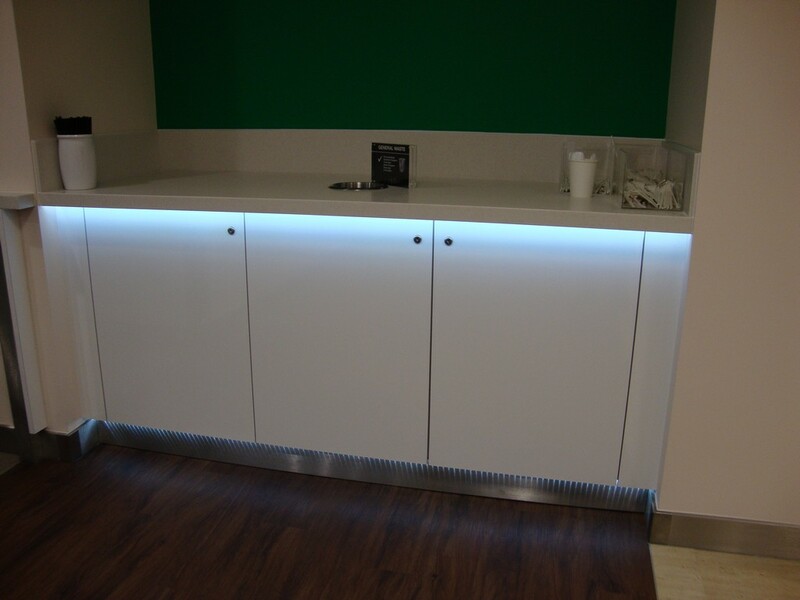 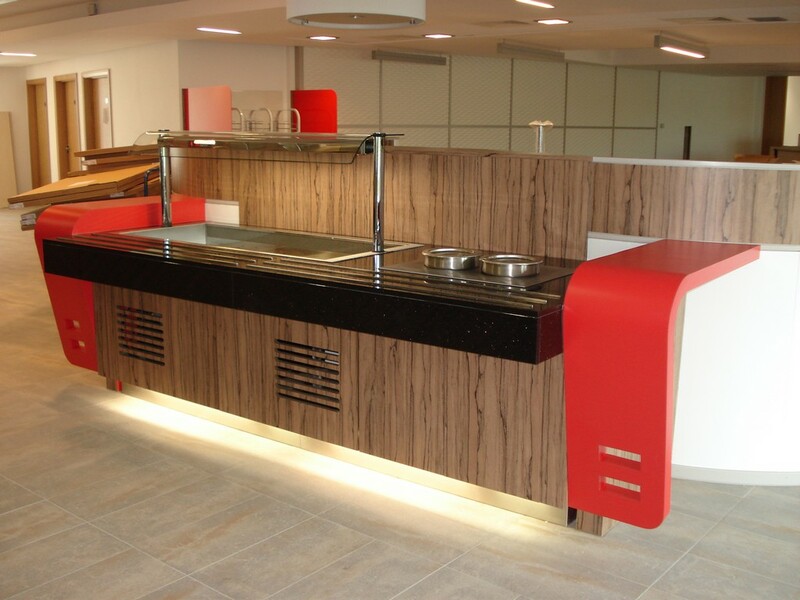 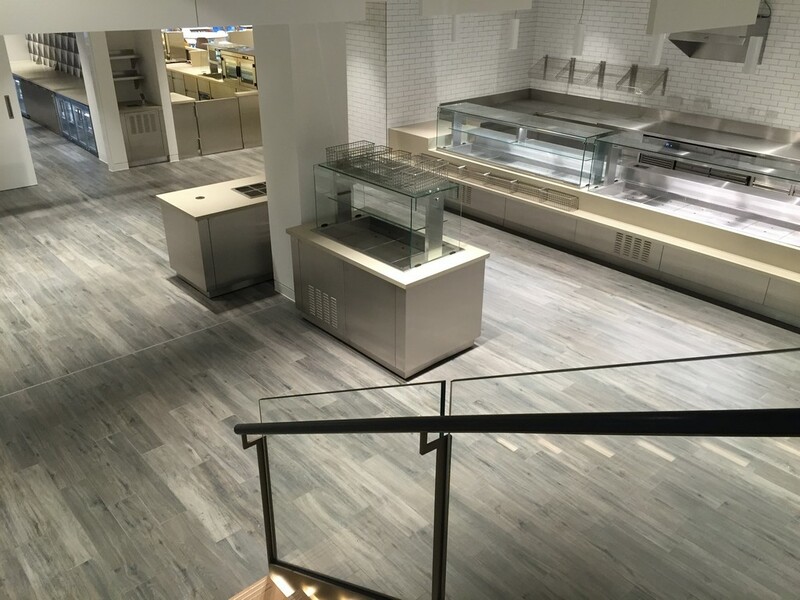 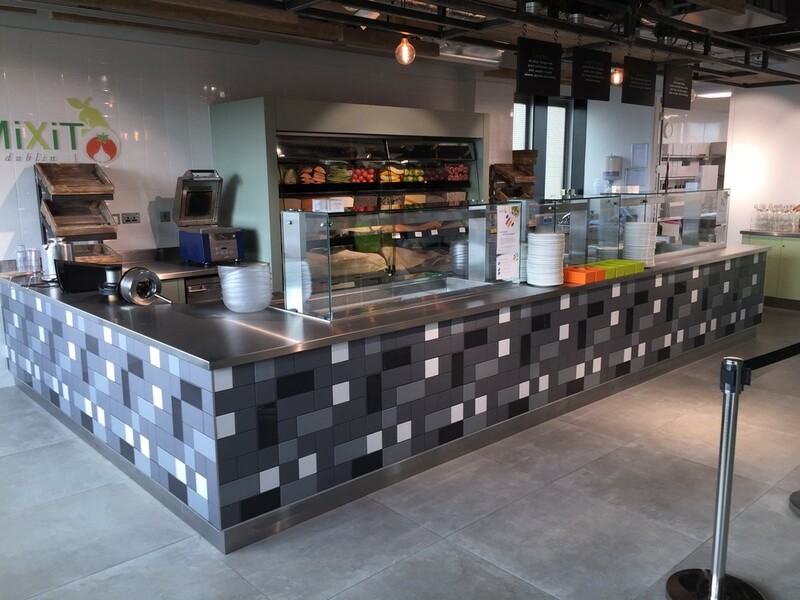 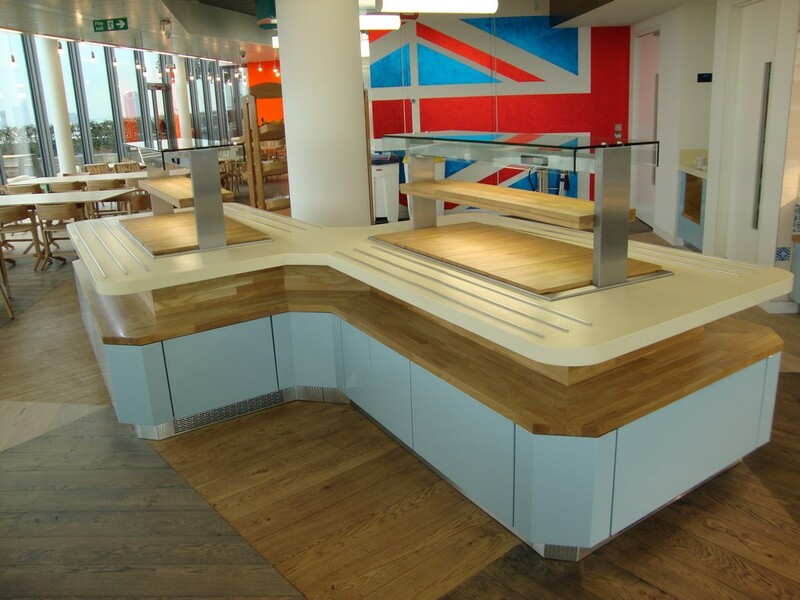 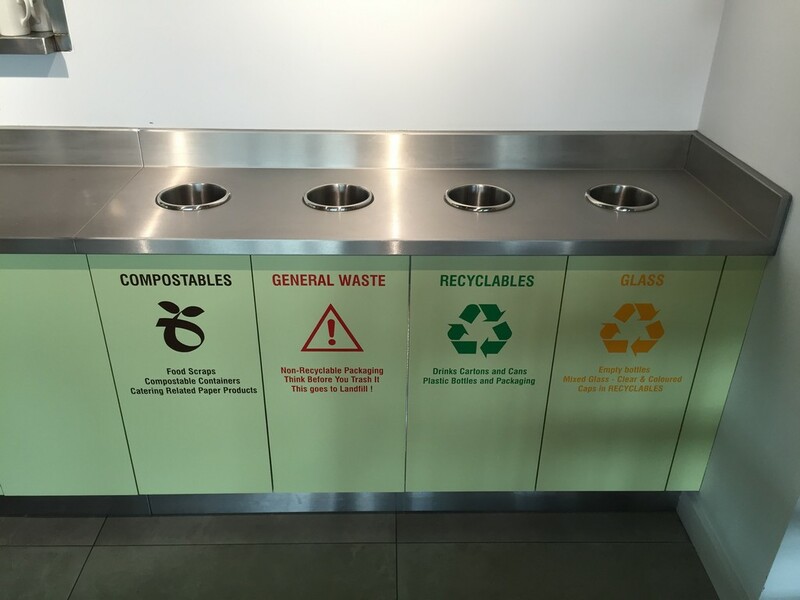 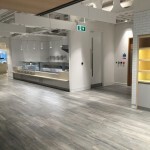 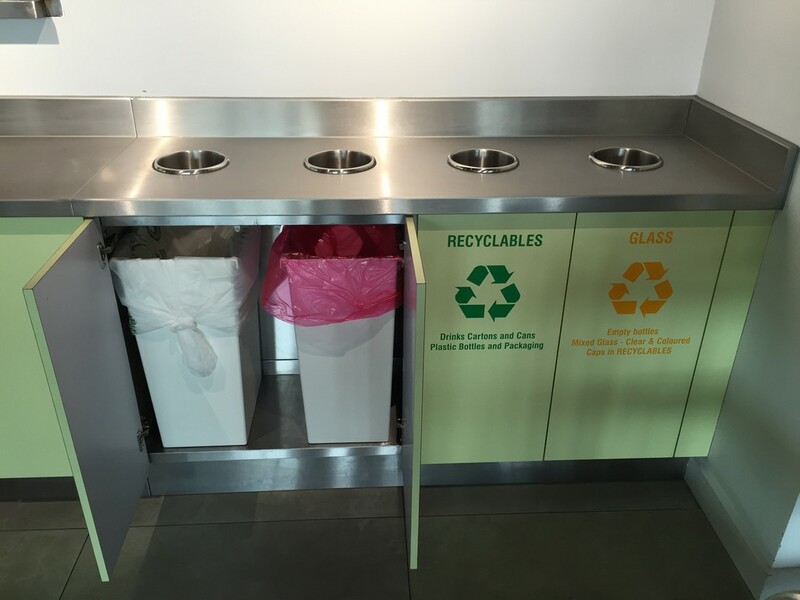 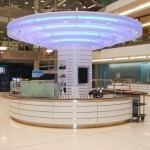 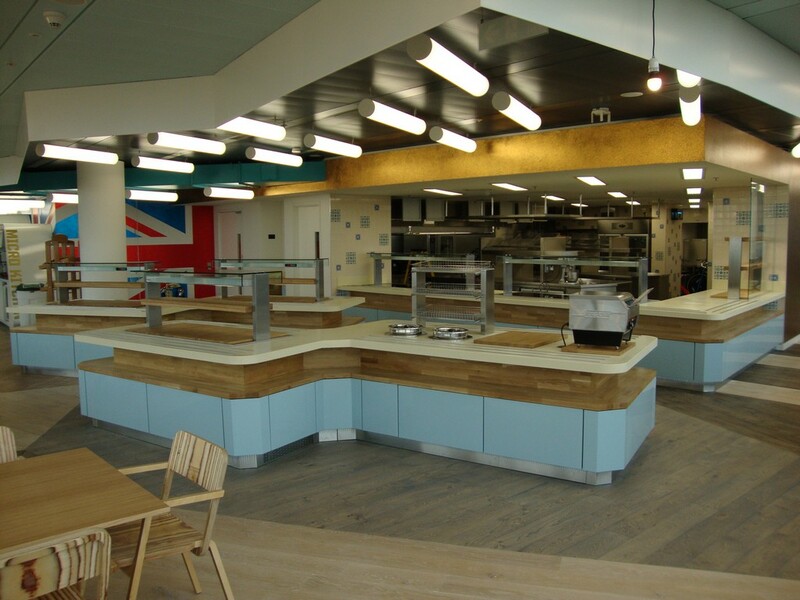 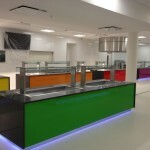 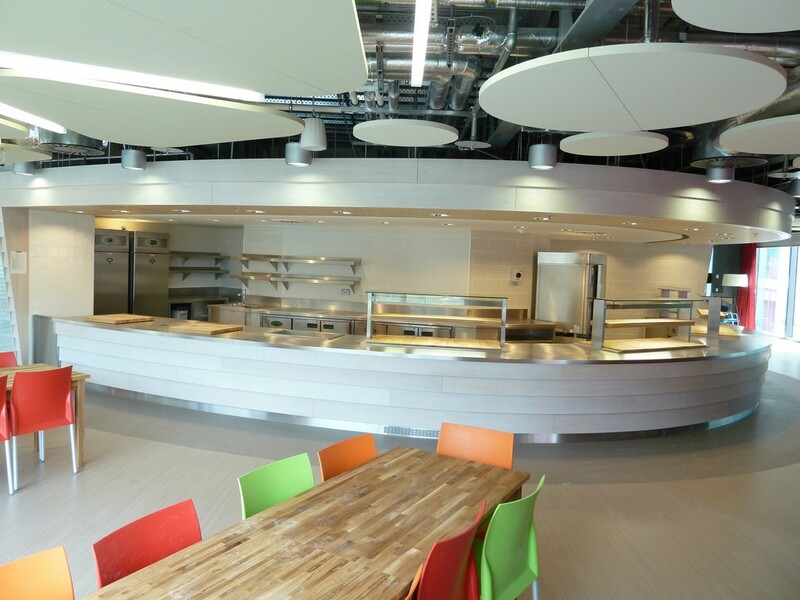 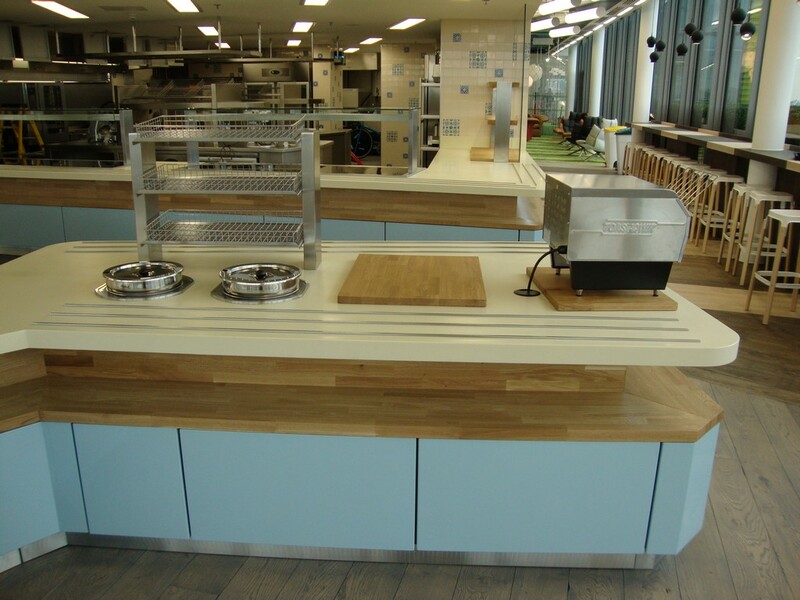 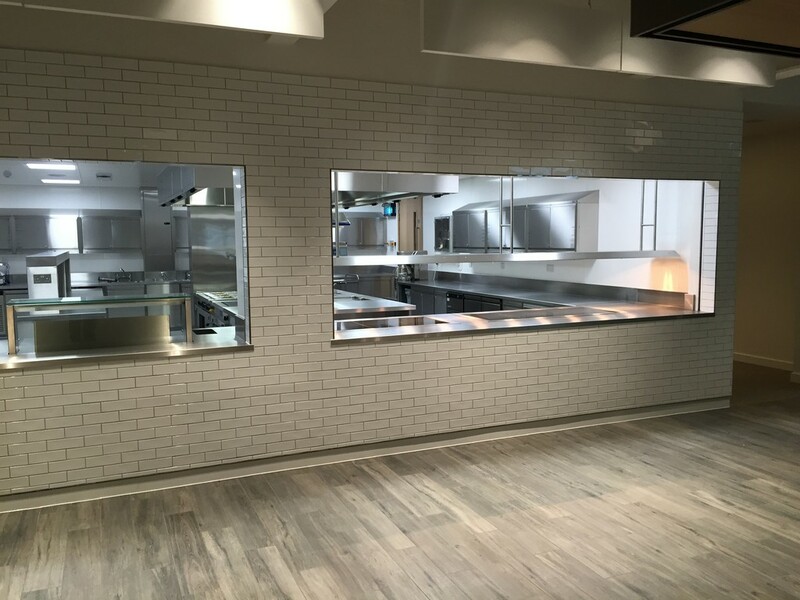 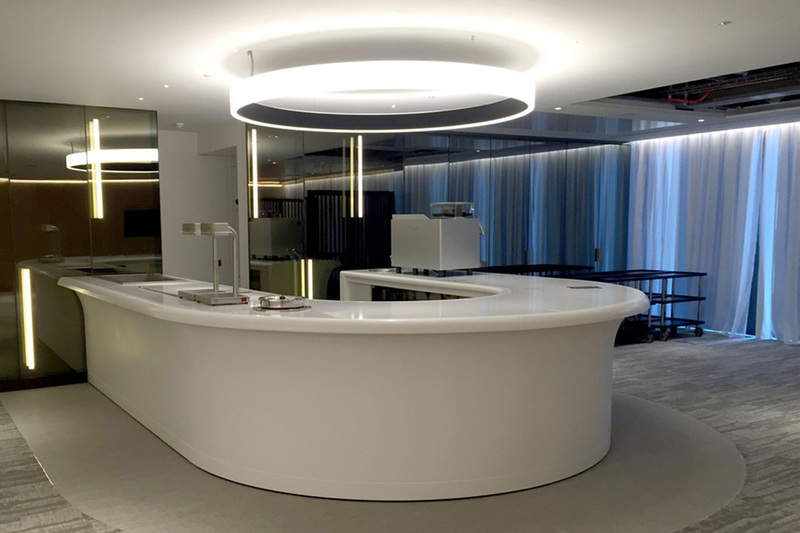 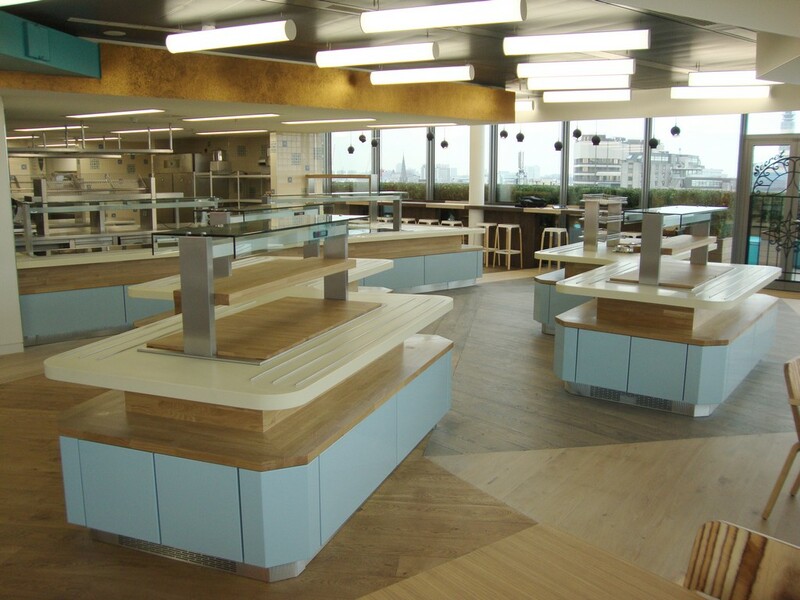 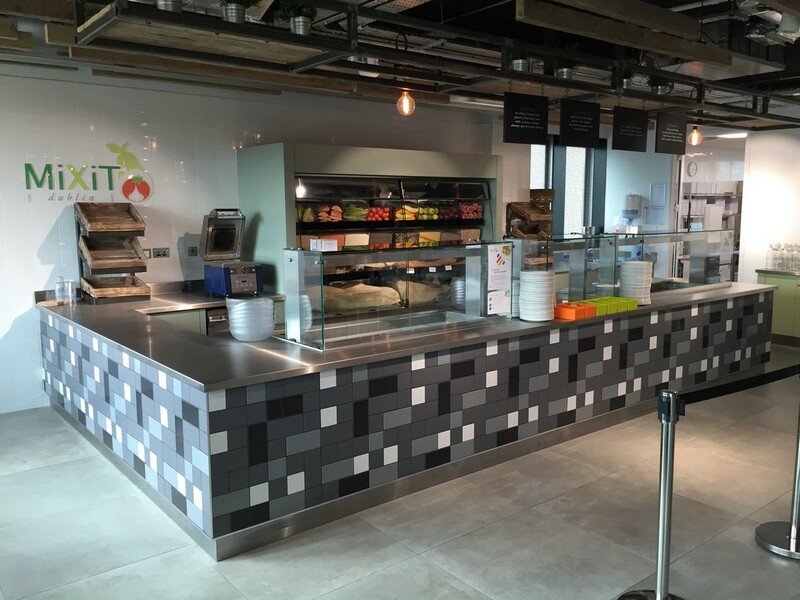 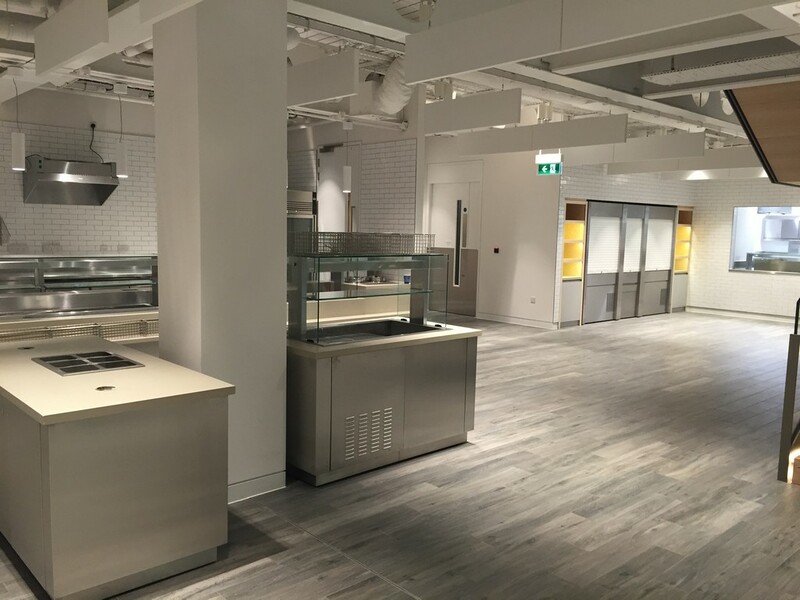 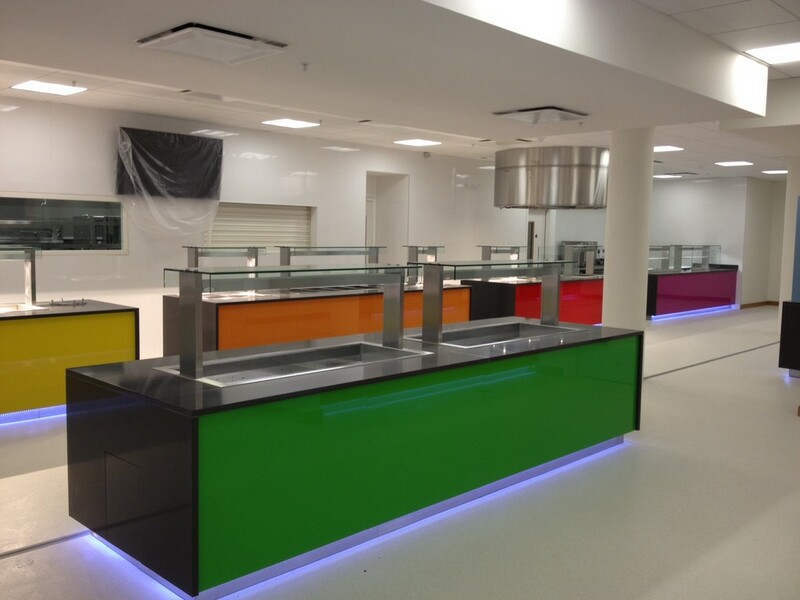 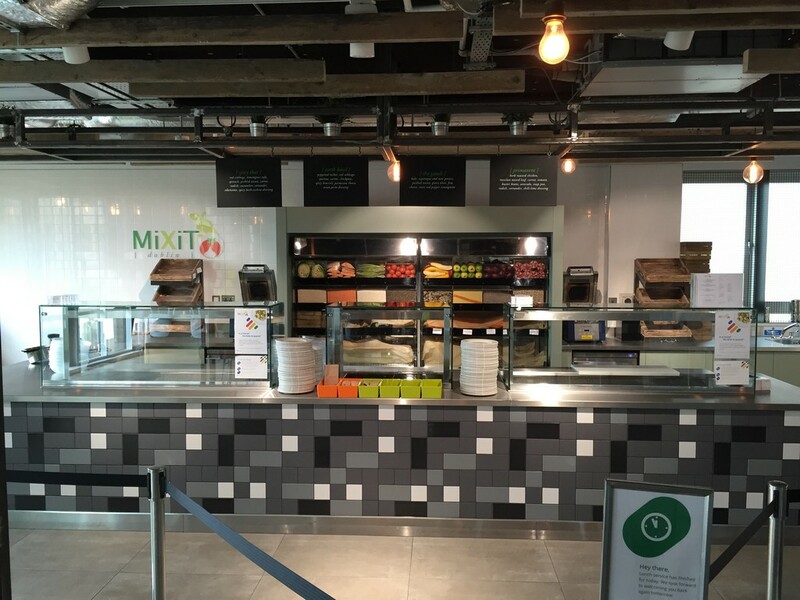 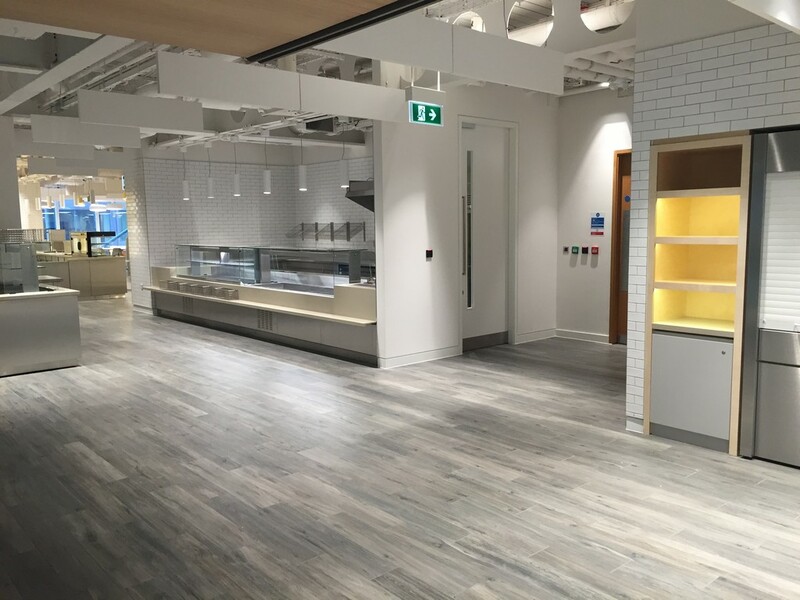 From Amazon to Google, our counters are found in some of the most creative and inspiring global head offices, and we have worked with clients across many industries. 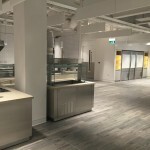 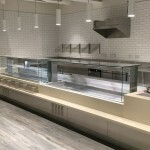 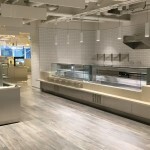 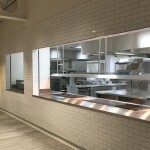 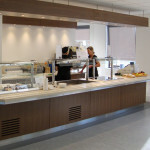 We have been challenged to solve specific catering problems, and fulfil the individual needs of each unique organisation. 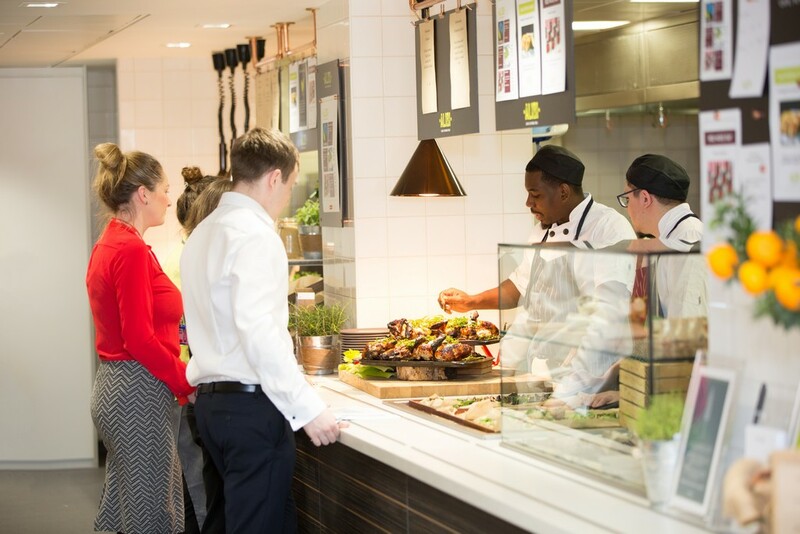 In a corporate environment we know that people are always working on different schedules and there will never be one time when everyone is taking their lunchbreak at once. 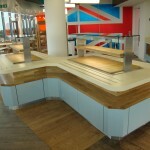 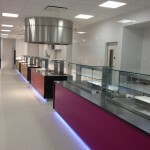 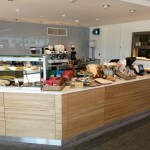 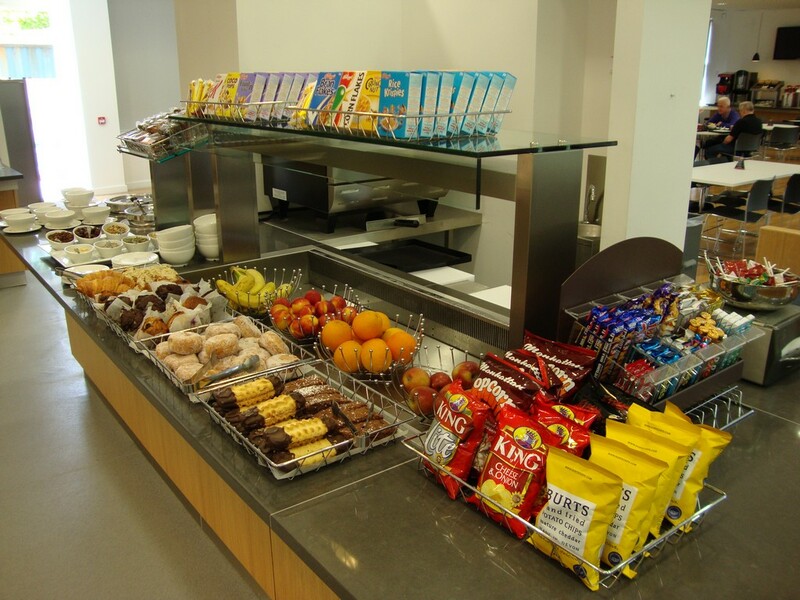 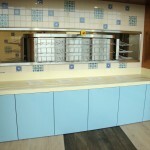 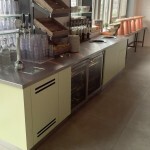 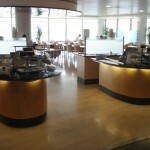 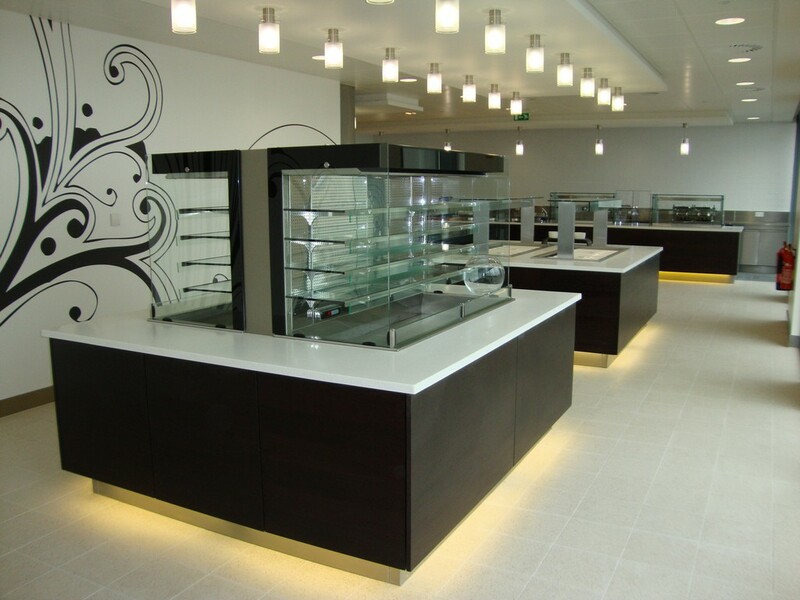 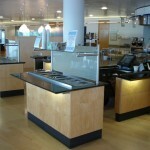 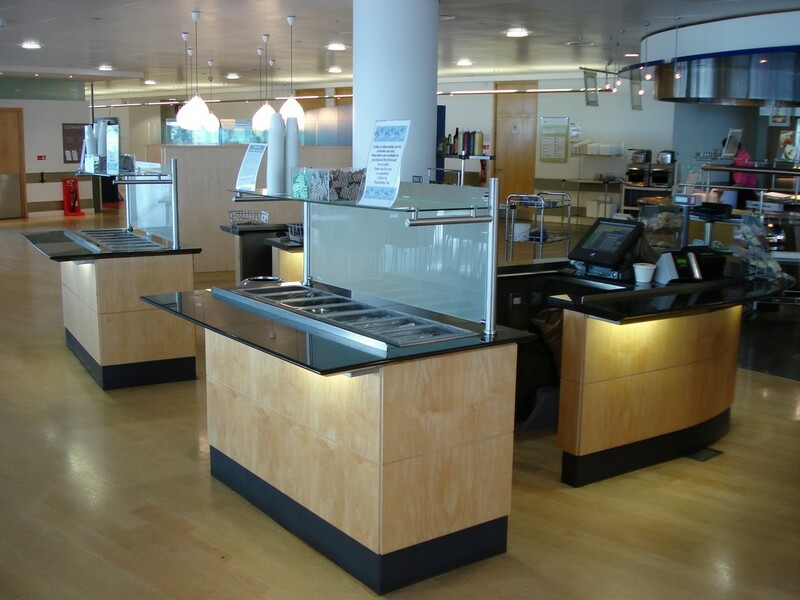 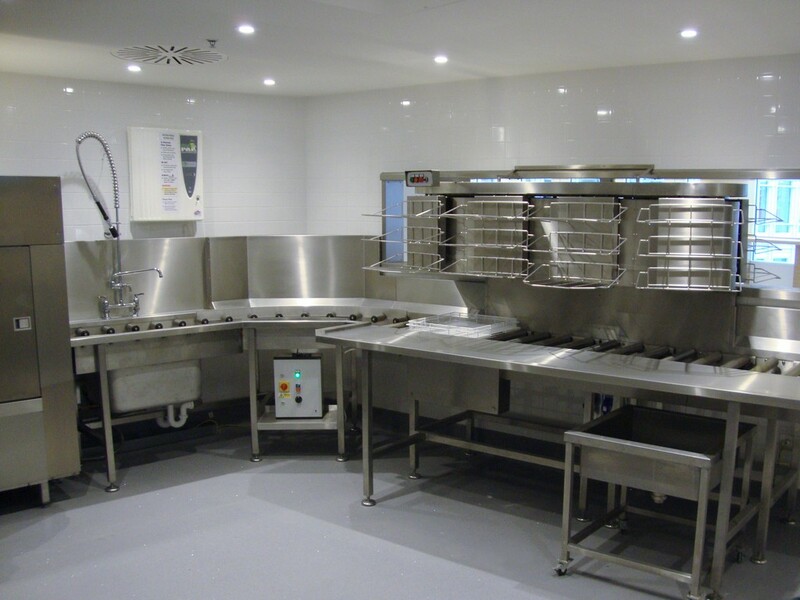 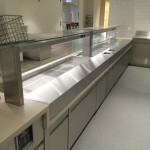 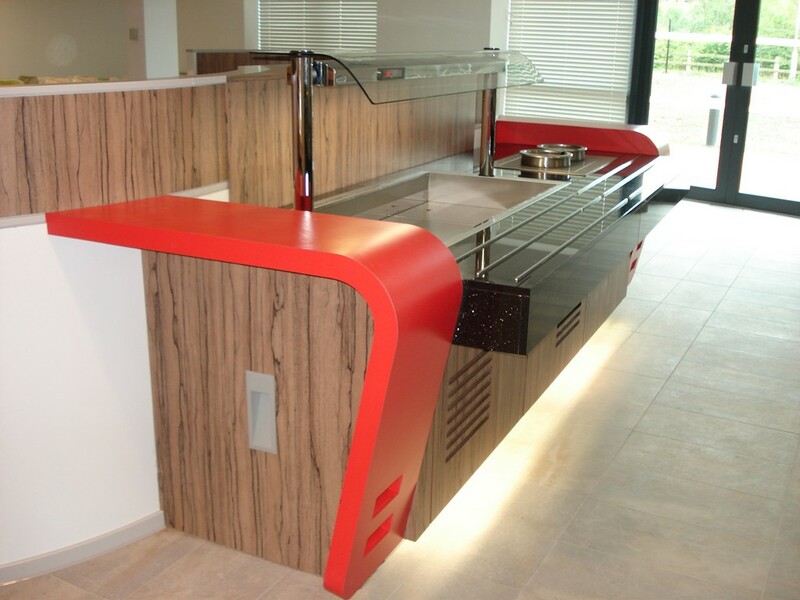 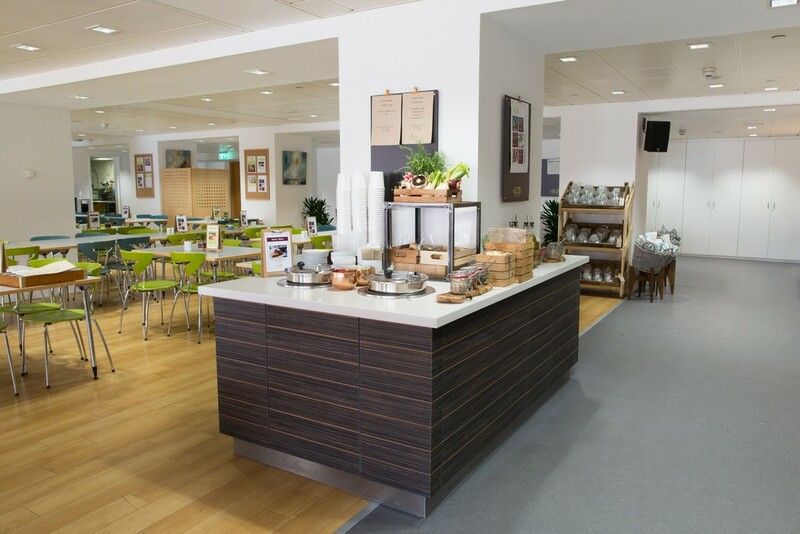 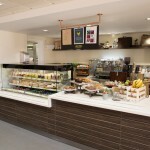 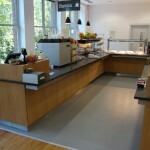 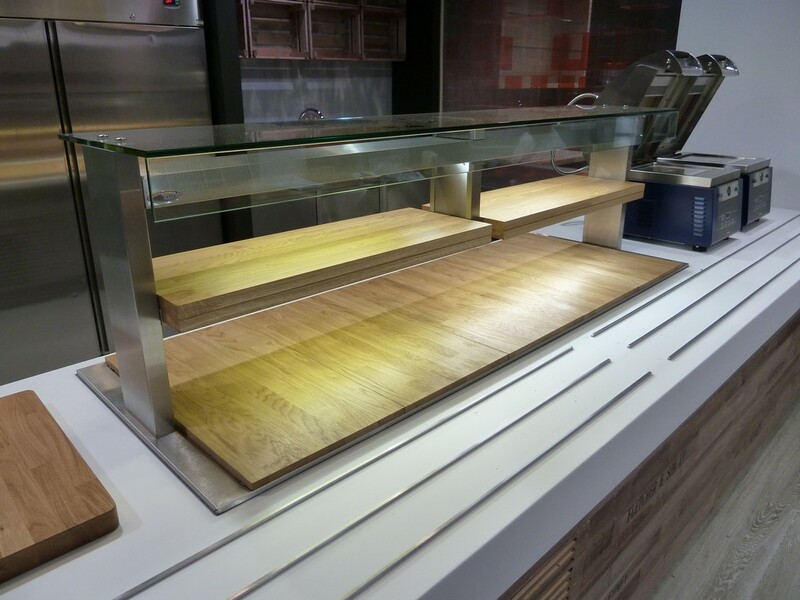 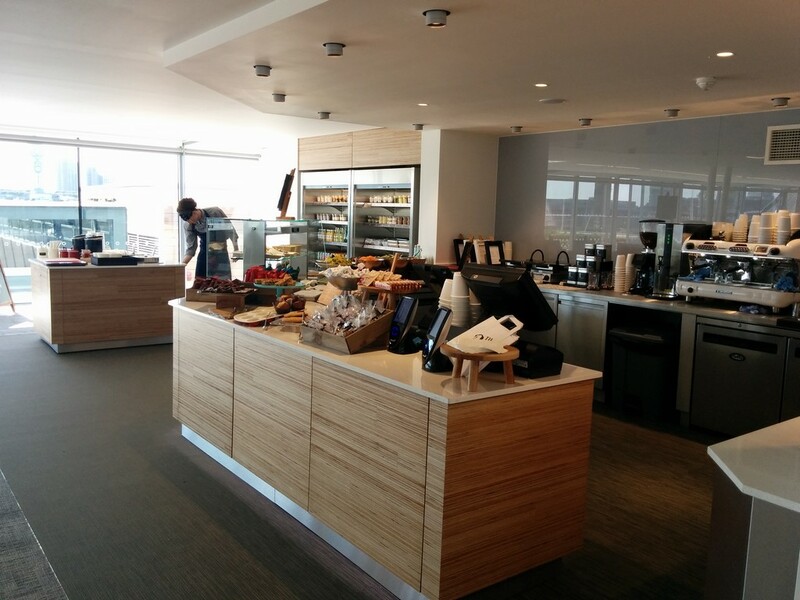 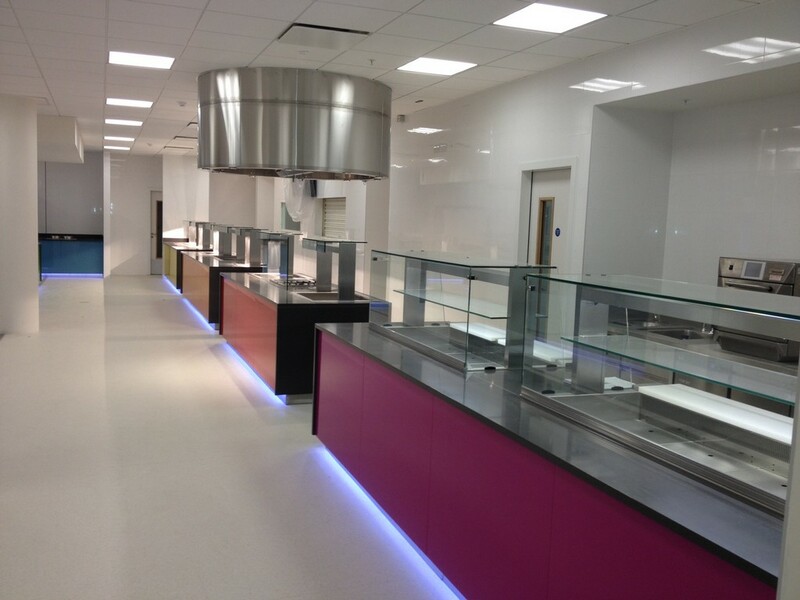 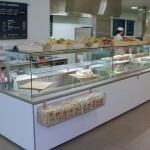 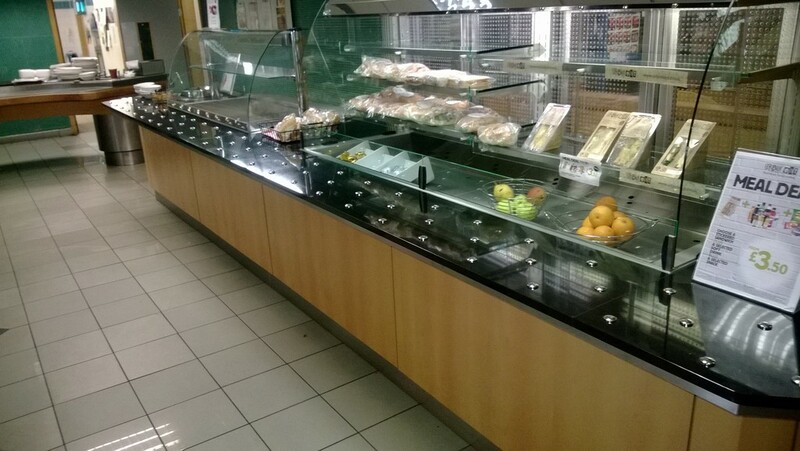 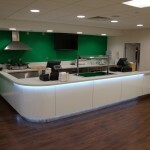 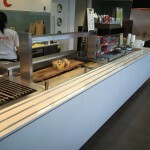 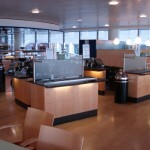 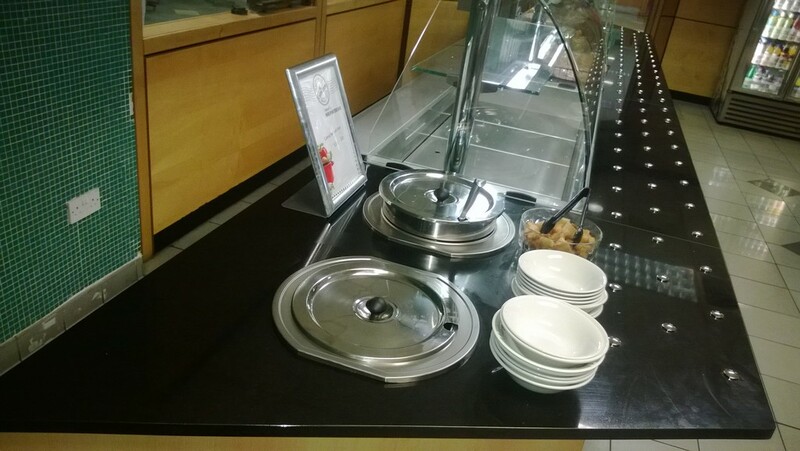 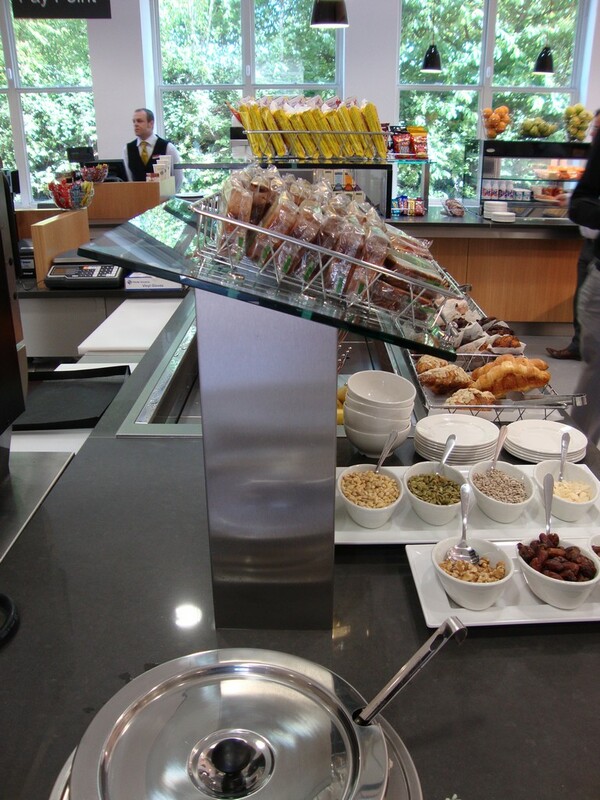 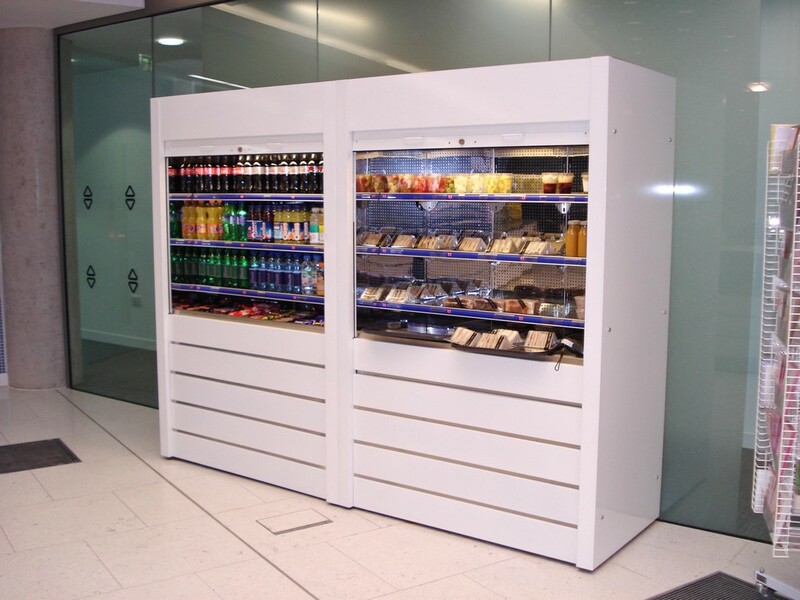 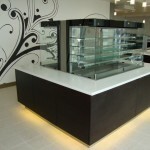 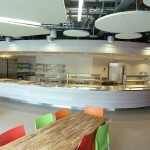 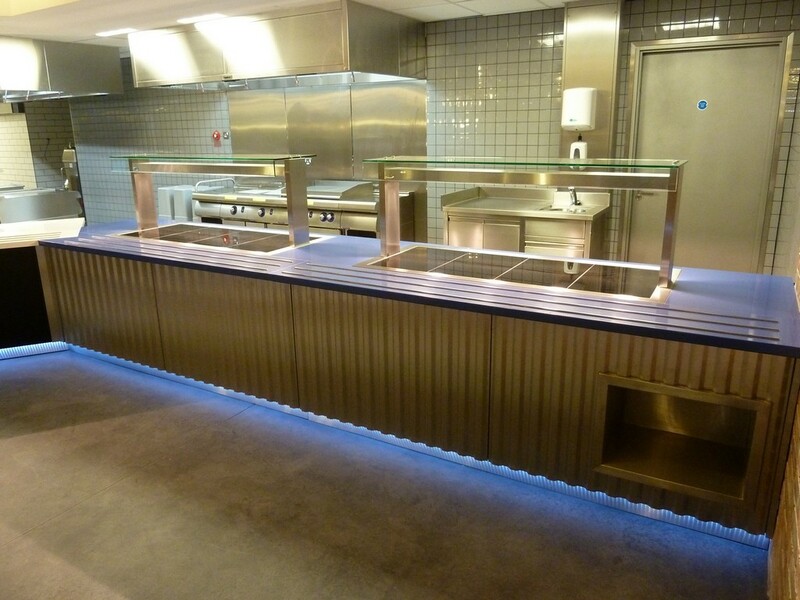 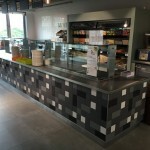 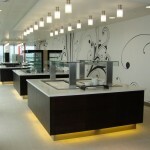 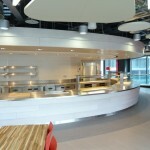 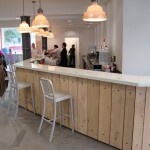 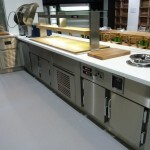 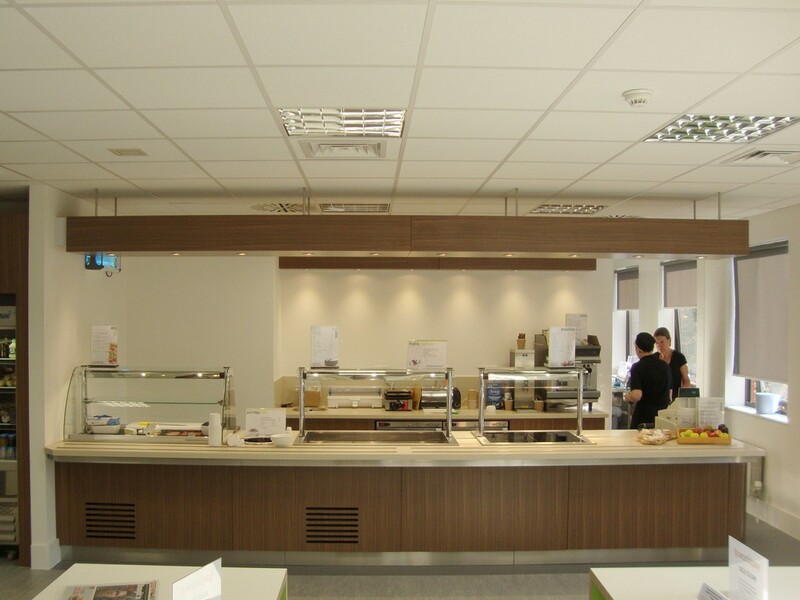 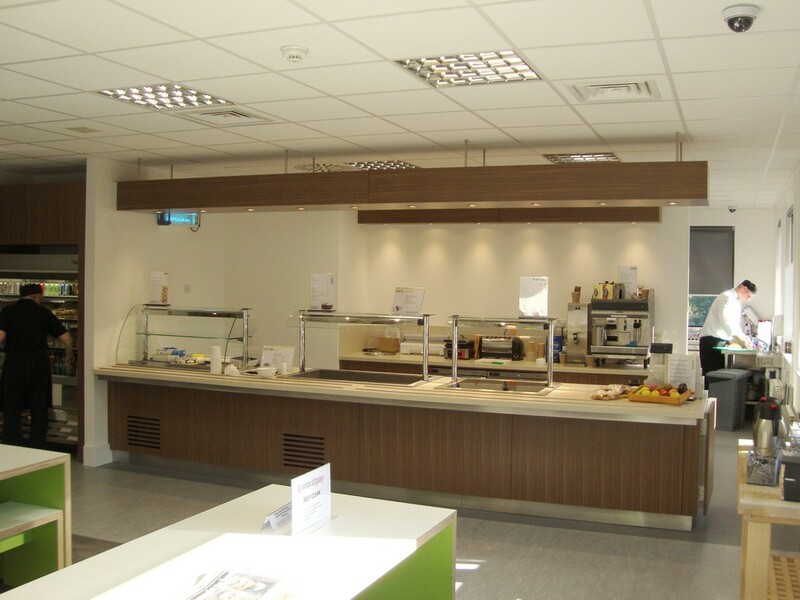 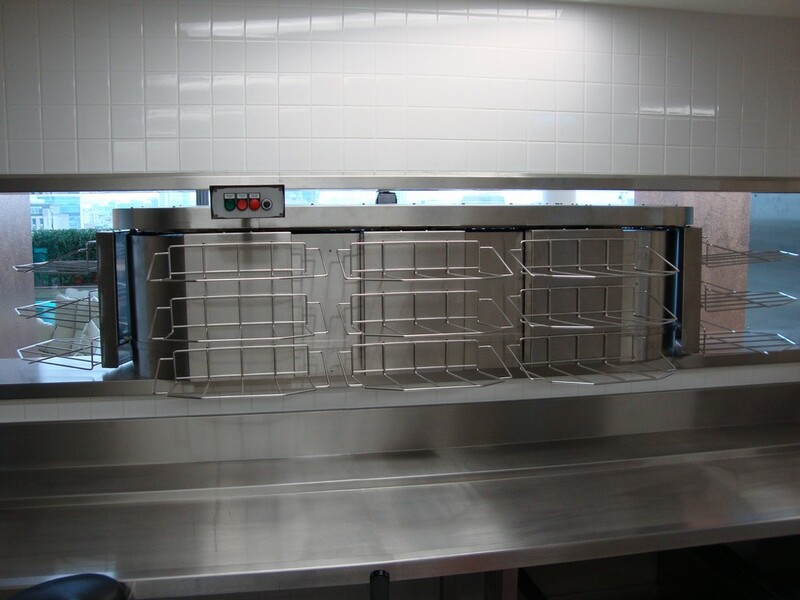 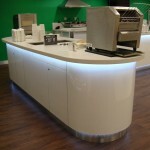 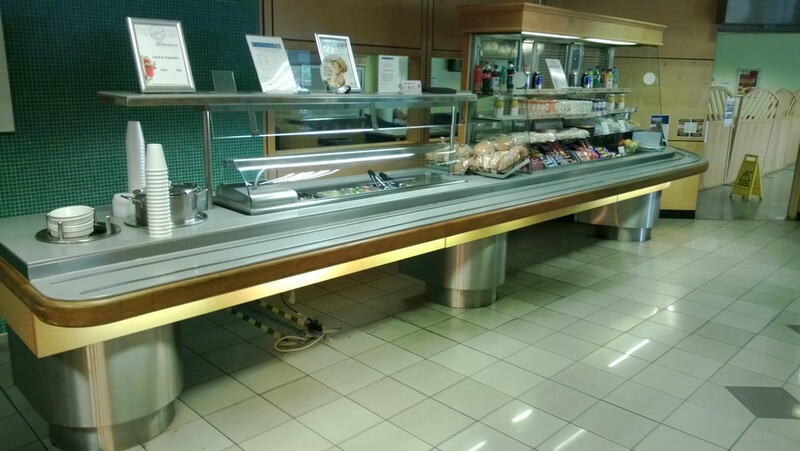 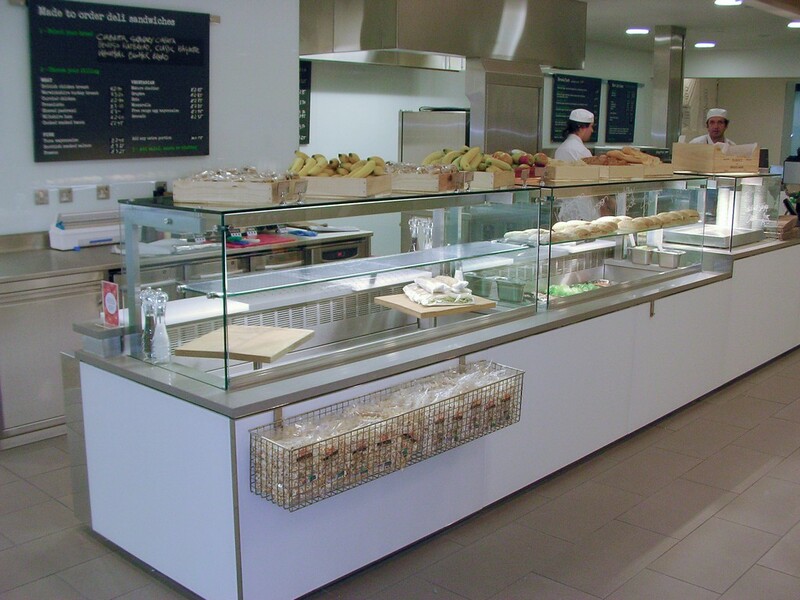 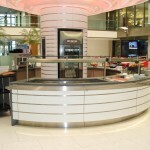 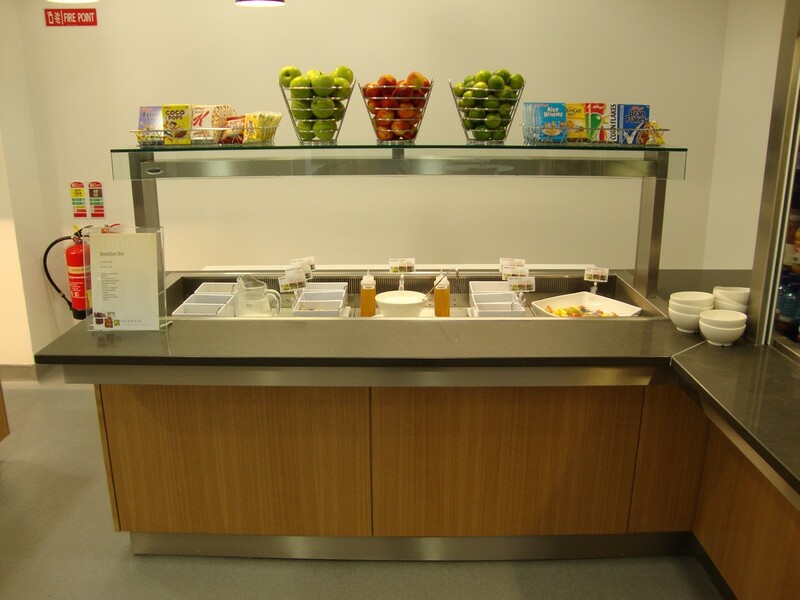 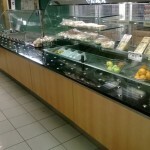 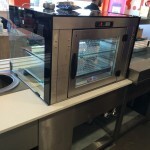 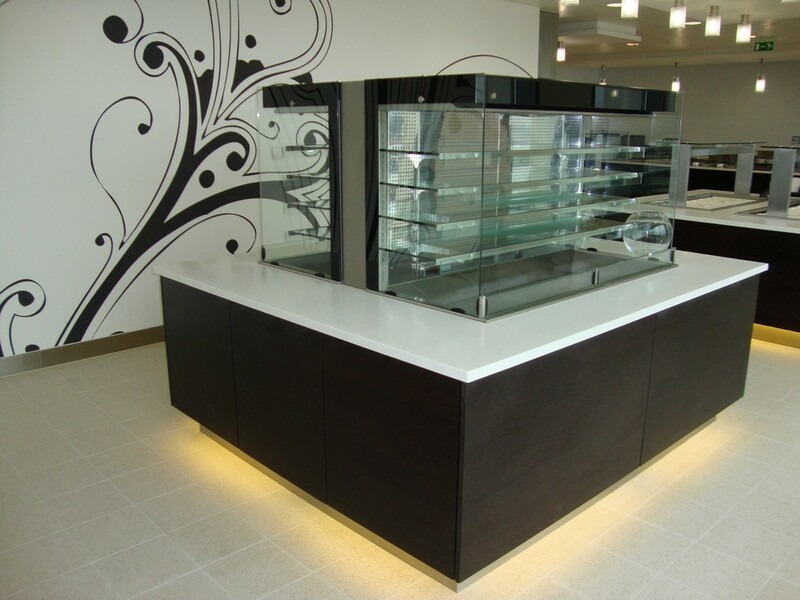 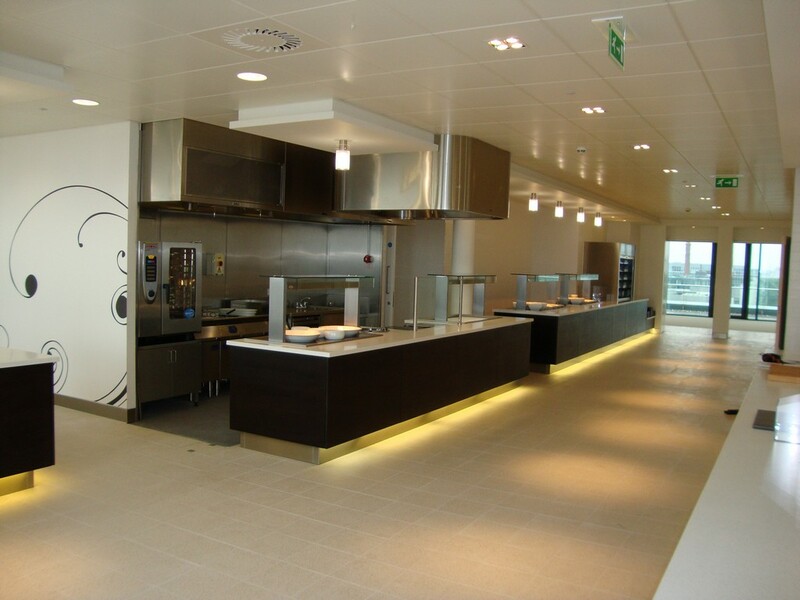 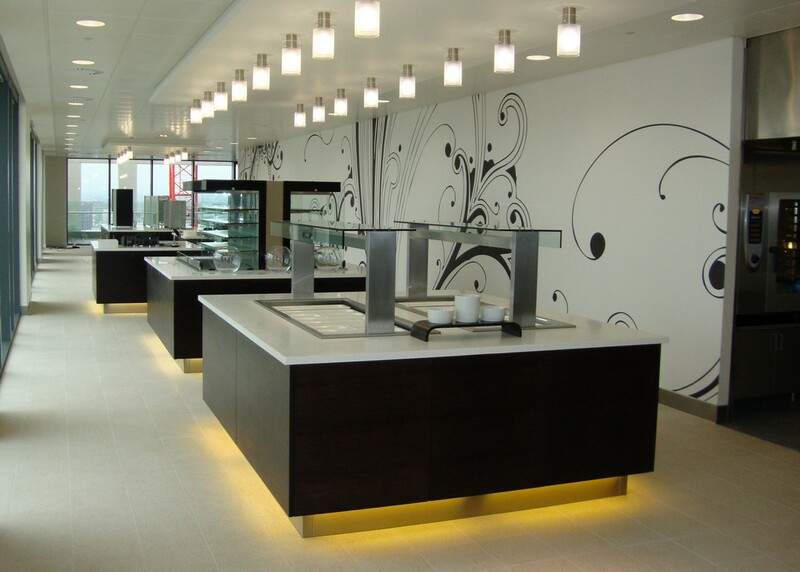 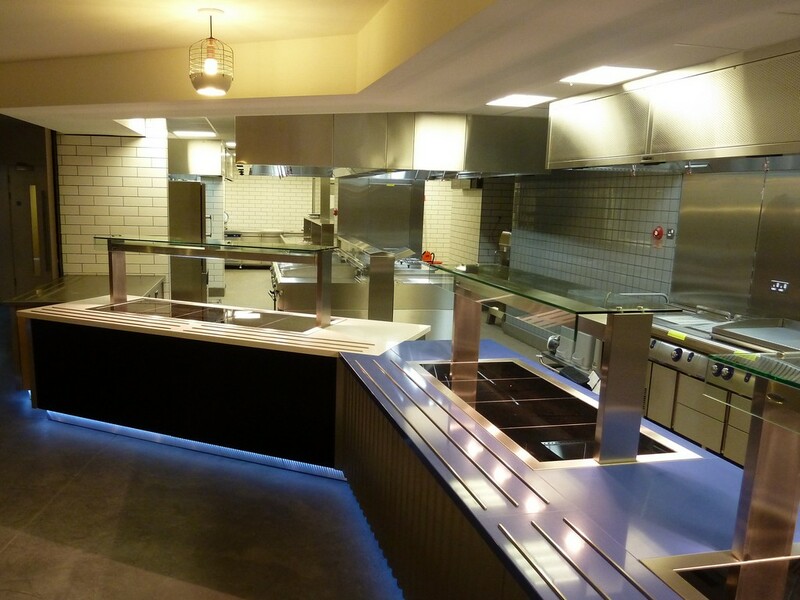 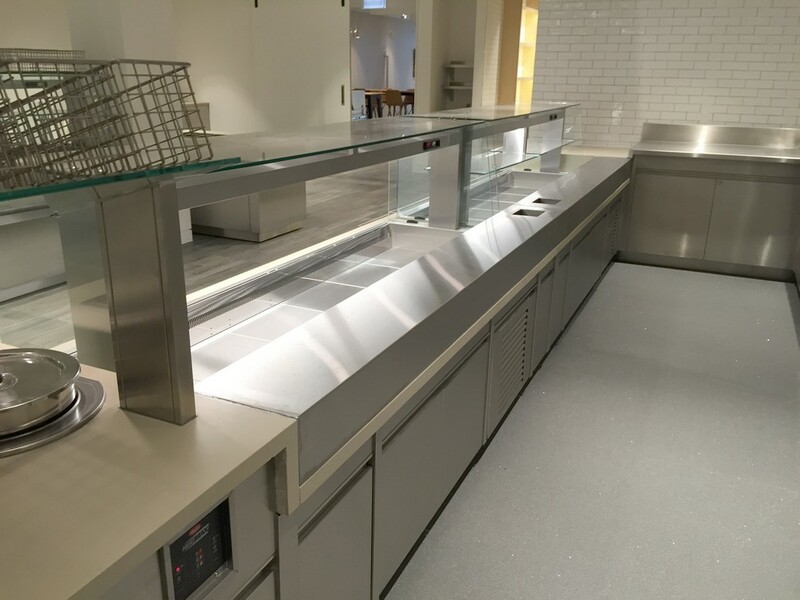 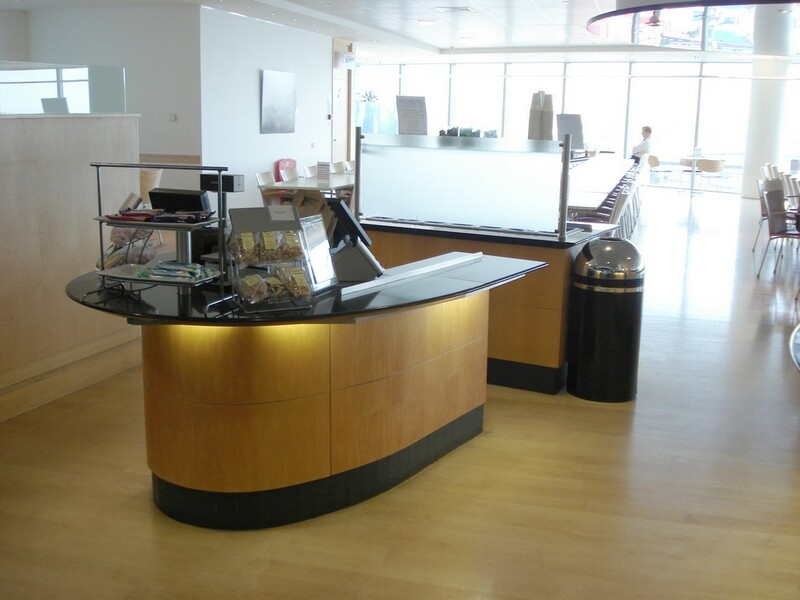 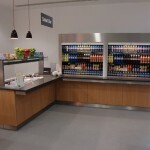 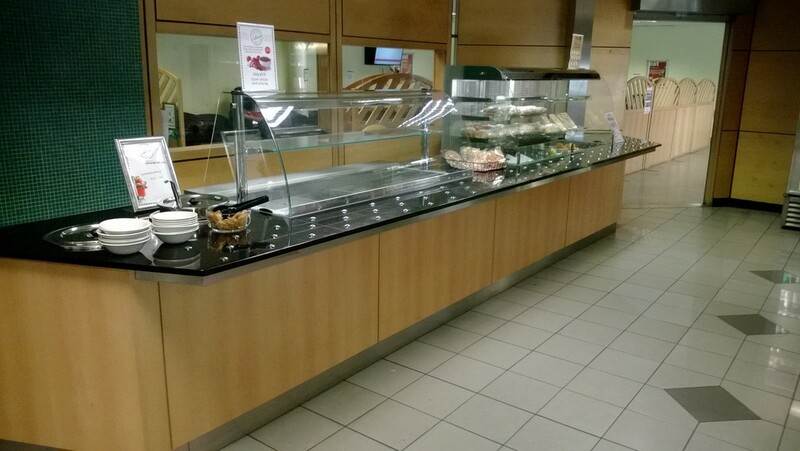 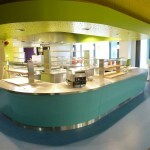 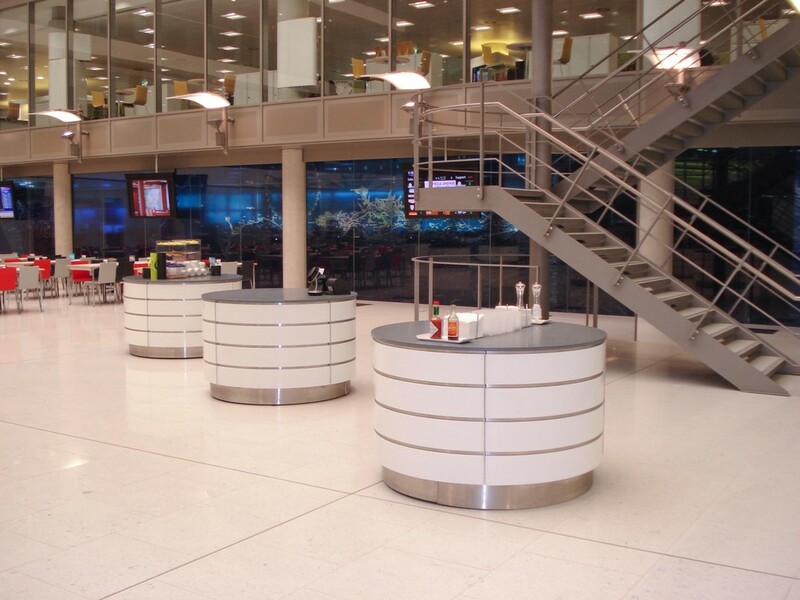 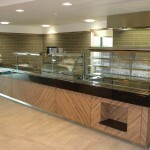 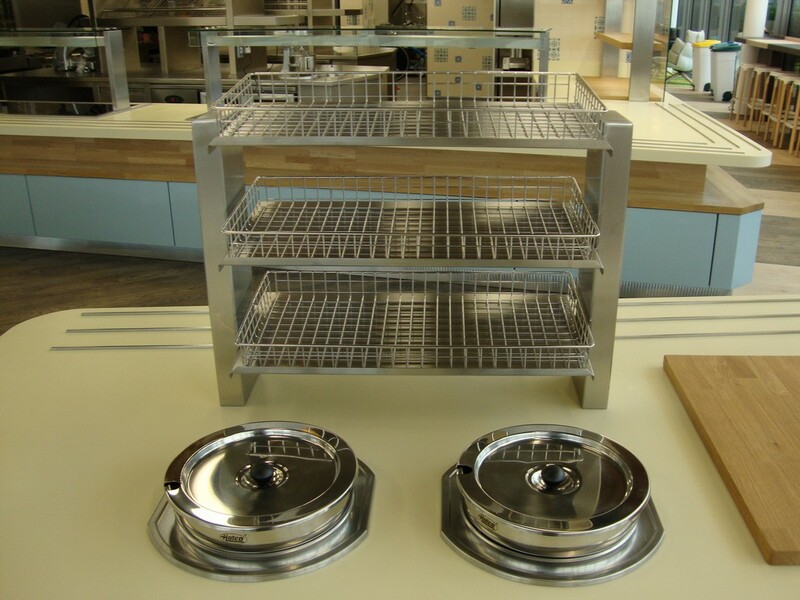 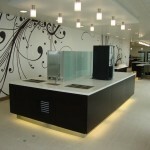 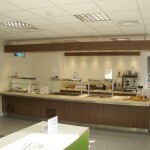 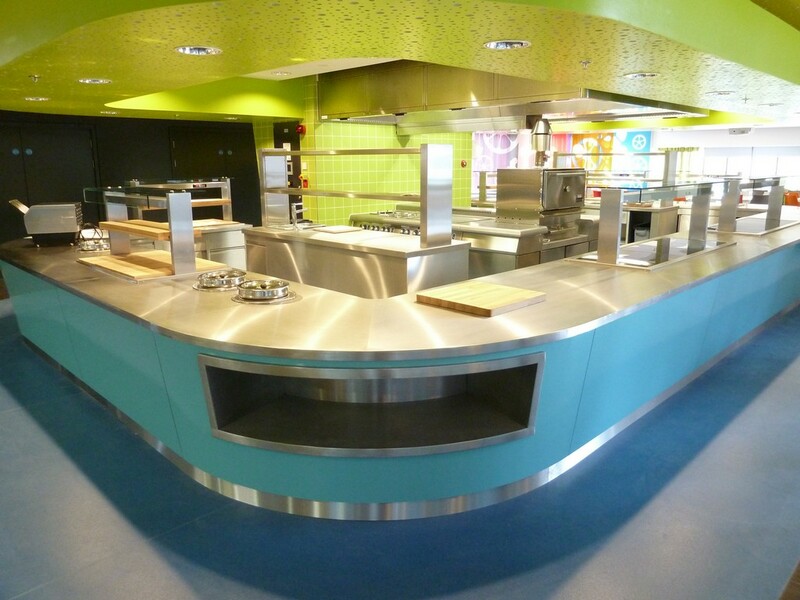 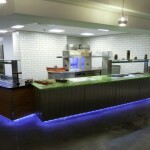 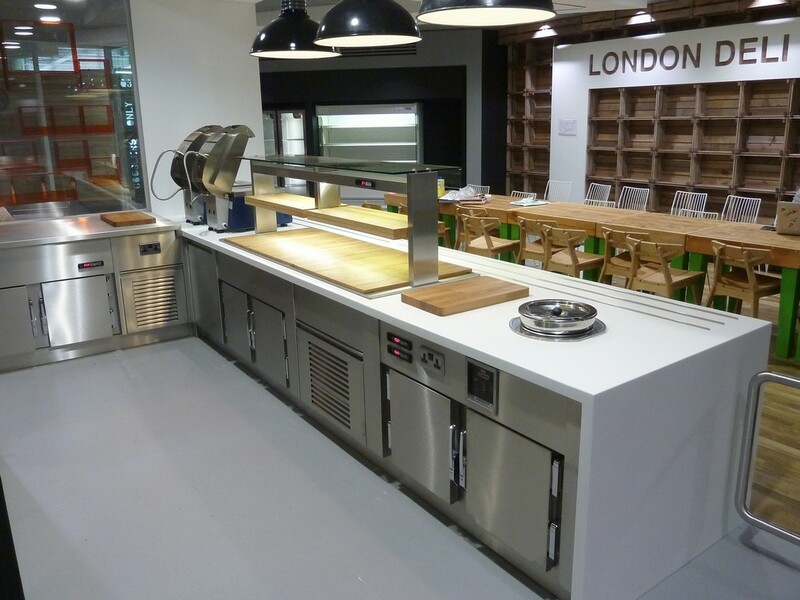 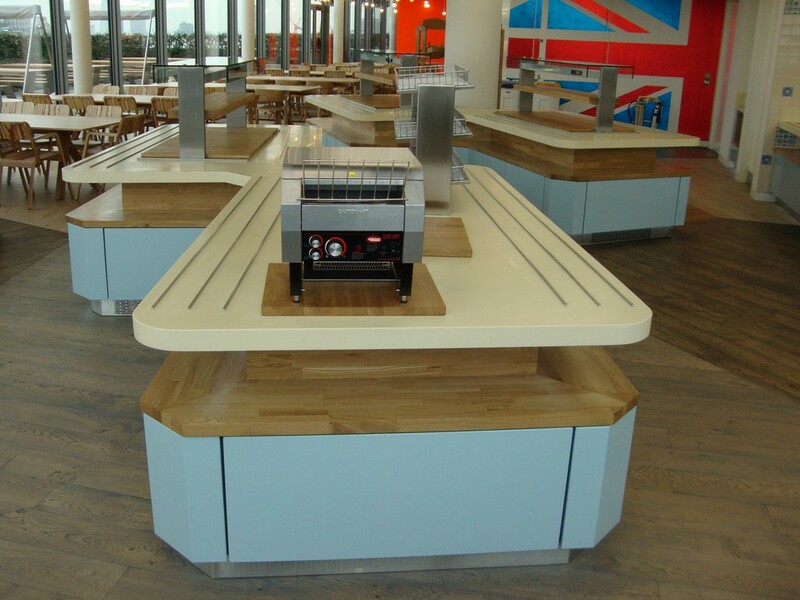 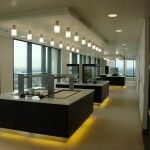 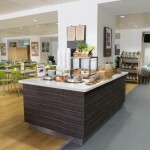 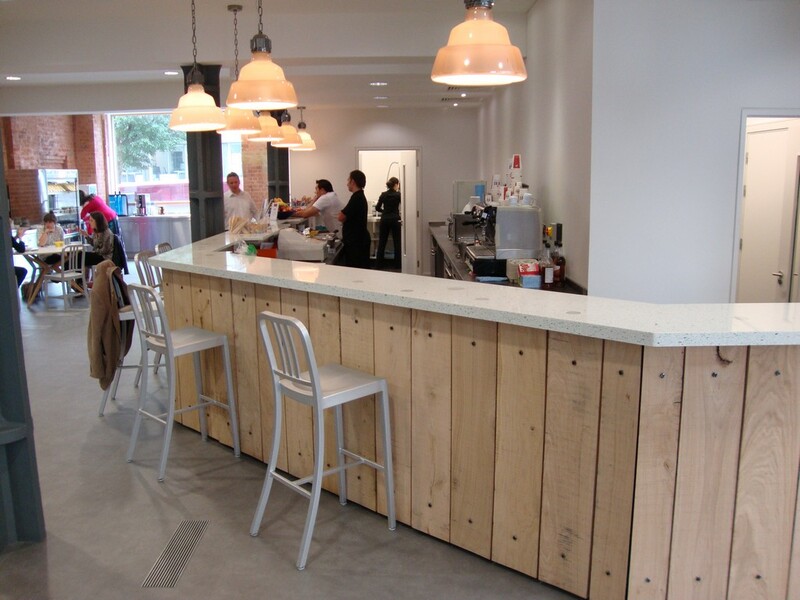 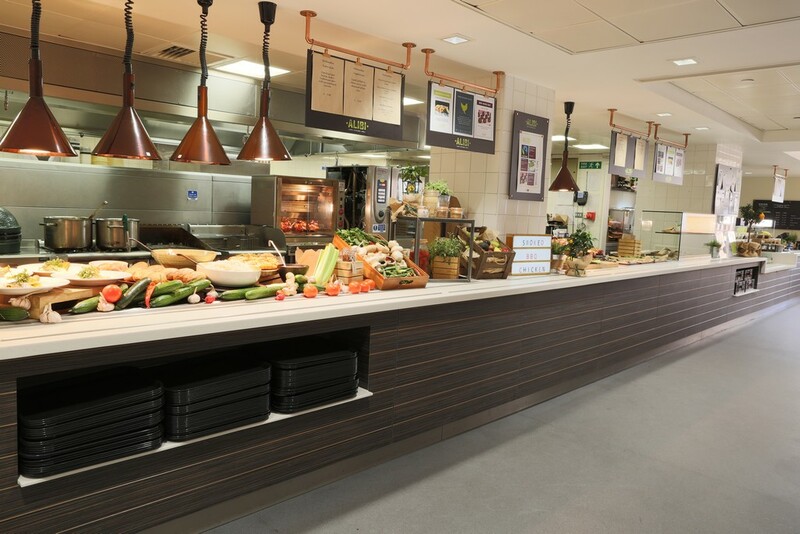 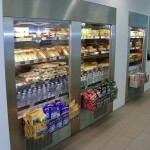 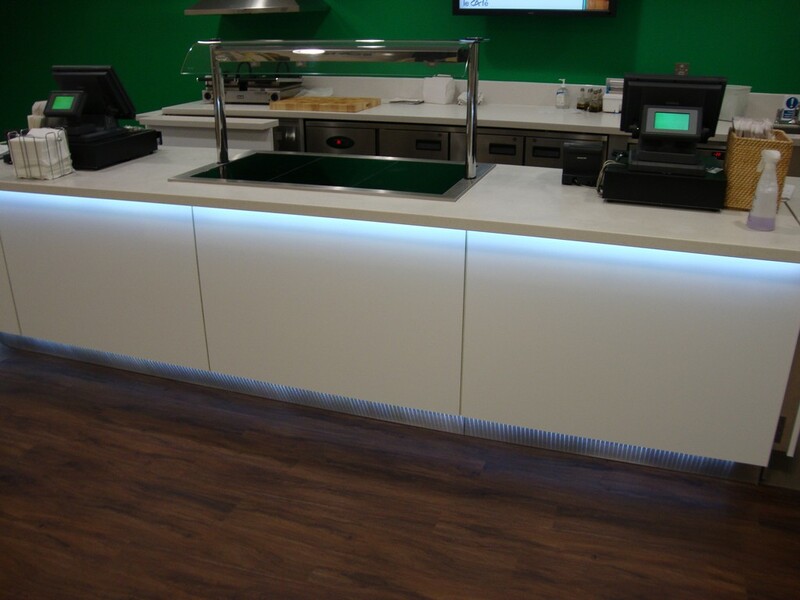 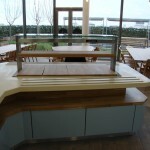 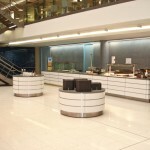 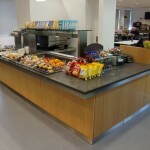 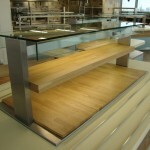 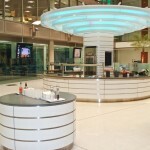 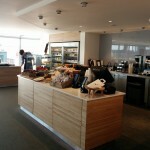 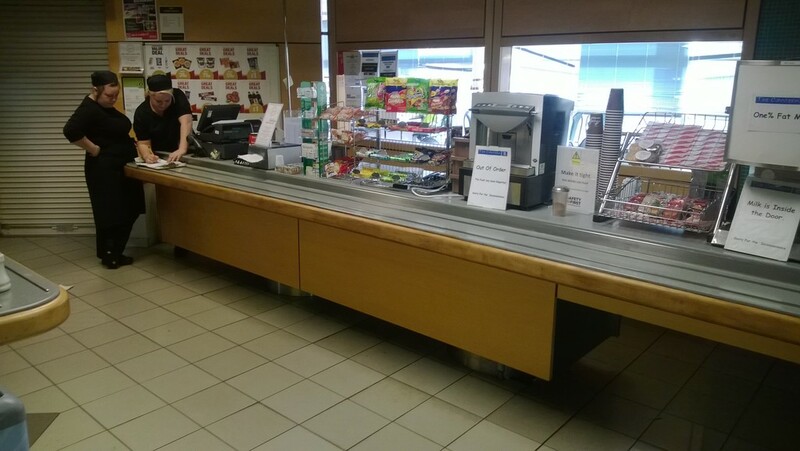 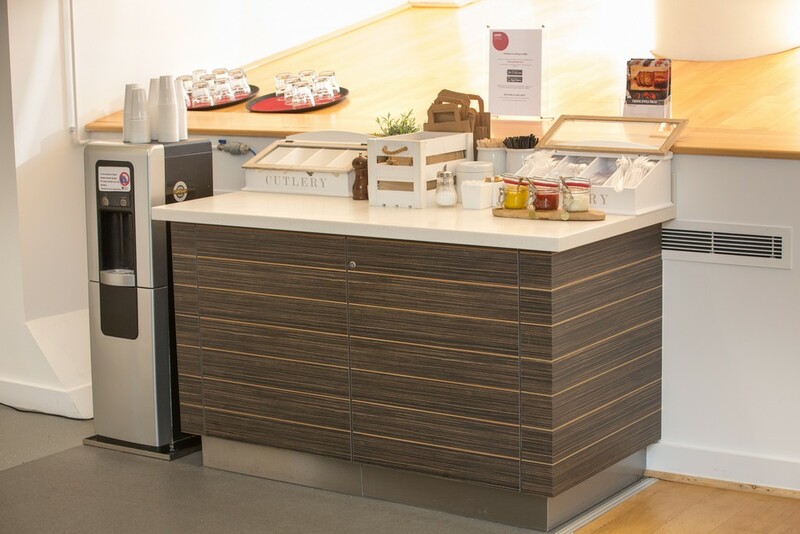 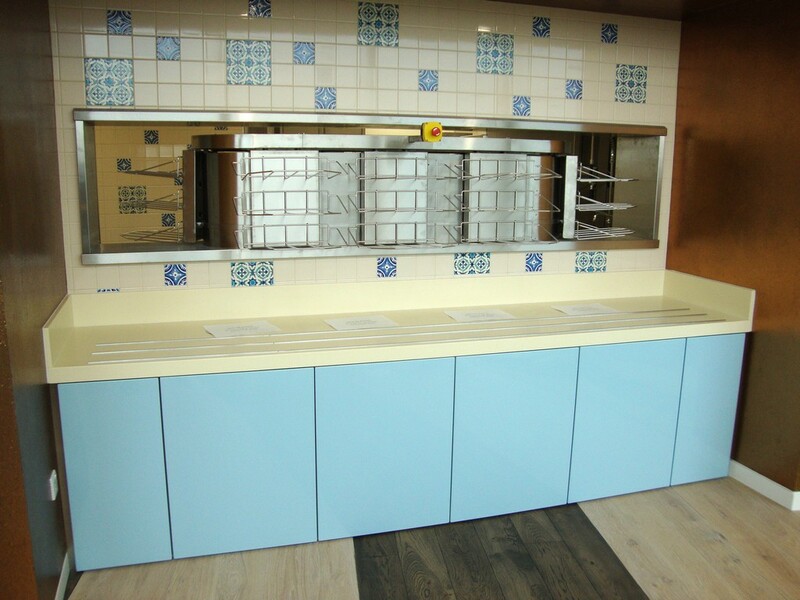 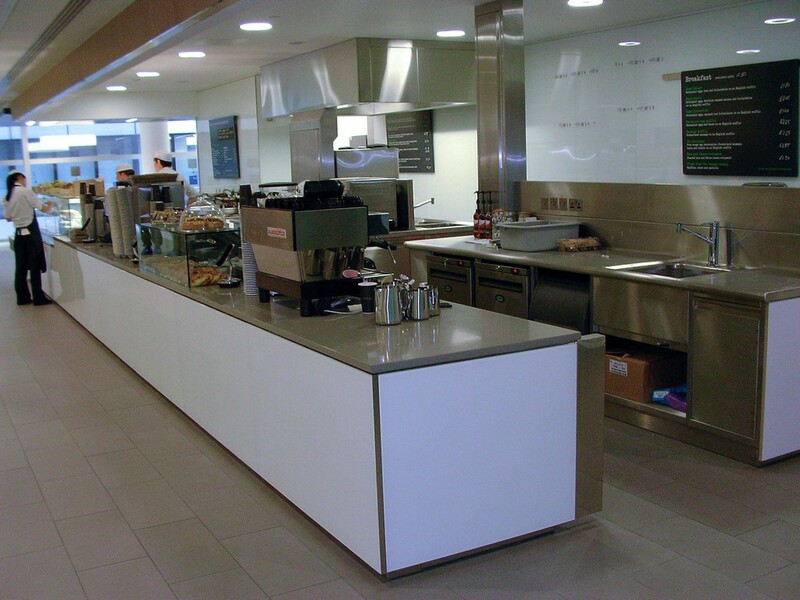 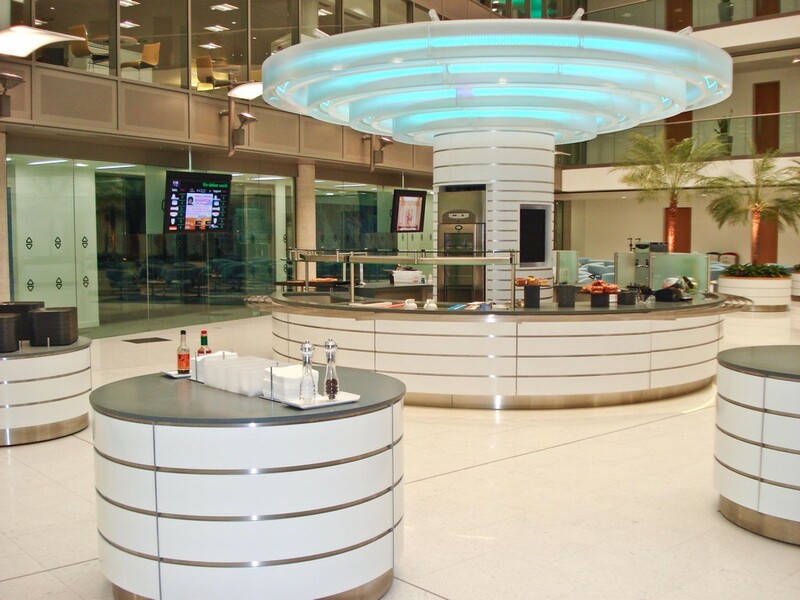 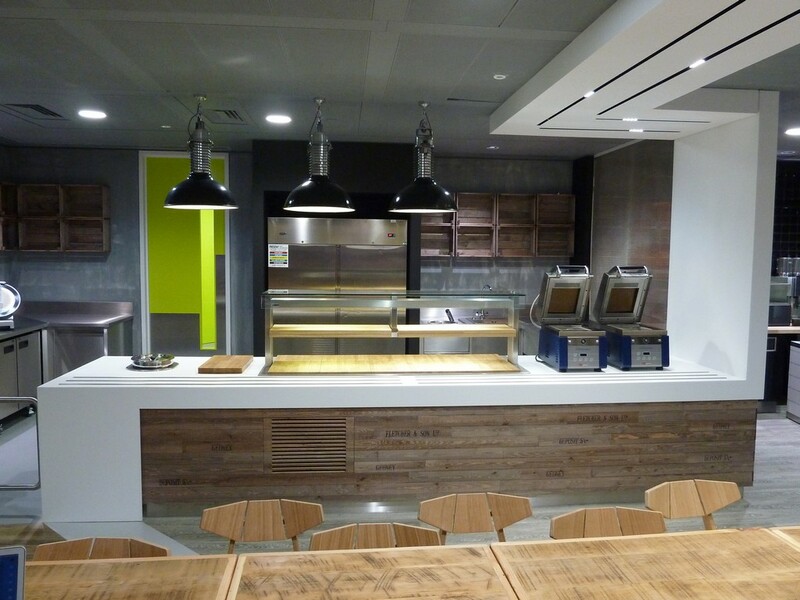 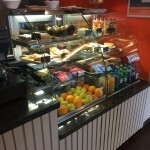 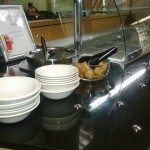 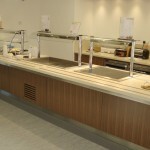 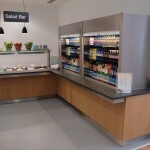 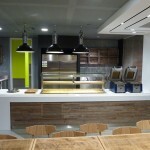 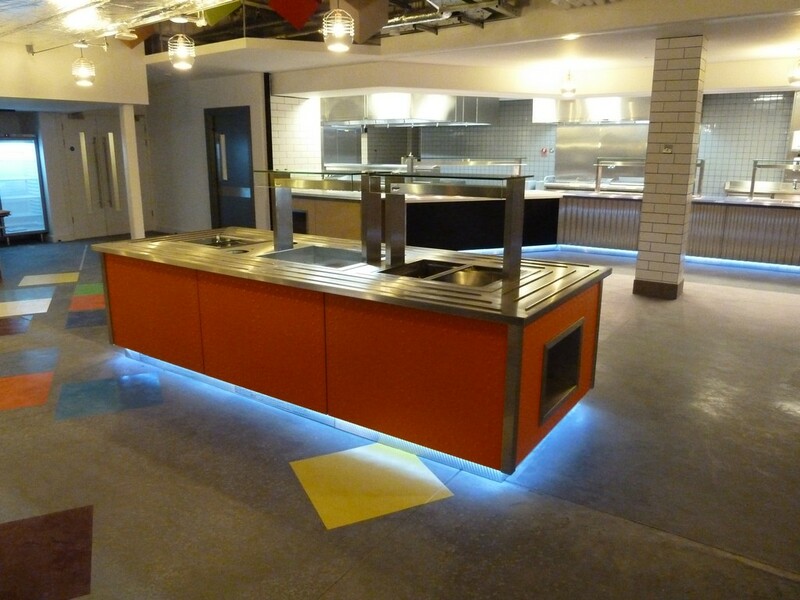 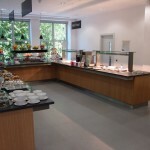 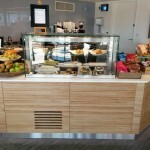 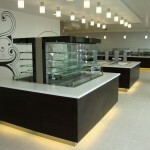 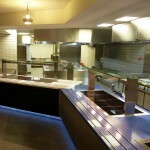 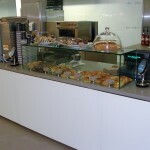 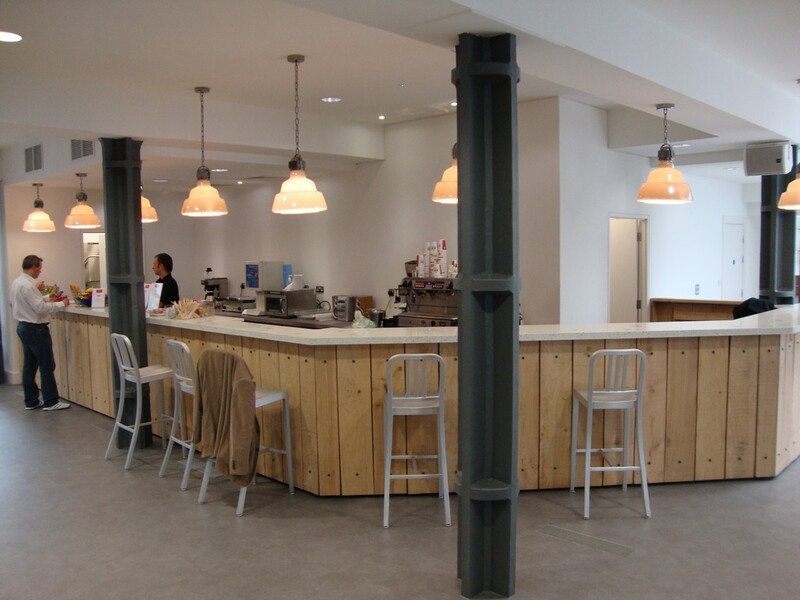 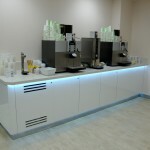 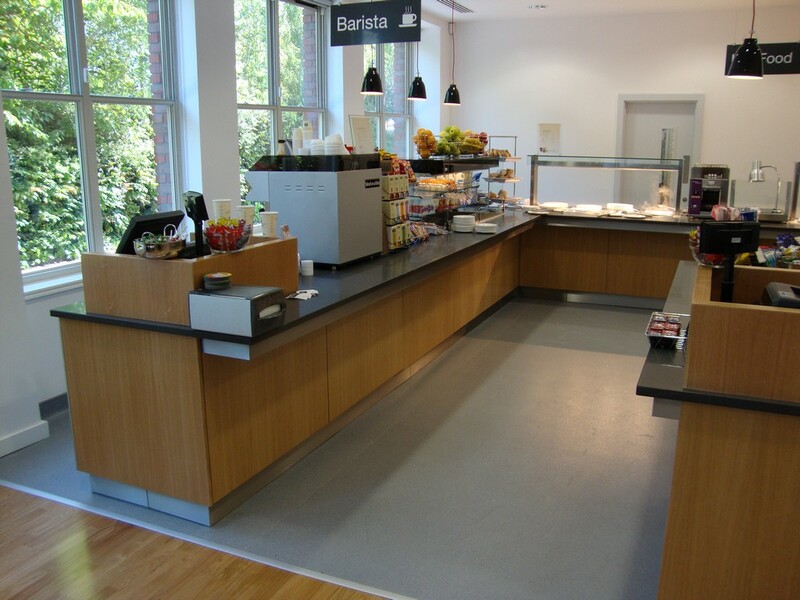 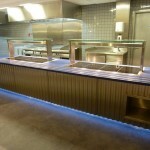 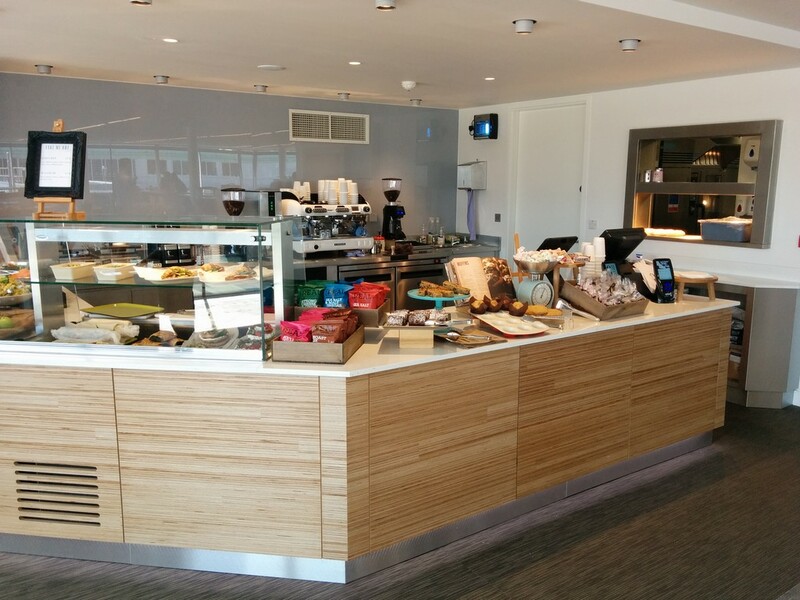 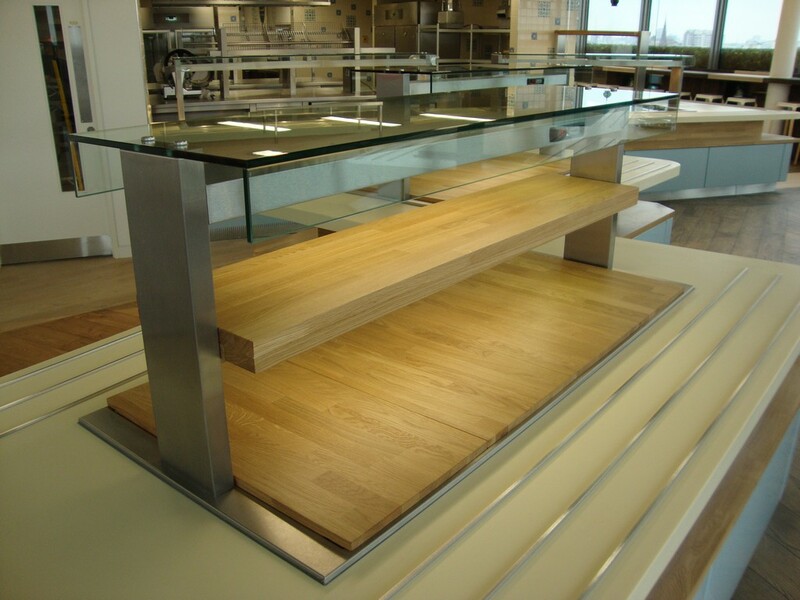 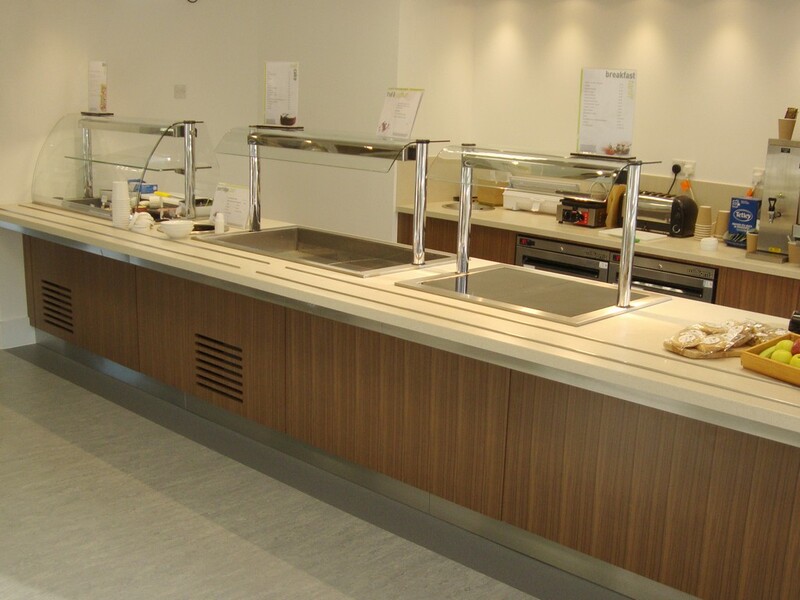 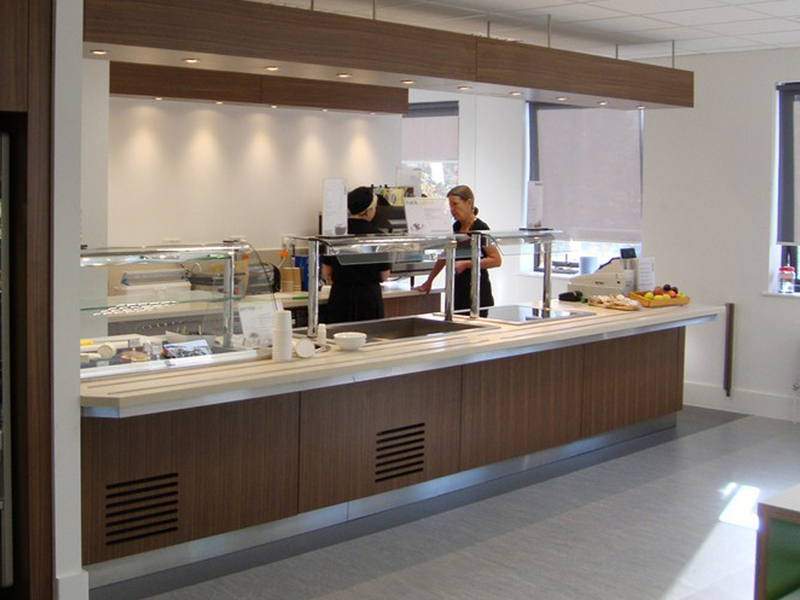 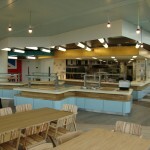 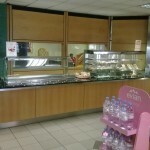 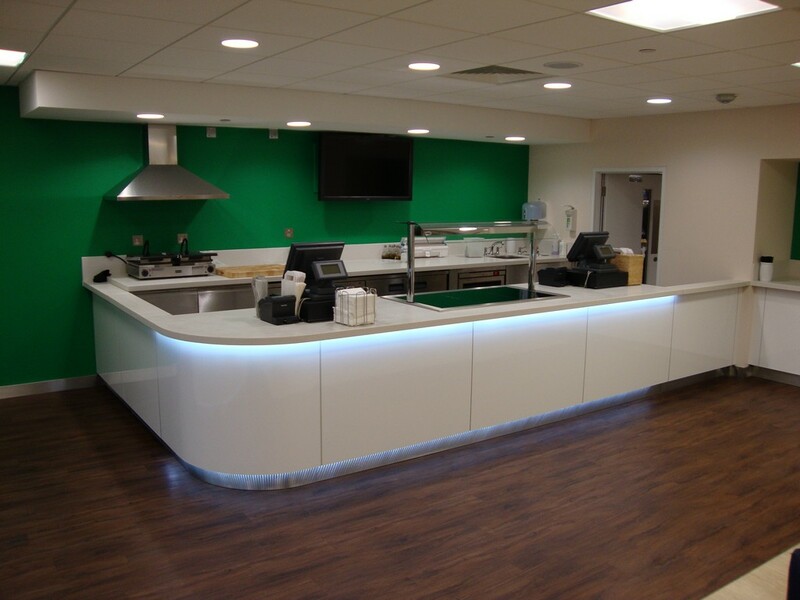 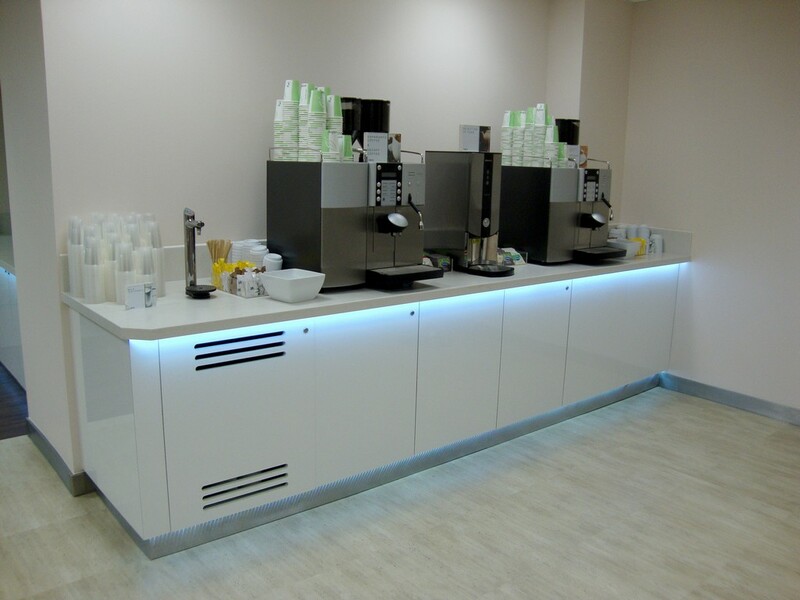 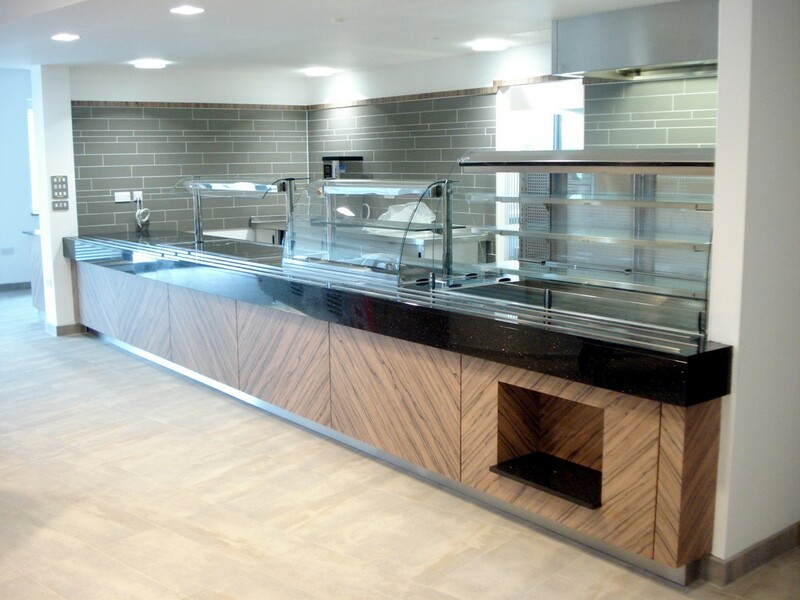 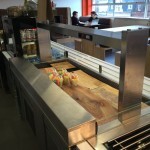 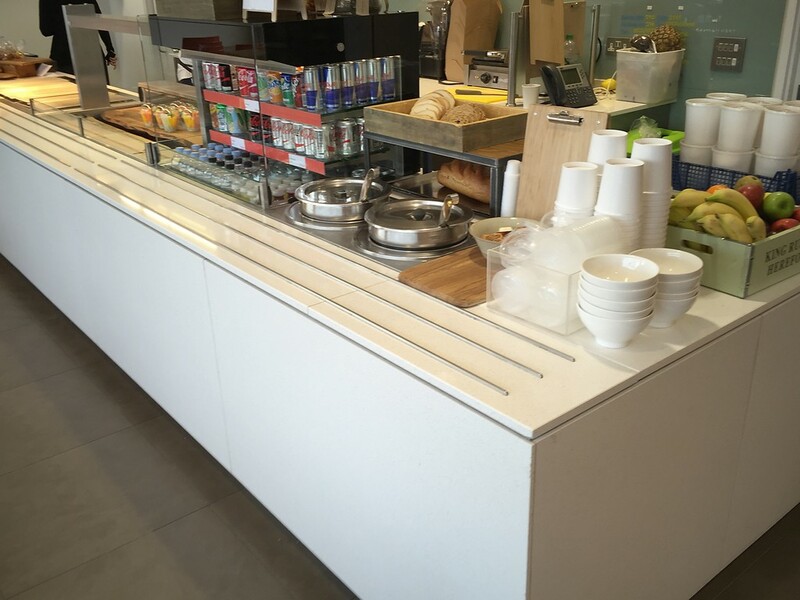 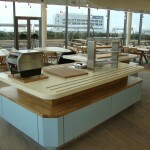 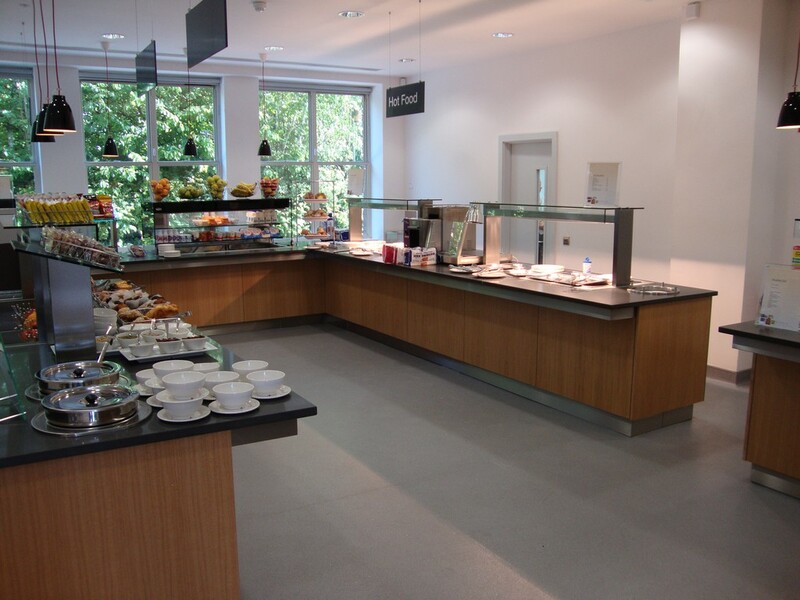 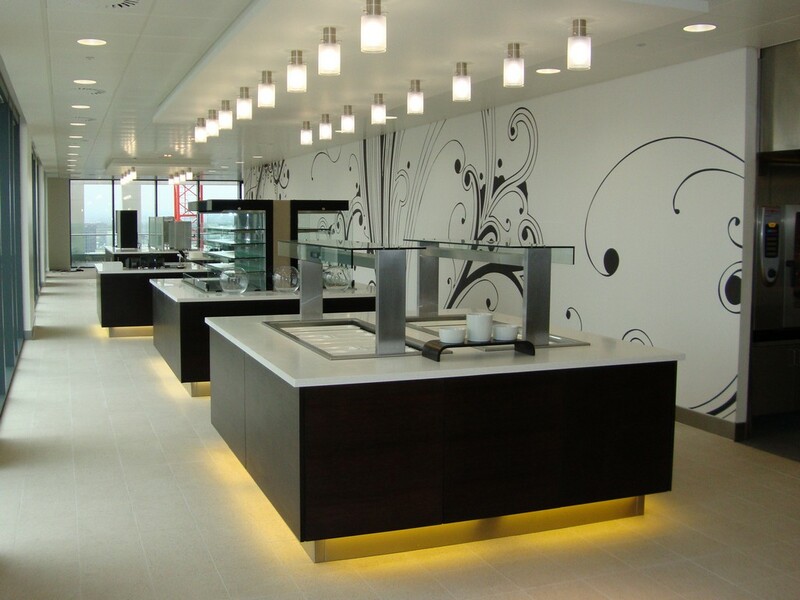 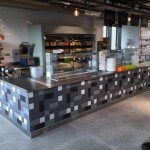 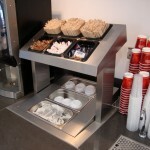 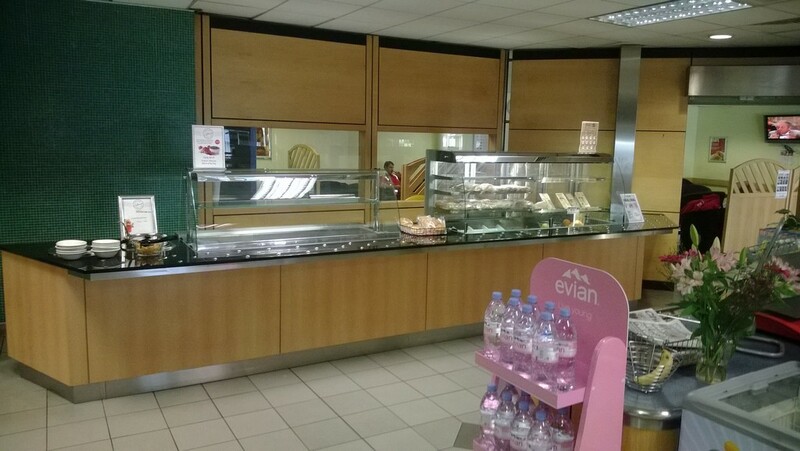 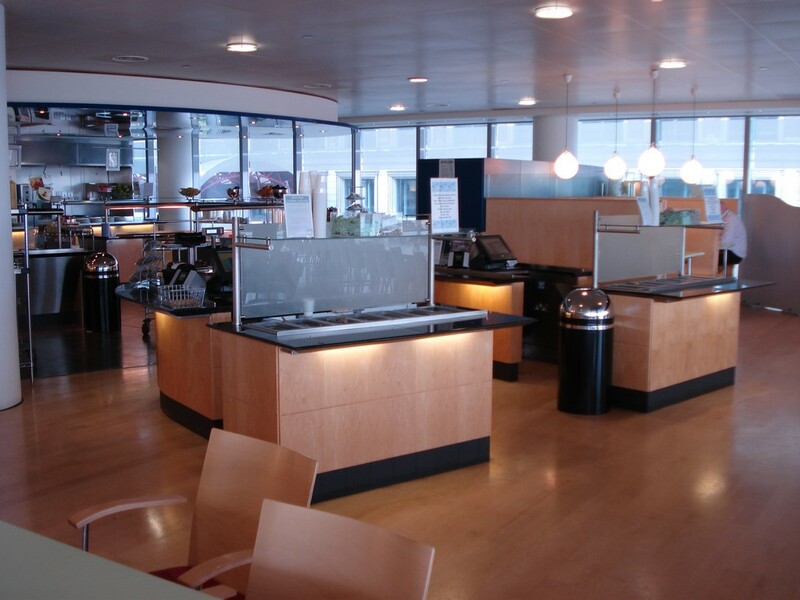 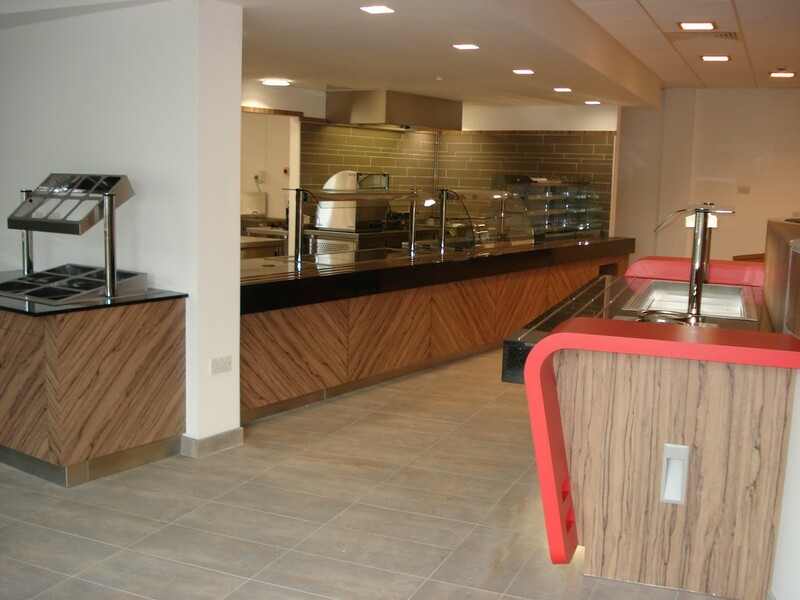 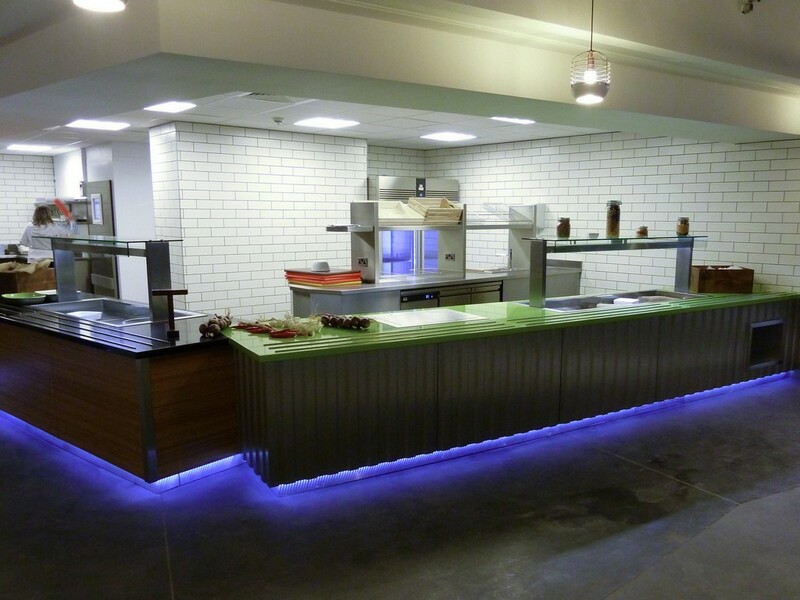 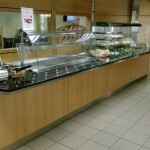 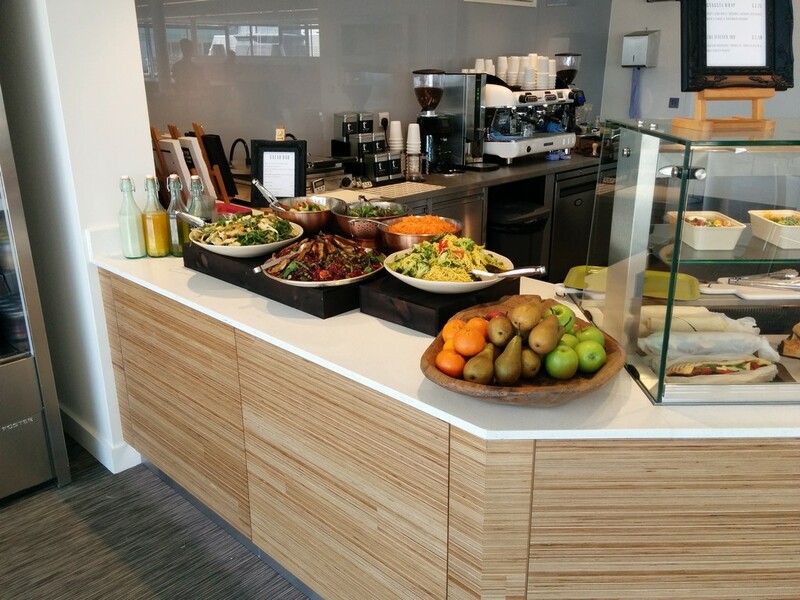 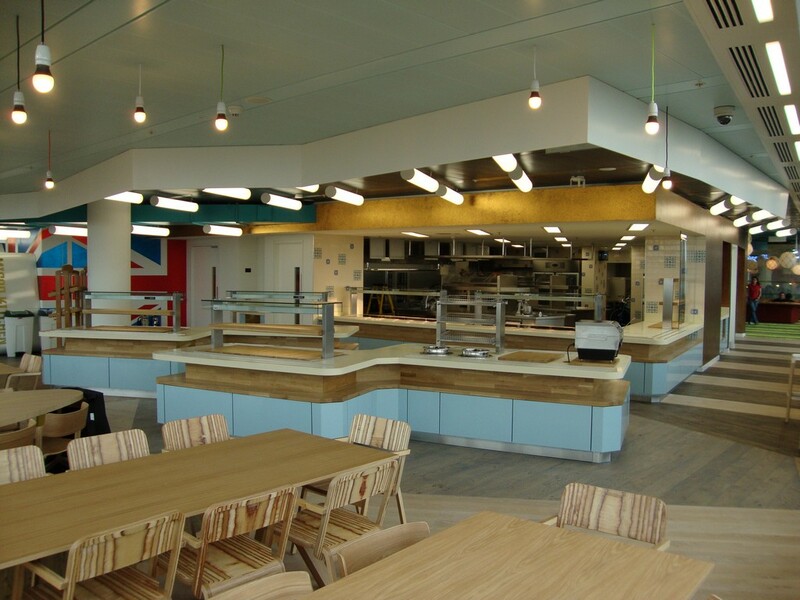 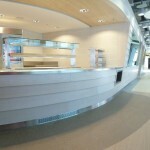 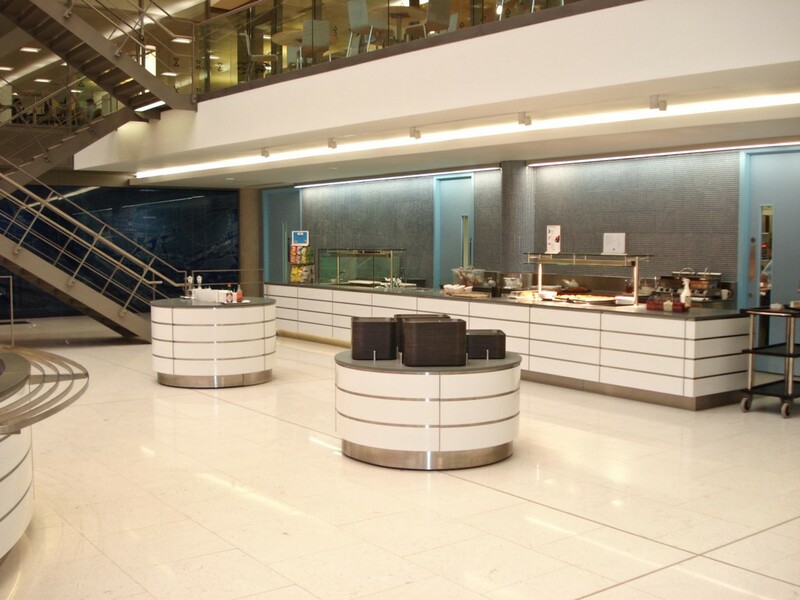 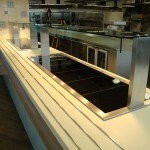 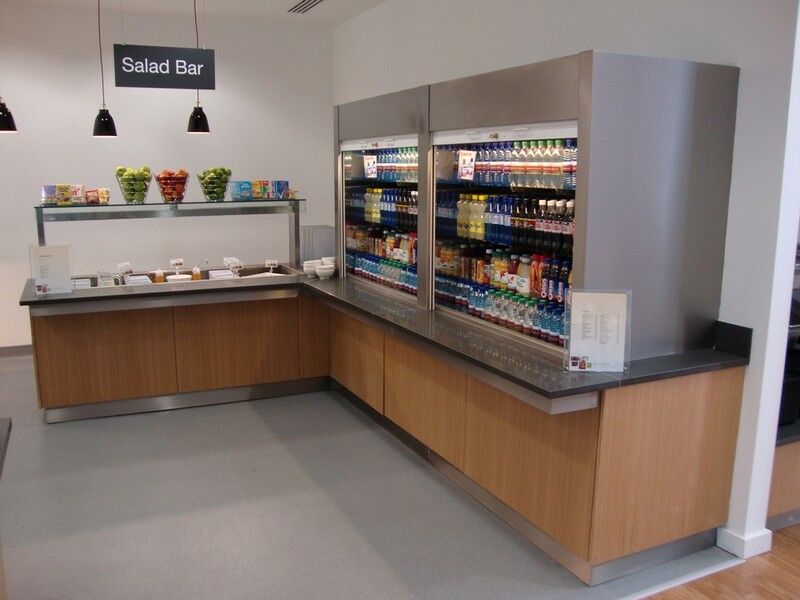 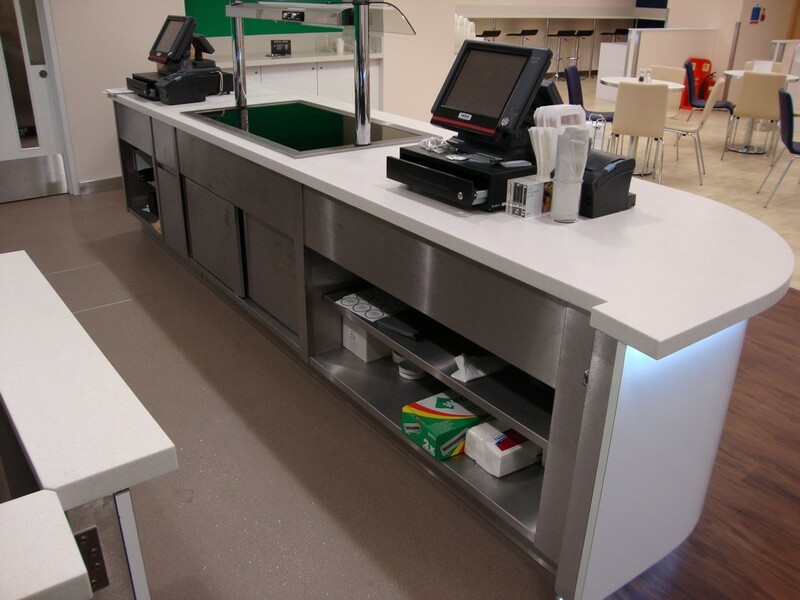 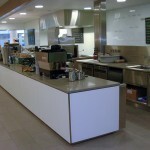 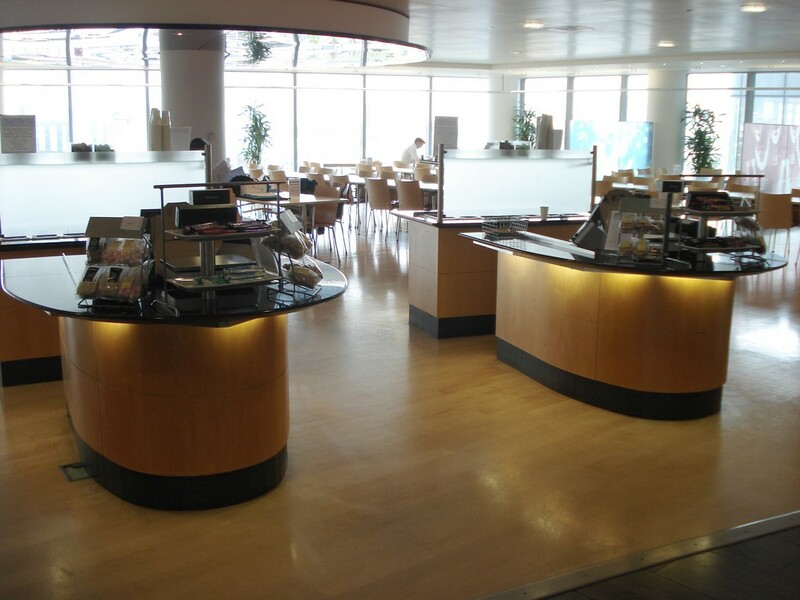 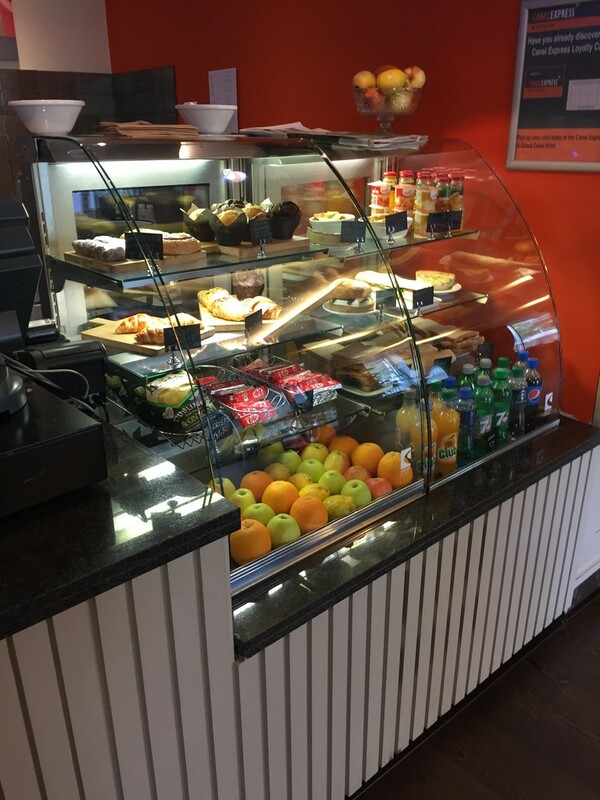 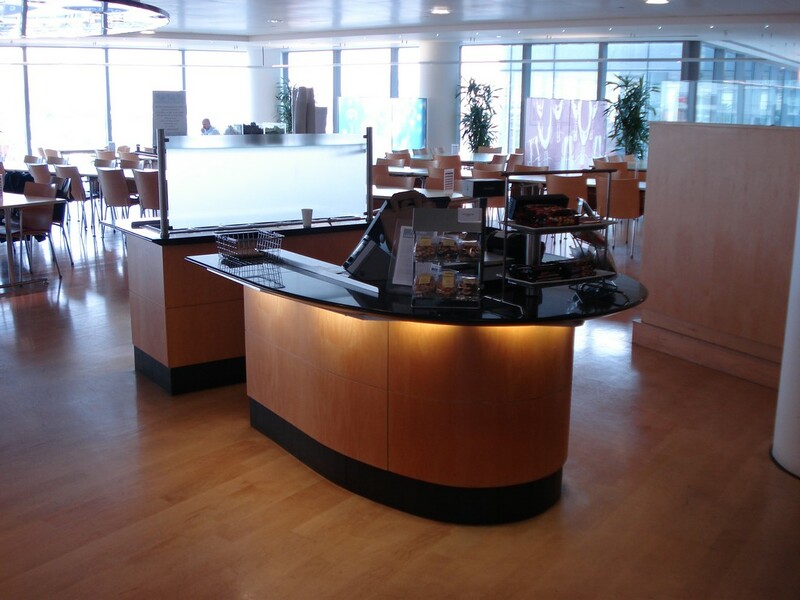 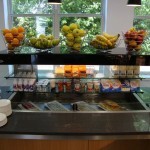 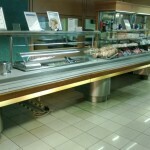 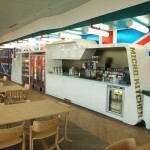 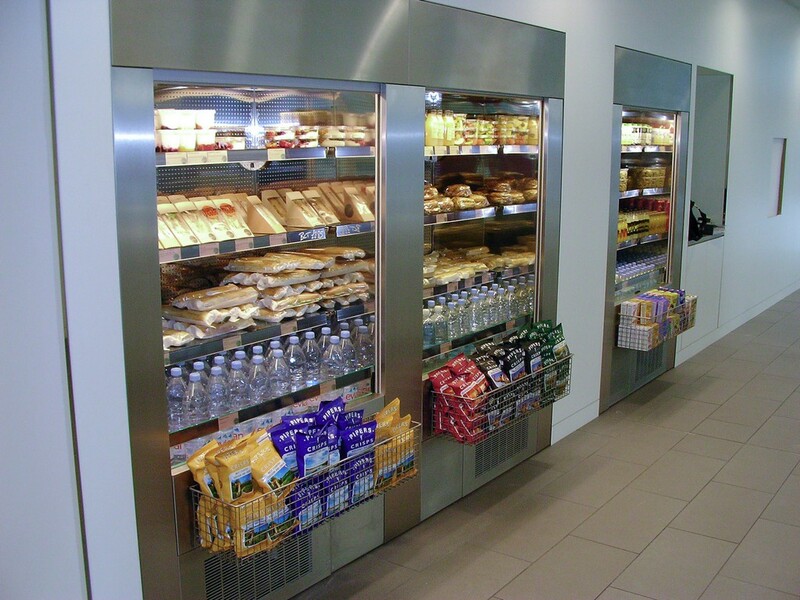 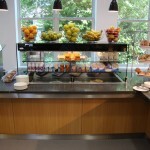 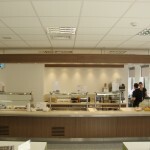 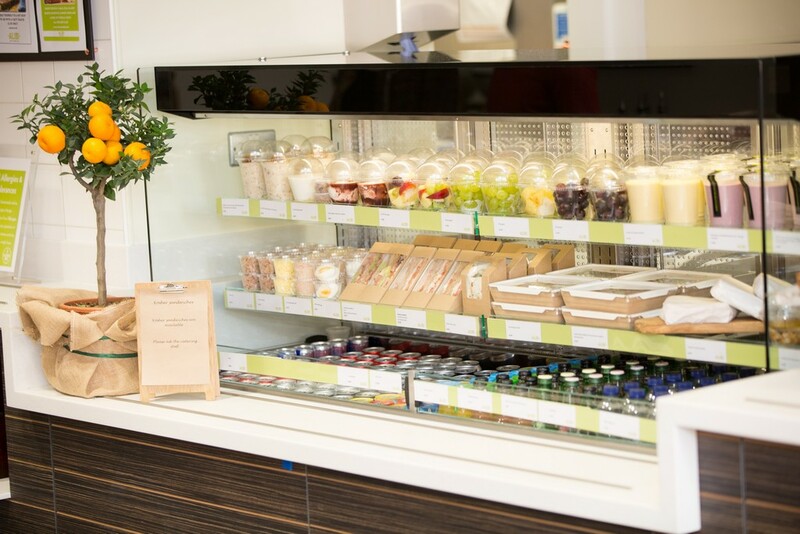 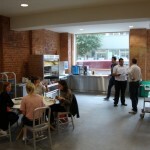 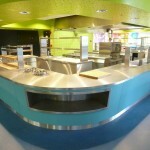 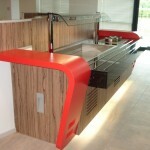 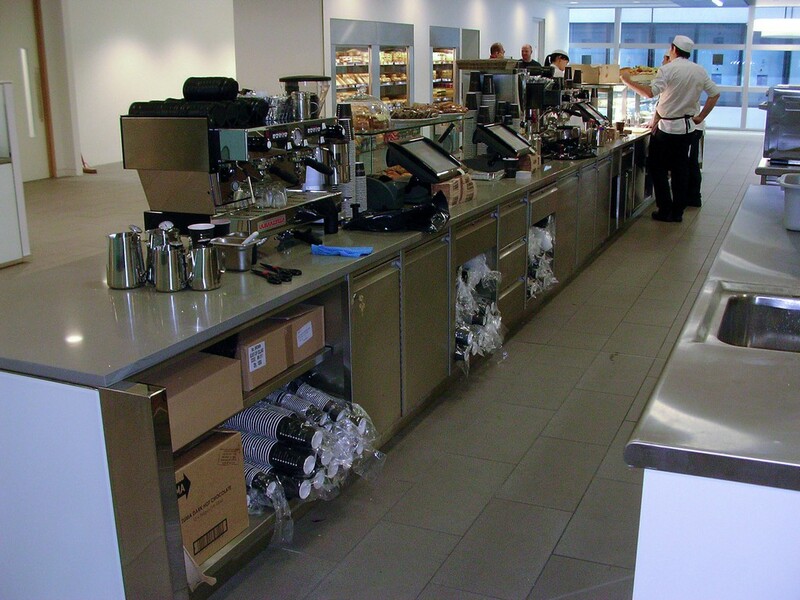 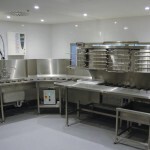 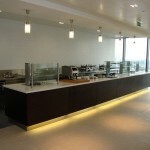 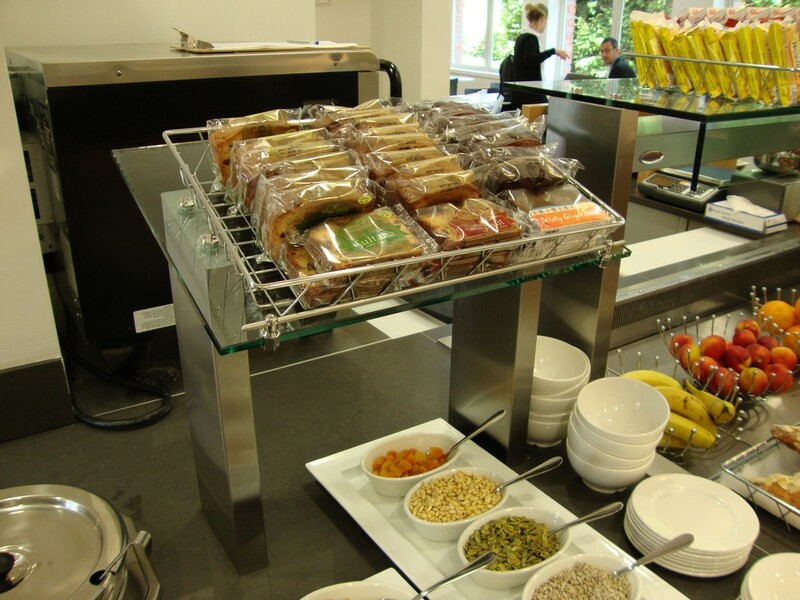 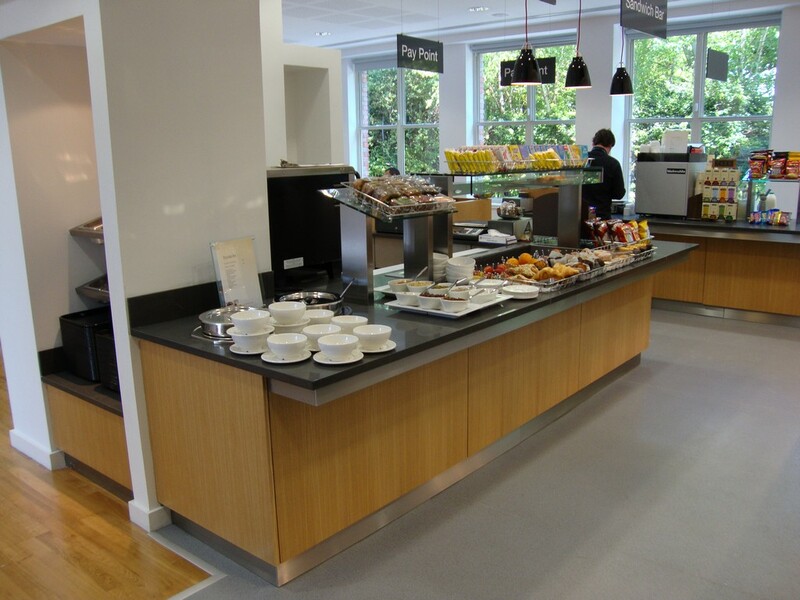 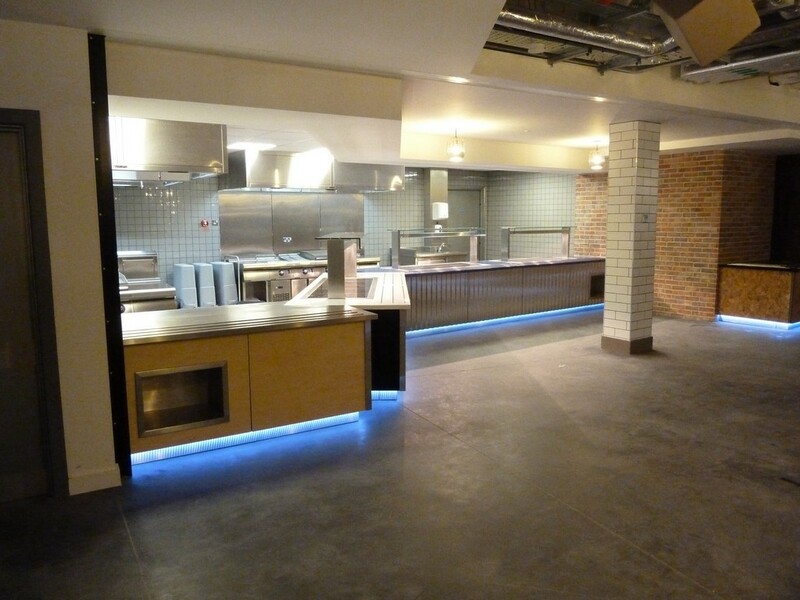 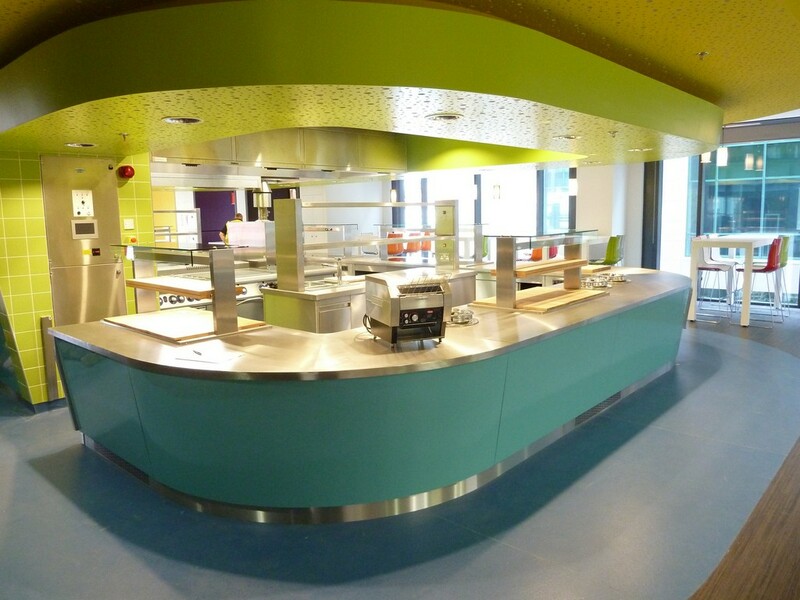 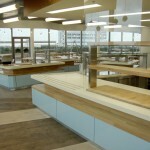 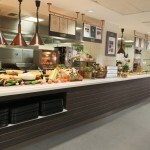 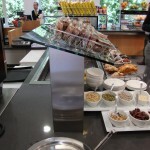 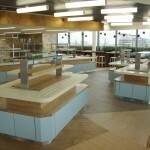 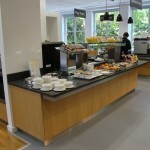 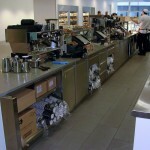 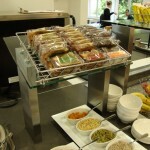 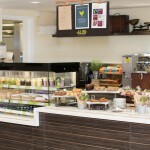 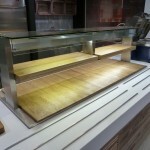 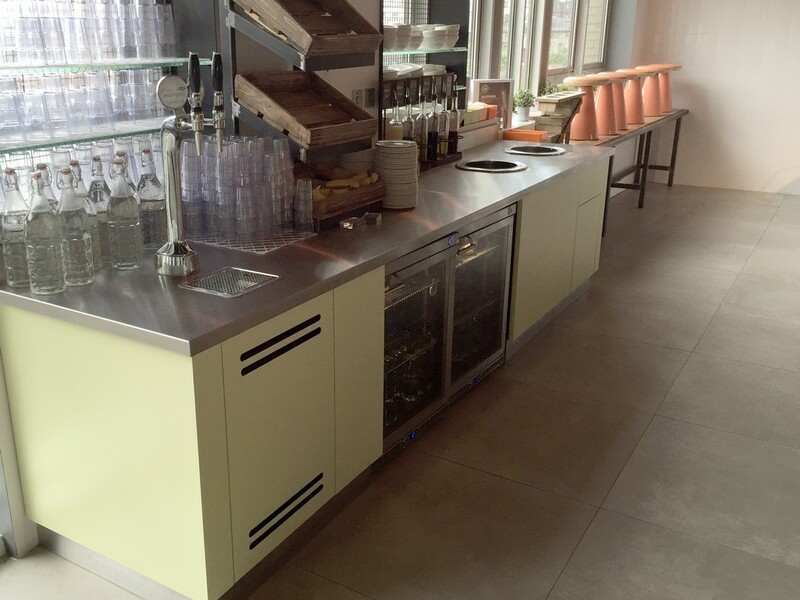 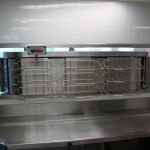 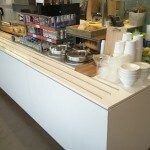 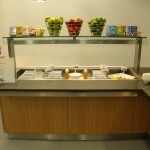 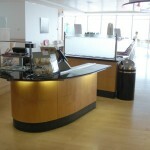 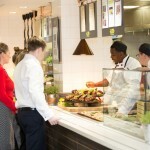 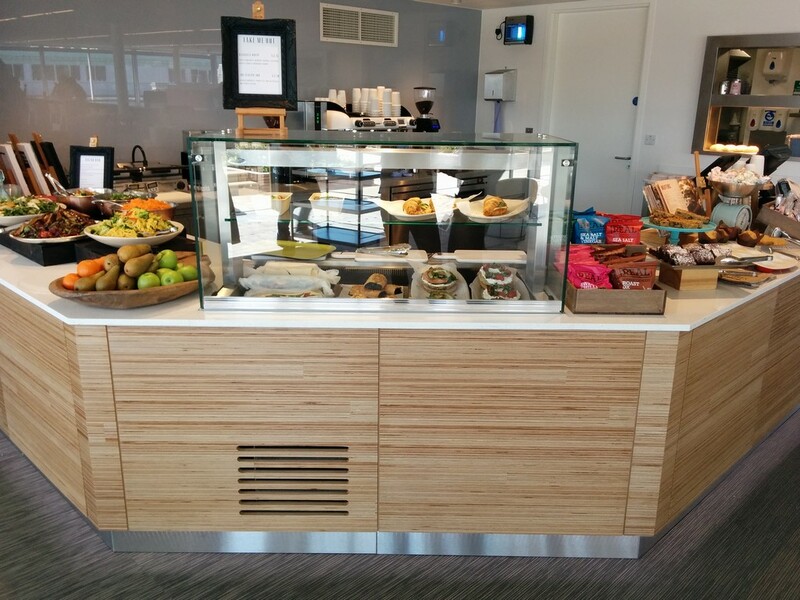 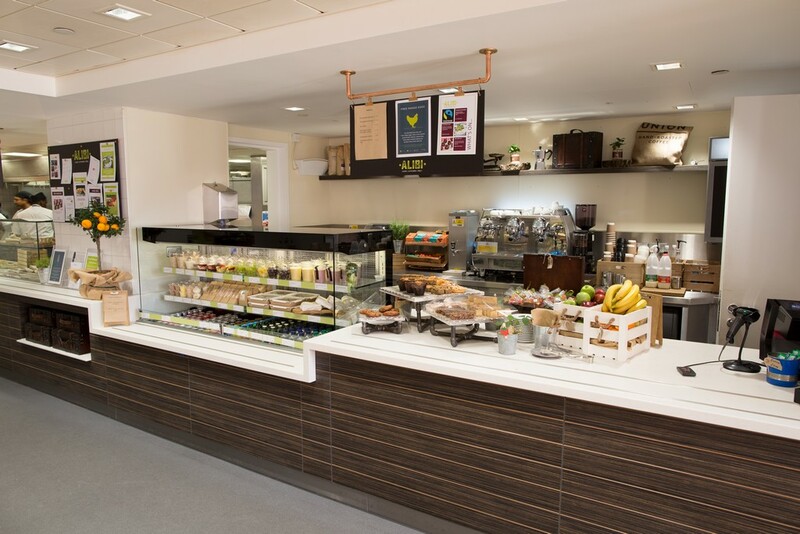 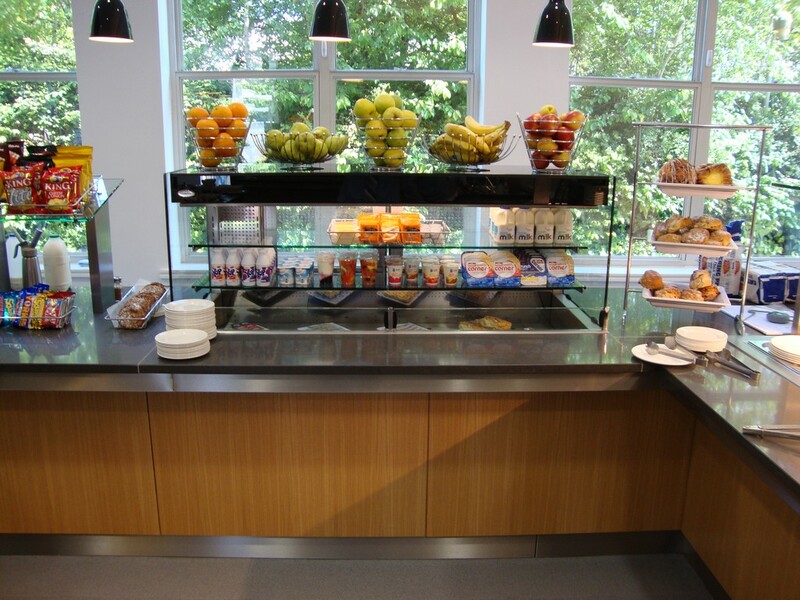 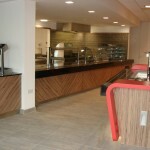 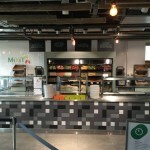 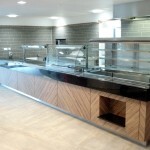 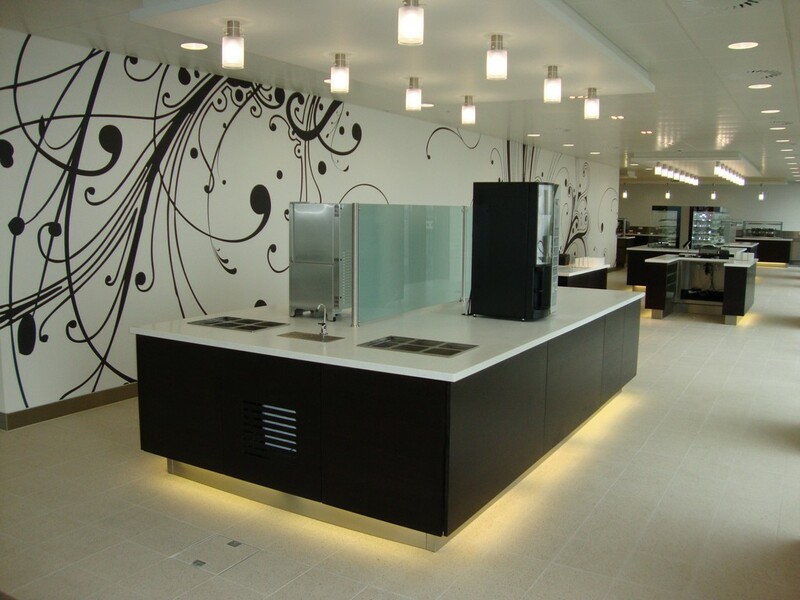 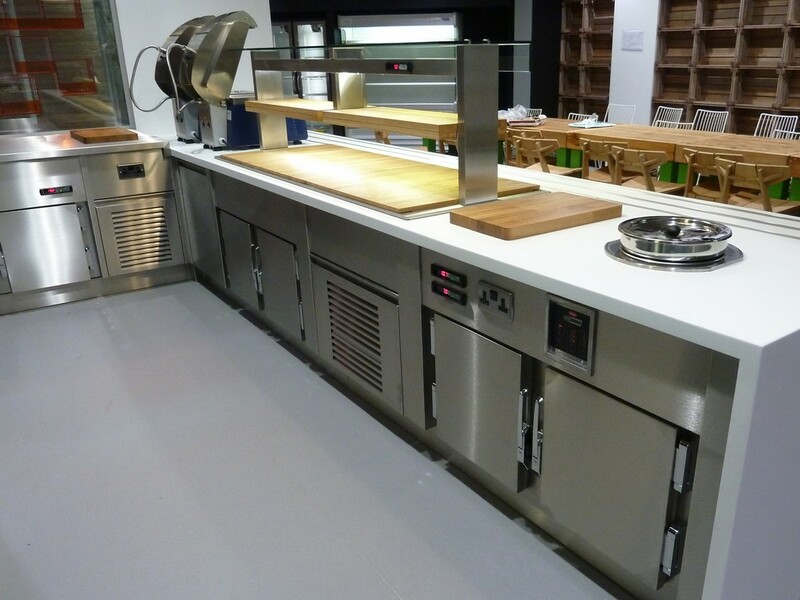 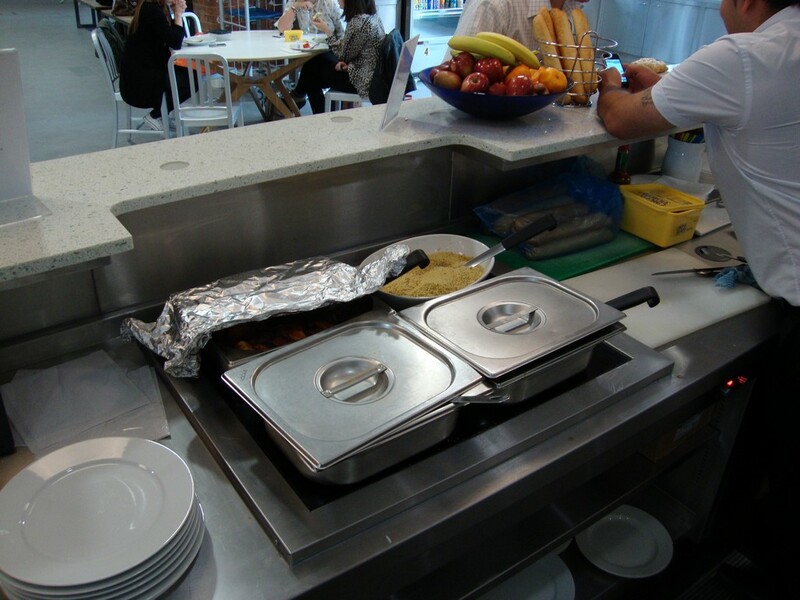 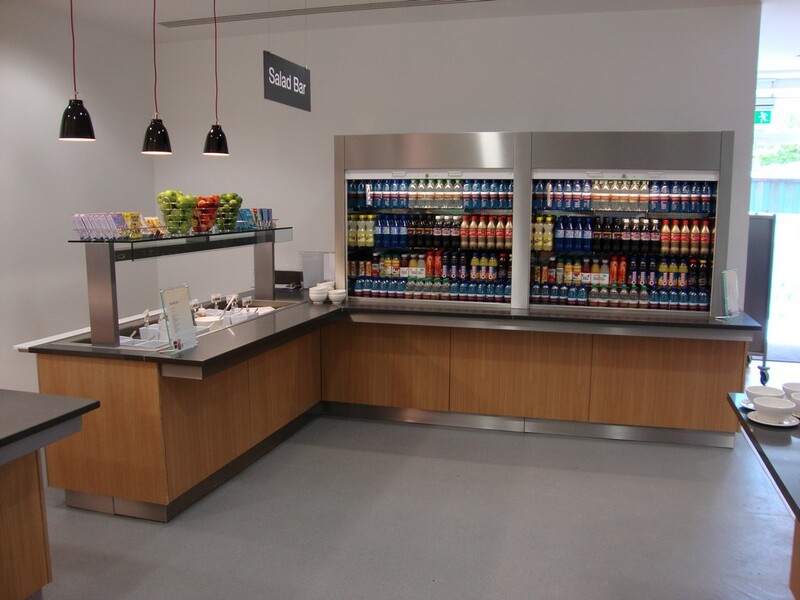 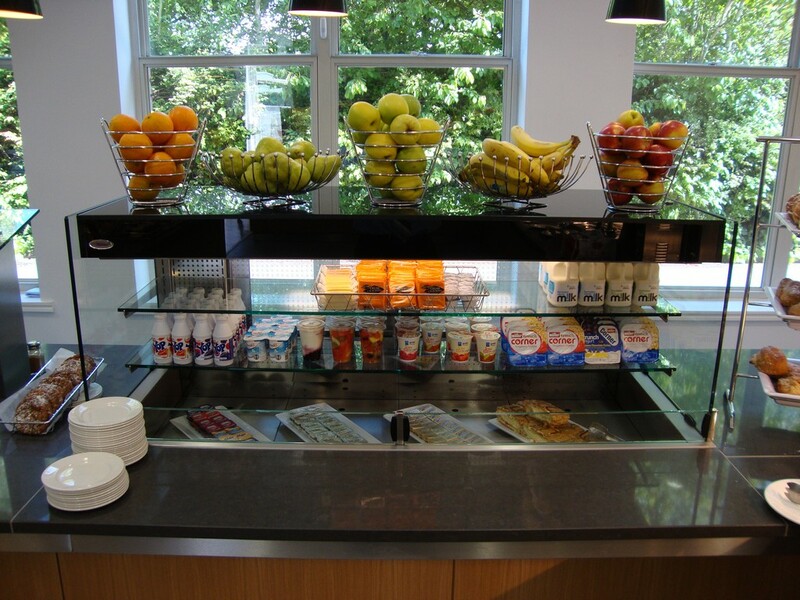 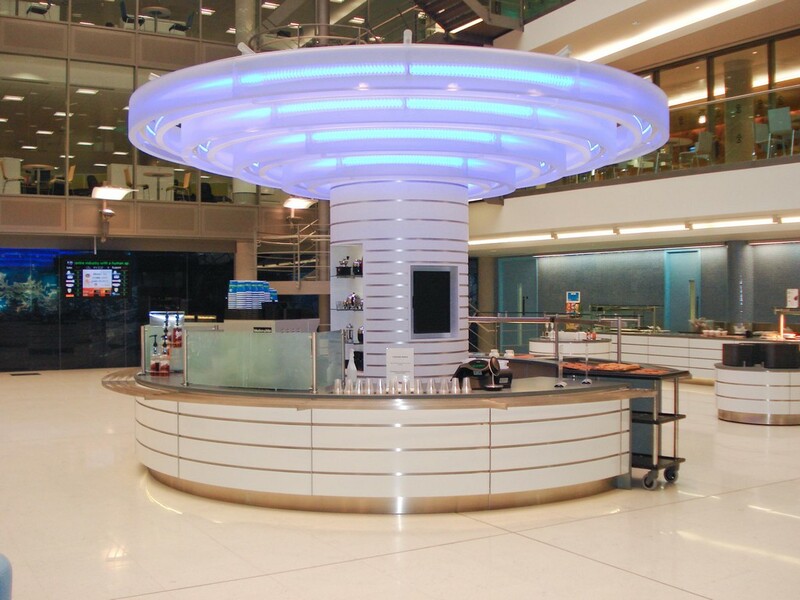 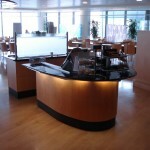 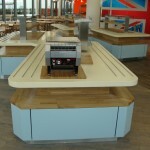 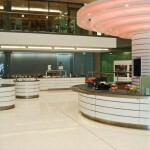 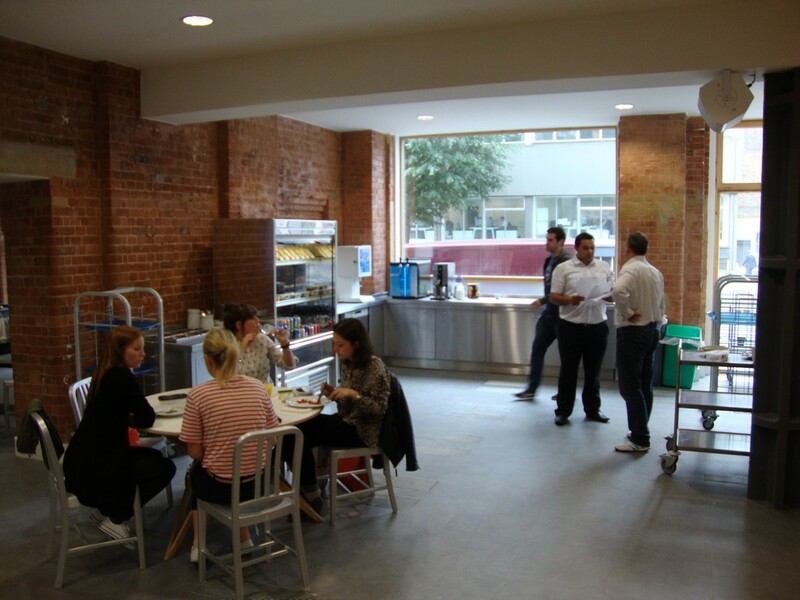 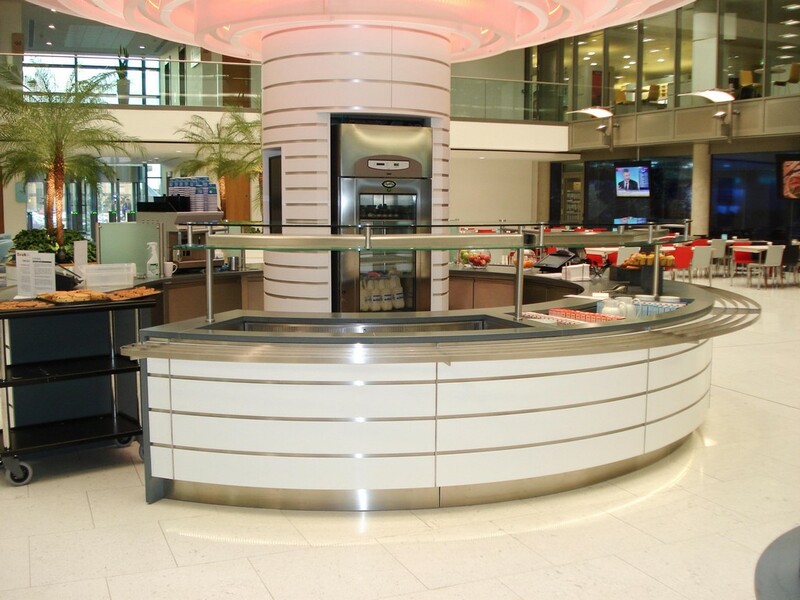 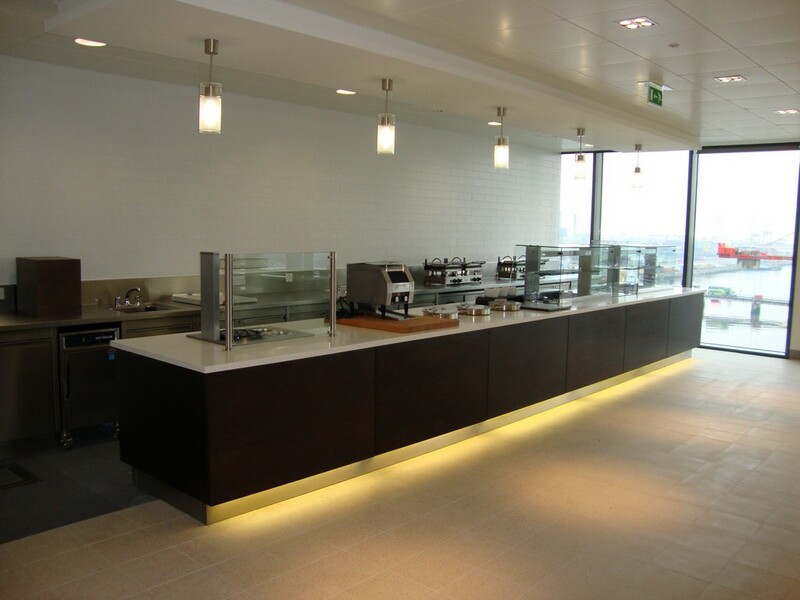 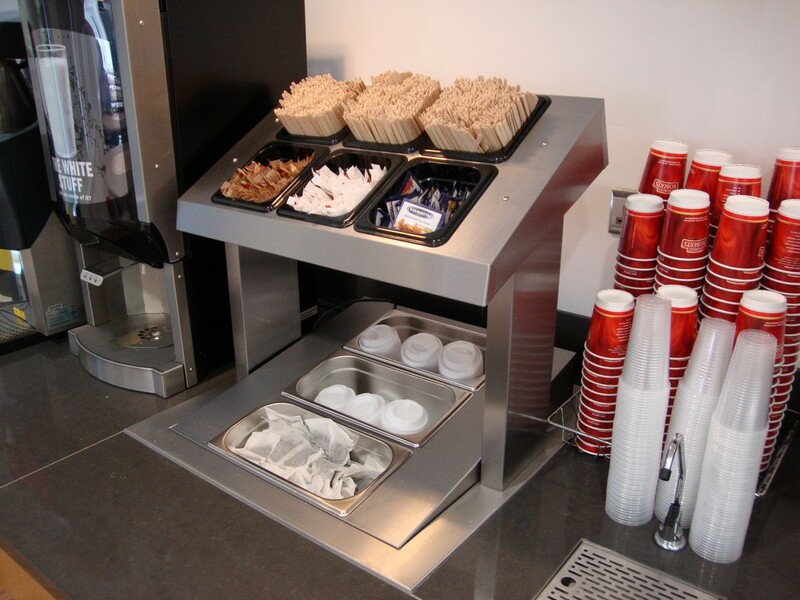 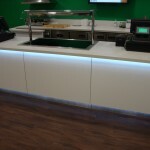 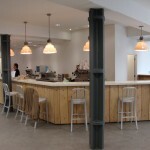 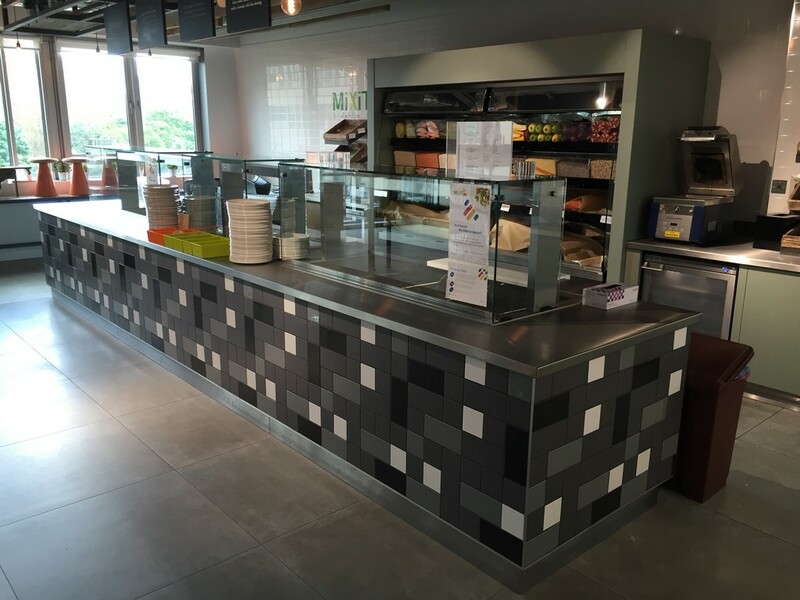 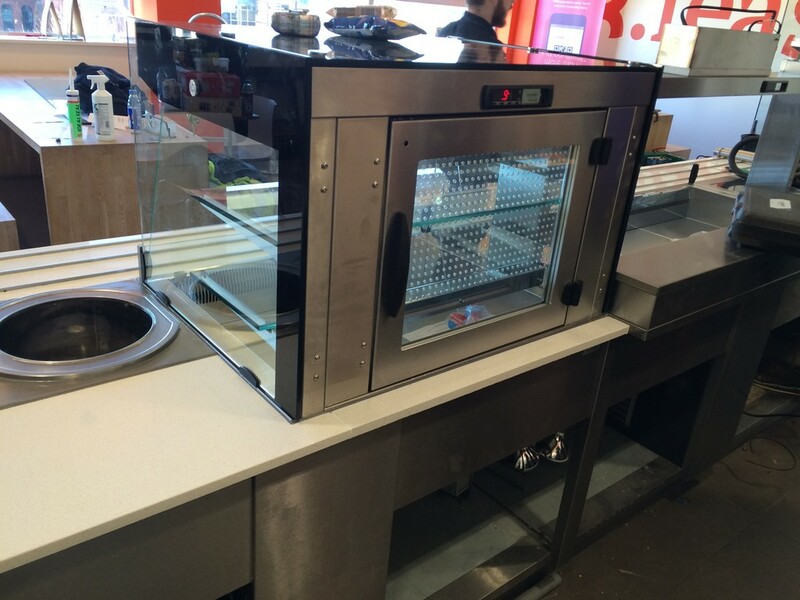 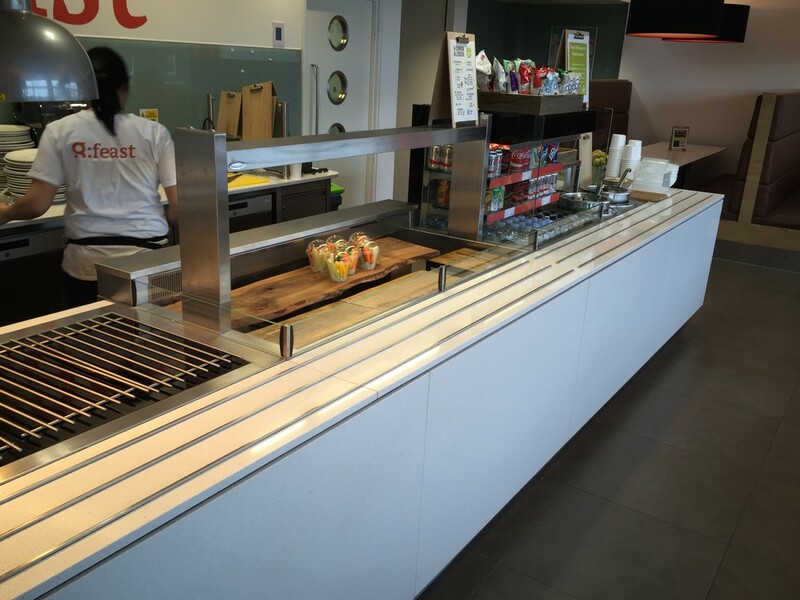 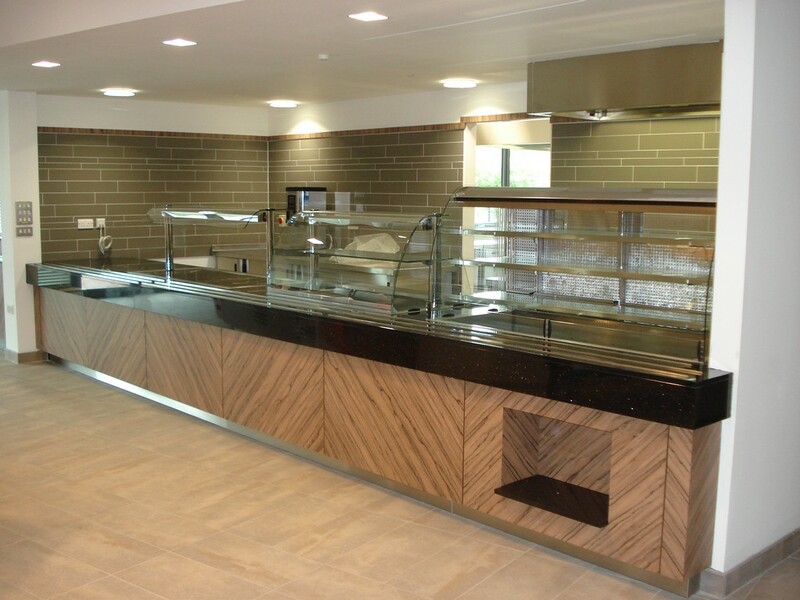 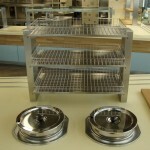 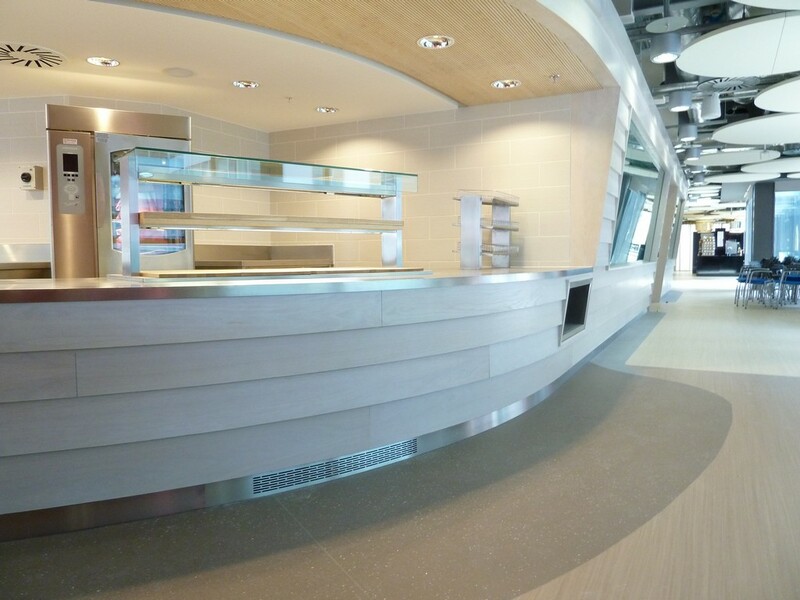 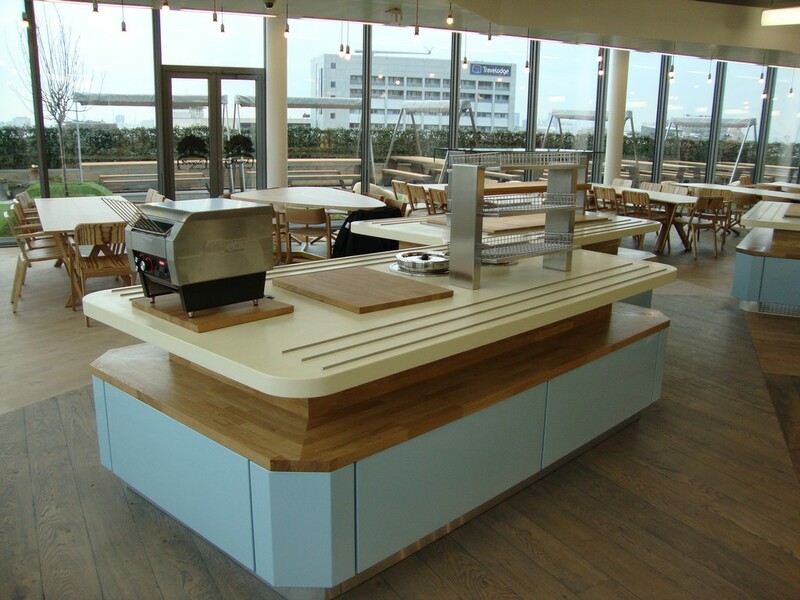 We design our corporate serving lines to accommodate the high footfall that a main lunch time tends to bring in. 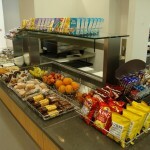 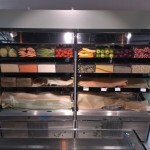 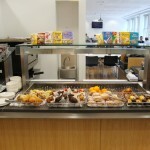 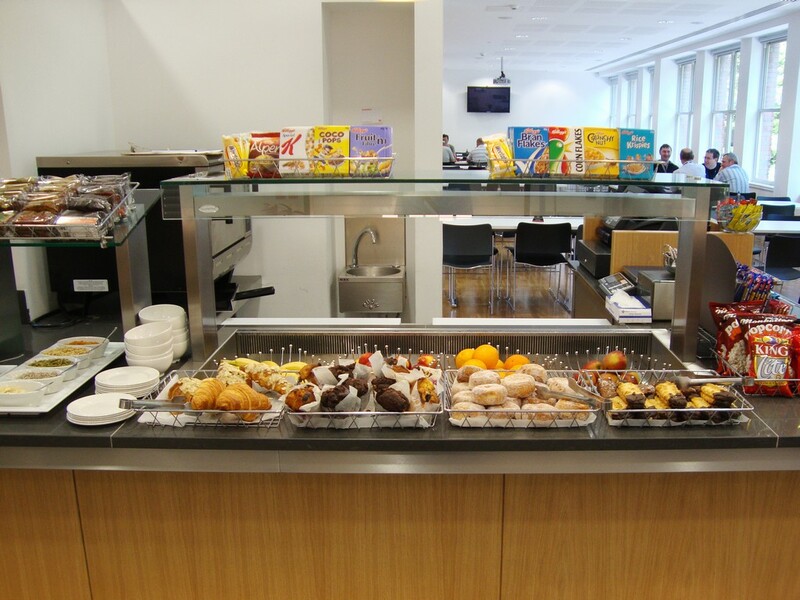 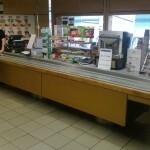 While it is equally important to make a small amount of food, drinks and snacks available throughout the day. 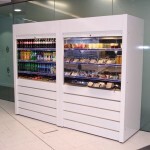 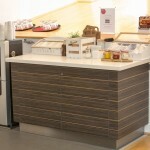 Our manhattan range features a large flat chilled well which makes for a versatile display space. 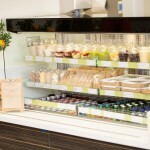 Stock this with individual cakes, drinks and fruit. 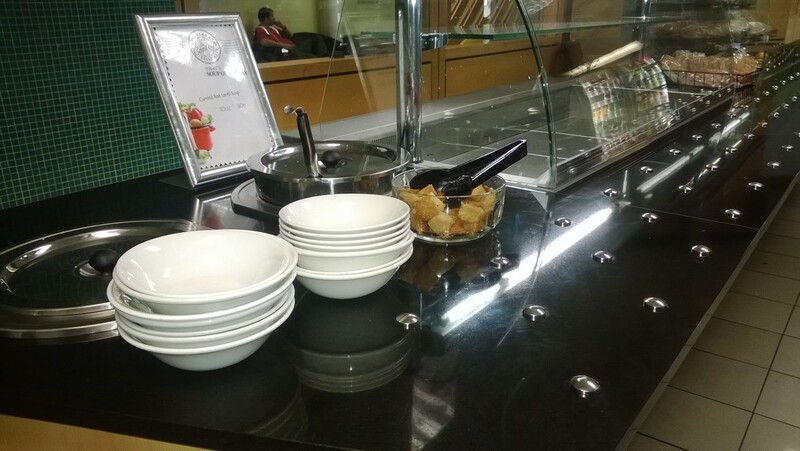 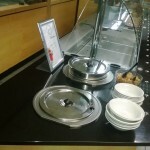 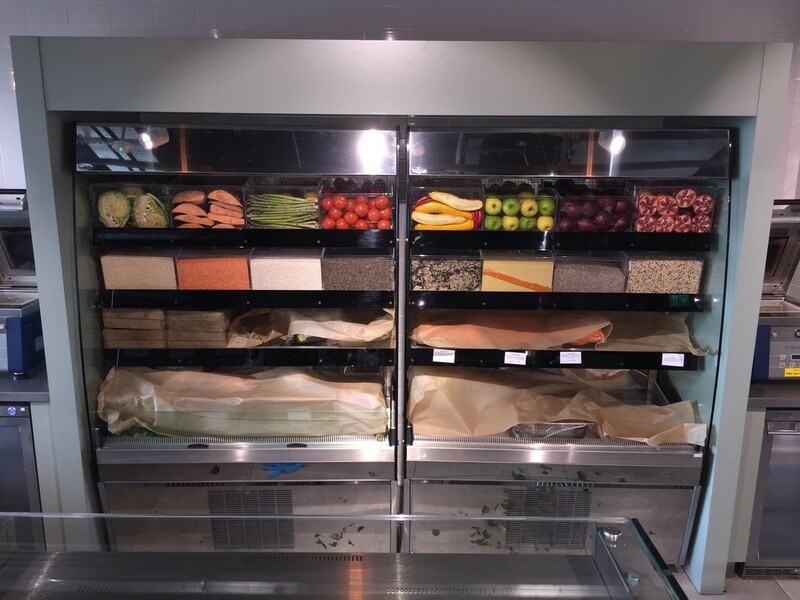 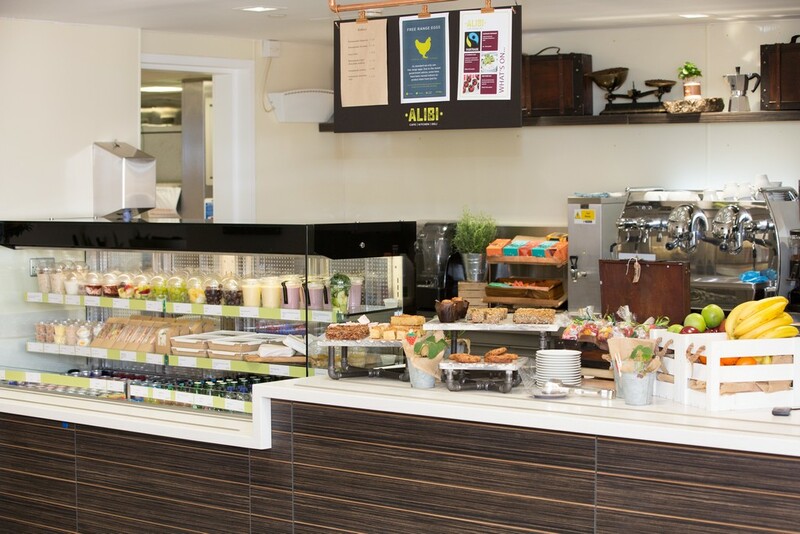 When it comes to lunch time the well can be filled with larger containers of salad and fillings for customers to help themselves to. 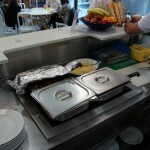 It isn’t just staff who pass through the cafeteria in these buildings. 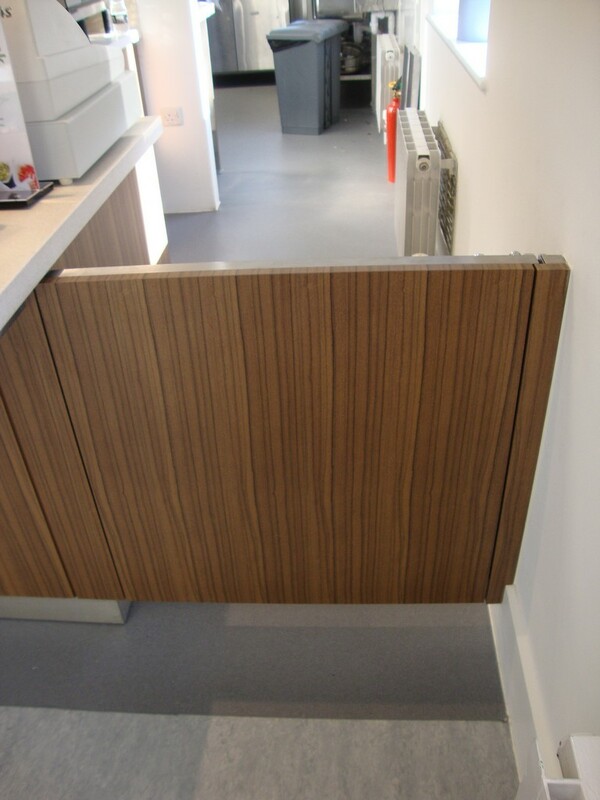 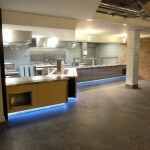 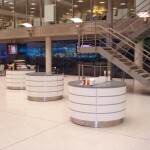 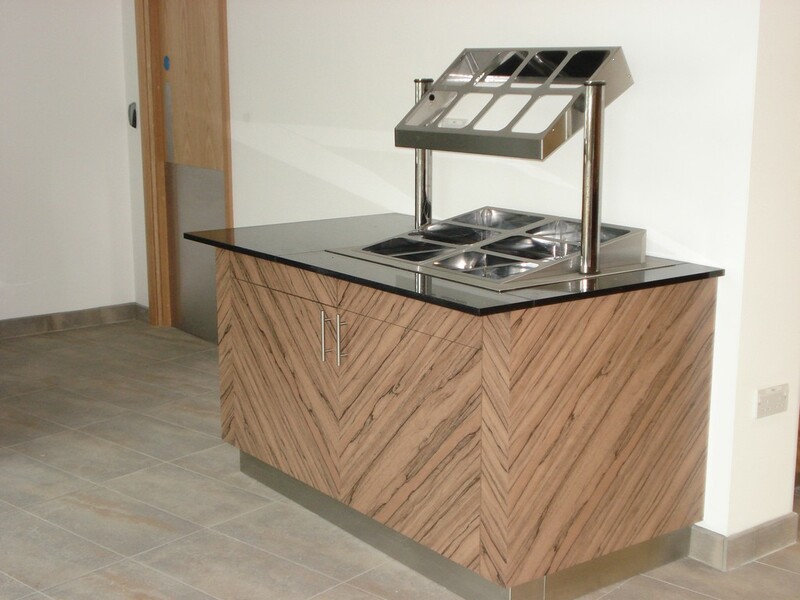 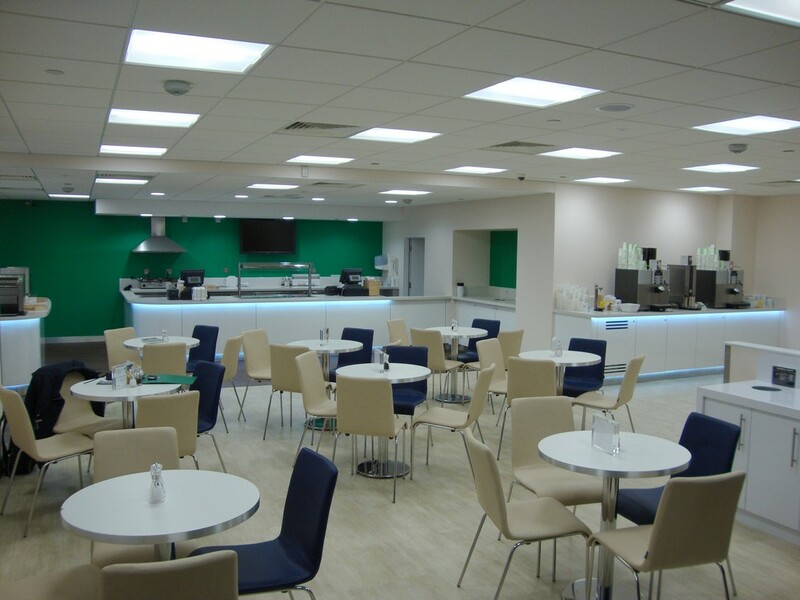 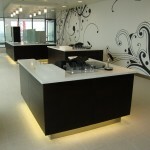 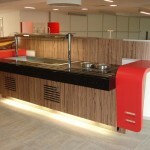 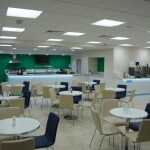 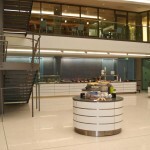 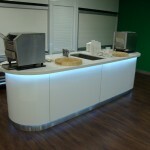 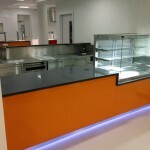 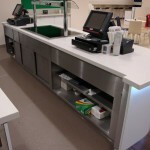 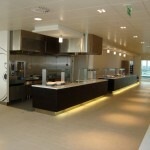 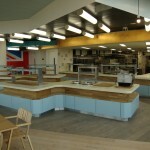 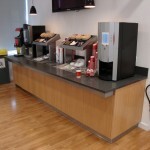 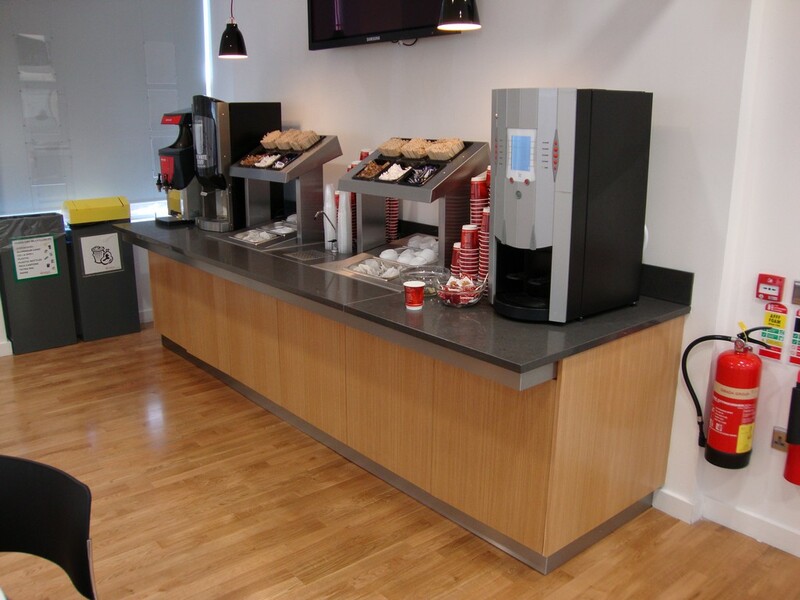 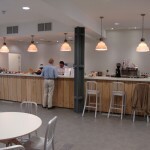 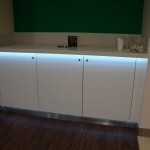 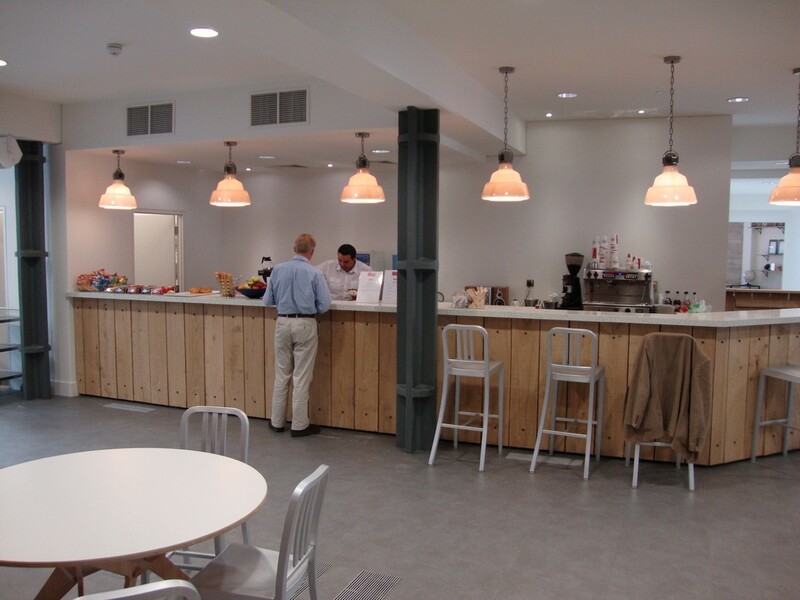 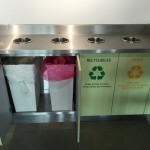 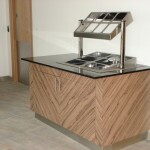 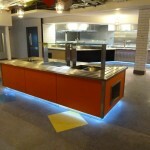 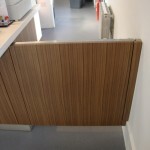 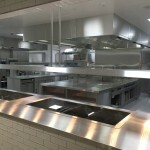 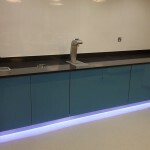 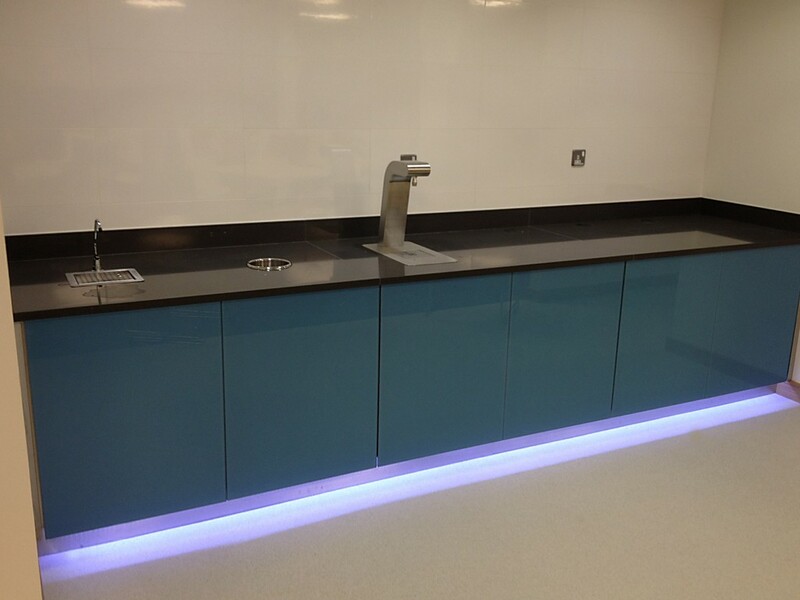 We want you to rely on this shared space to be clean, modern and professional when clients visit. 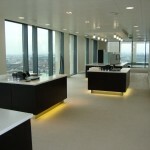 You should be able to treat it as an extension of the boardroom. 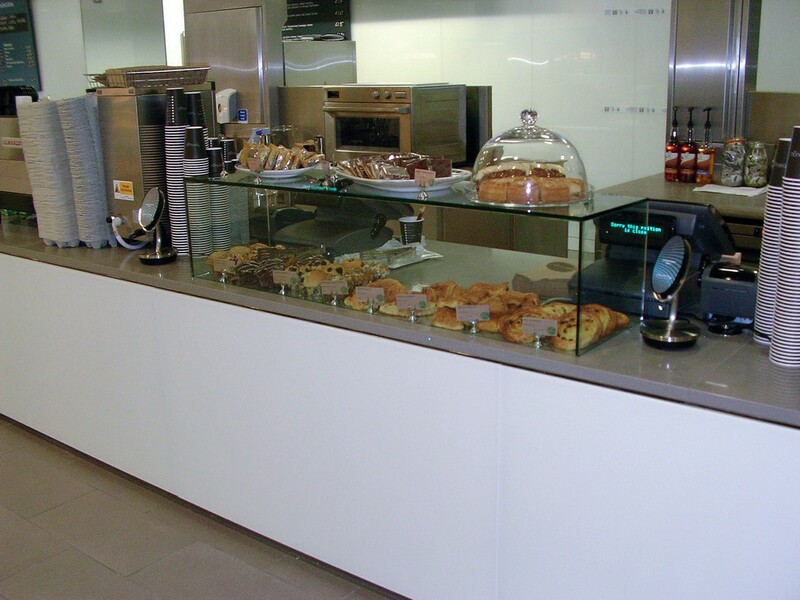 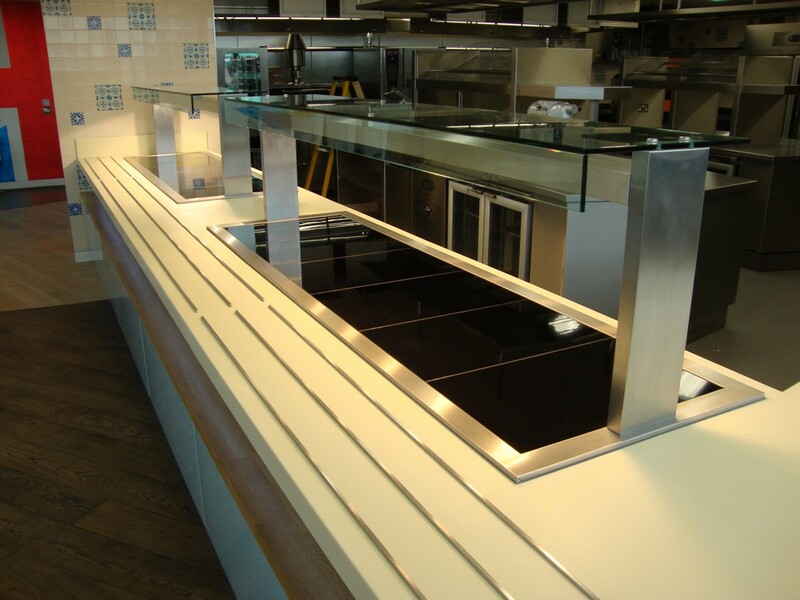 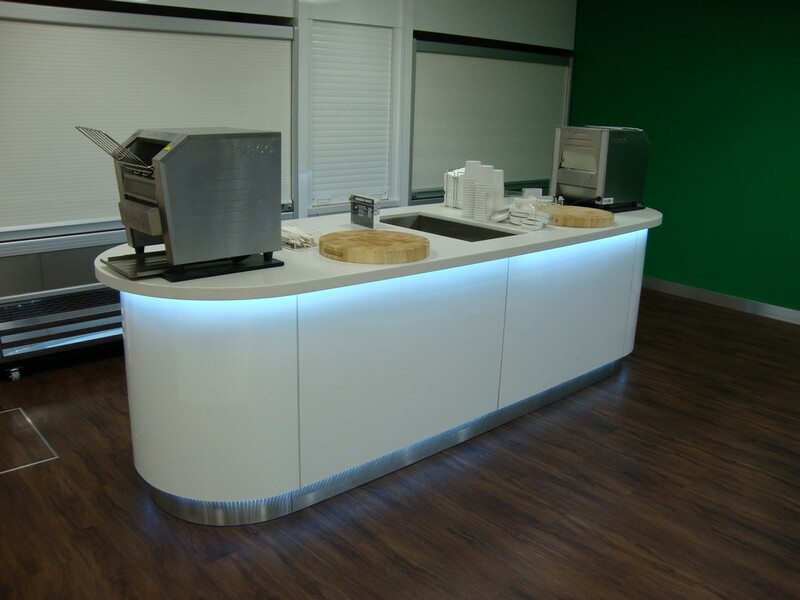 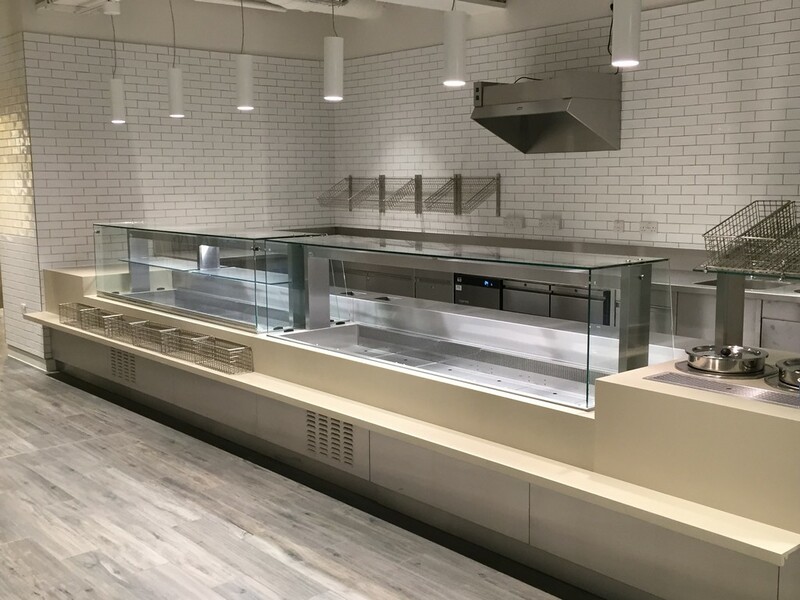 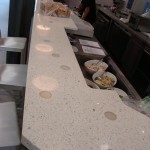 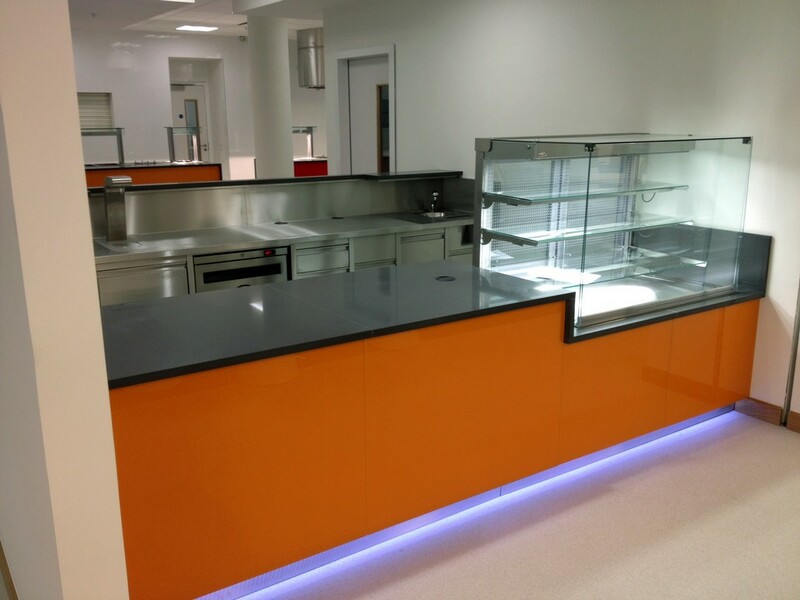 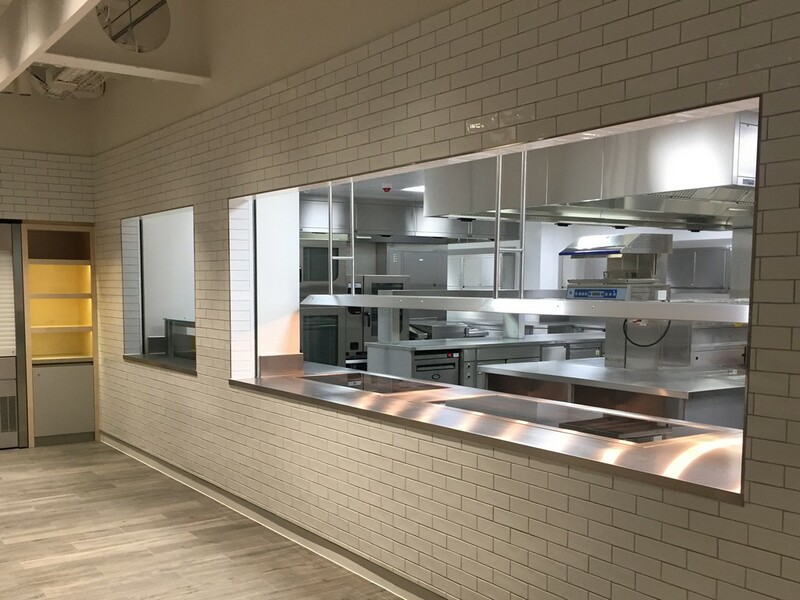 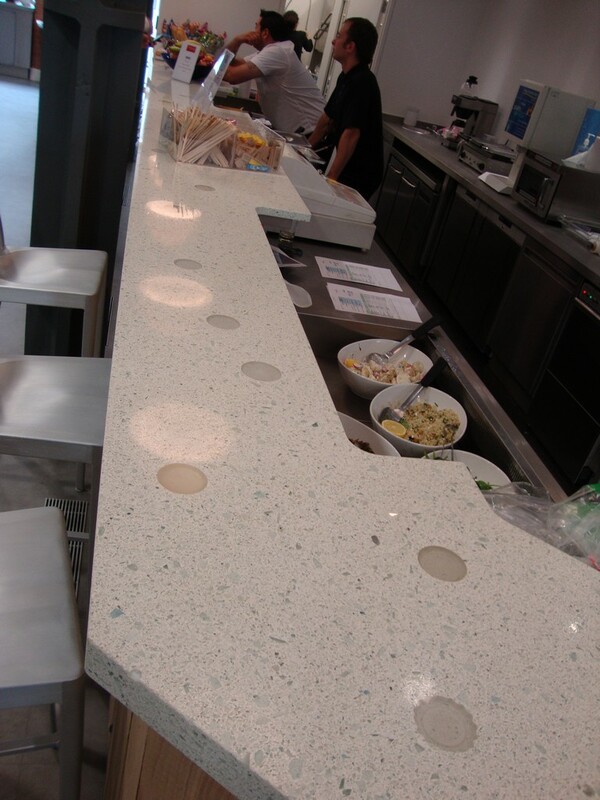 All the counters in our range have been designed to look clean and fresh, having a tasteful stylistic balance of modern and classic. 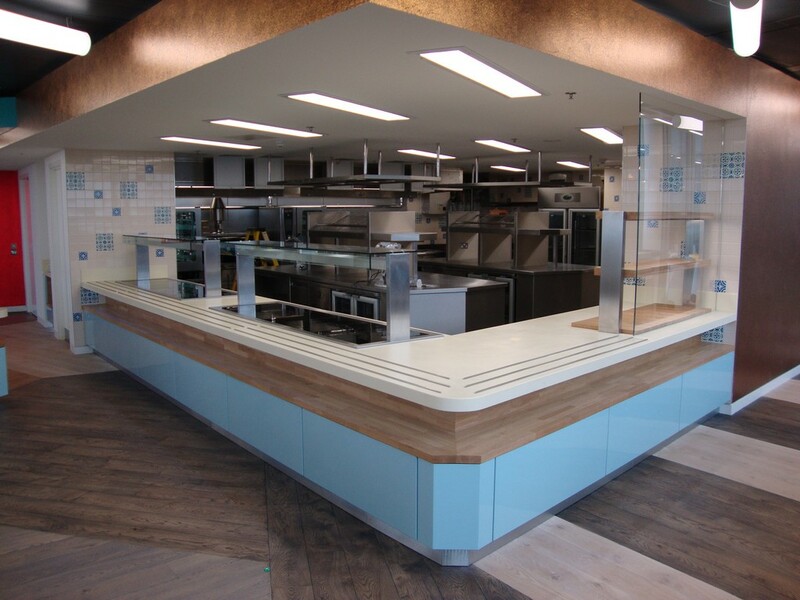 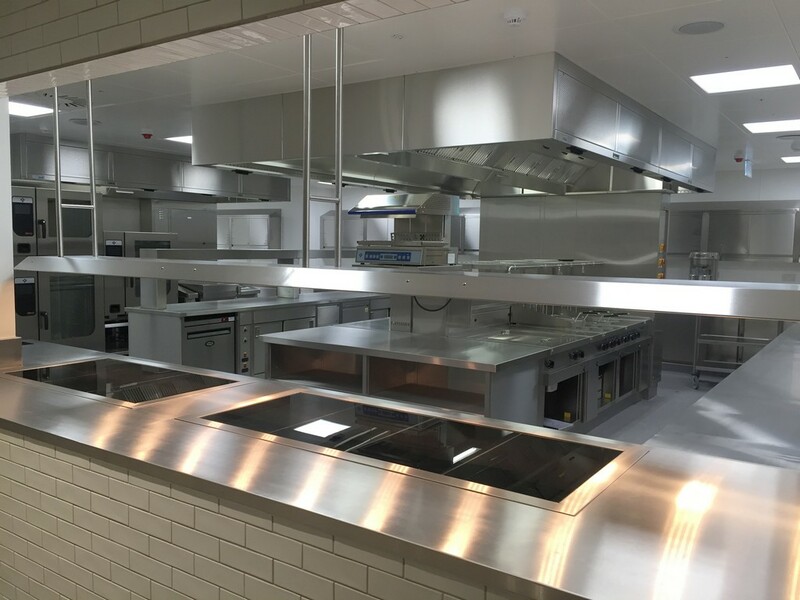 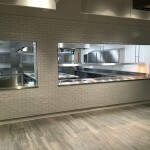 When we plan the installation of your new units, we ensure the style and layout compliments the interior and also the function of the space. 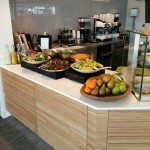 This should be somewhere you’d like to stay, rather than dash back to eat your lunch at your desk.